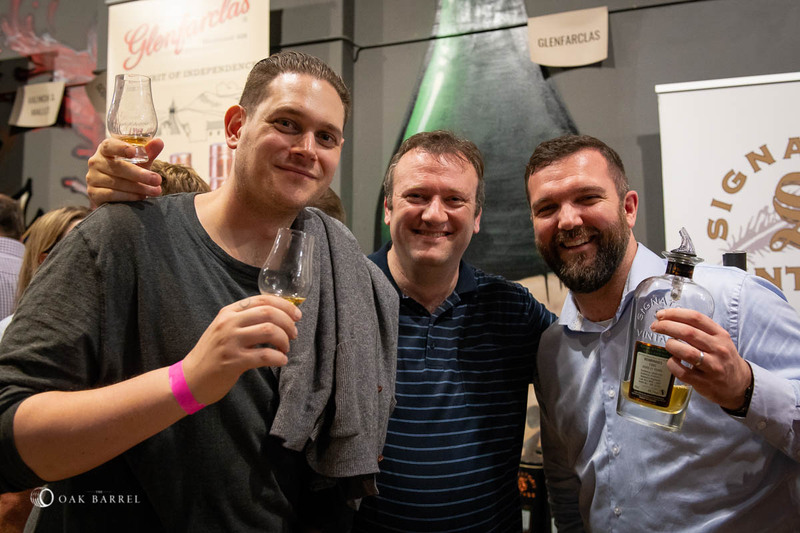 That’s a wrap for the 2018 event, thanks to everyone – exhibitors and punters – for making it perhaps the best Whisky Fair ever. 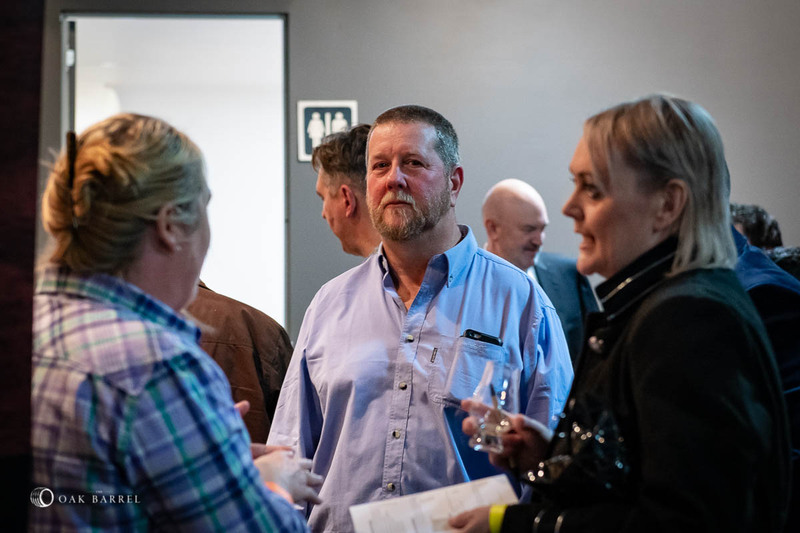 See if you can spot yourself in the photos below, the event captured expertly by May Lawrence once again. 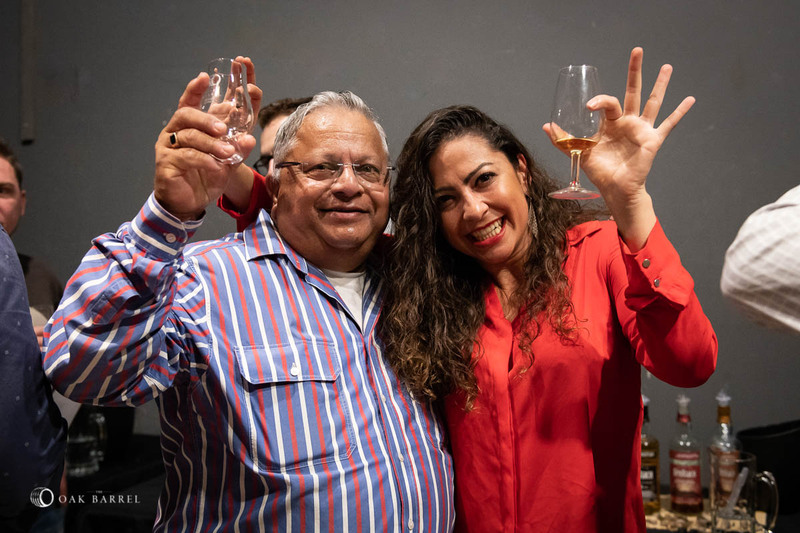 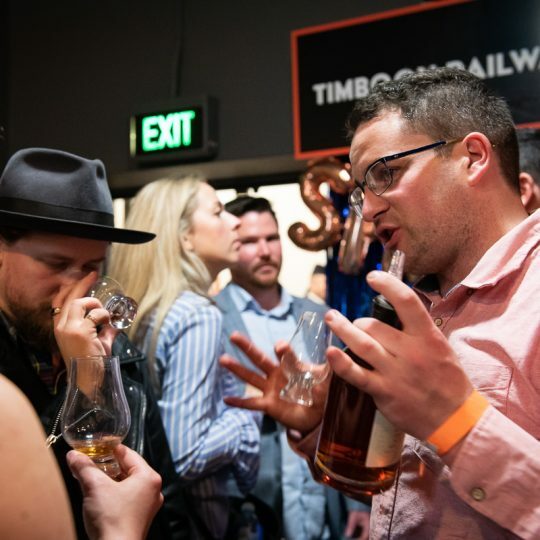 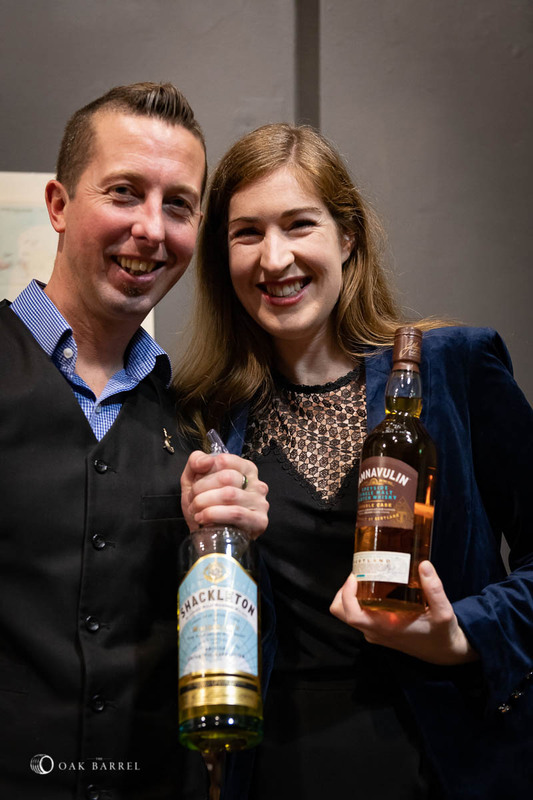 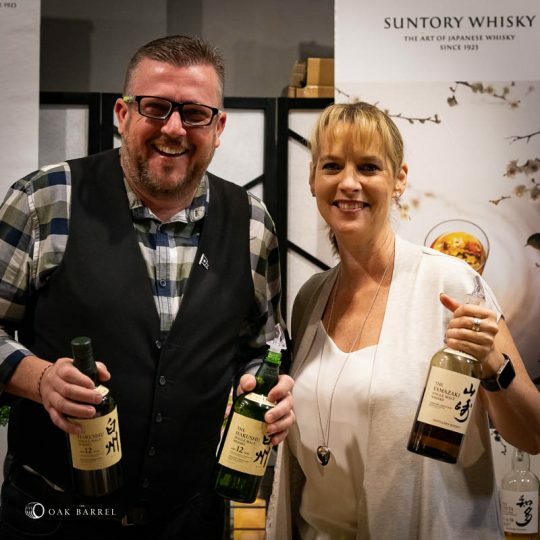 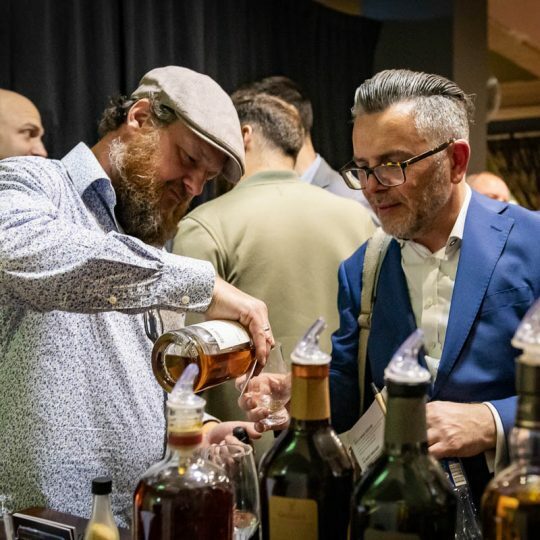 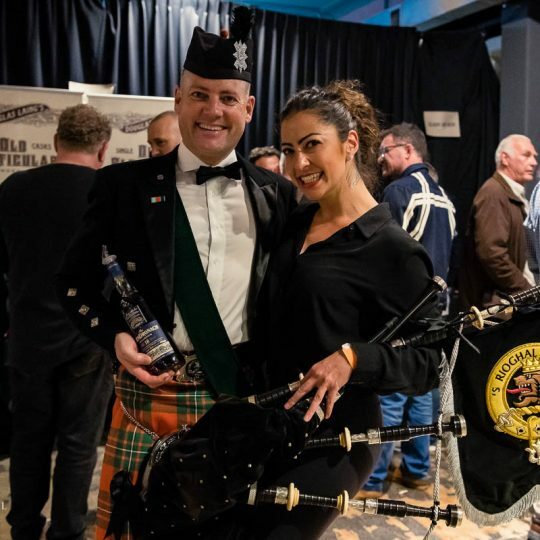 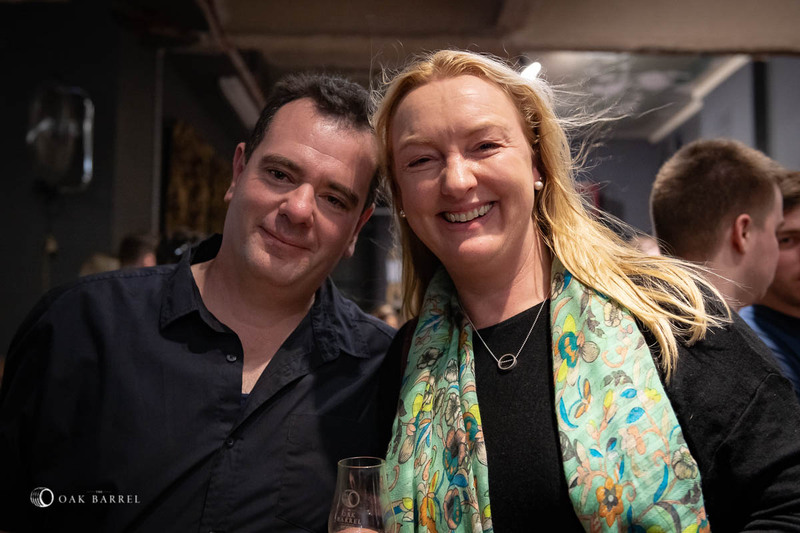 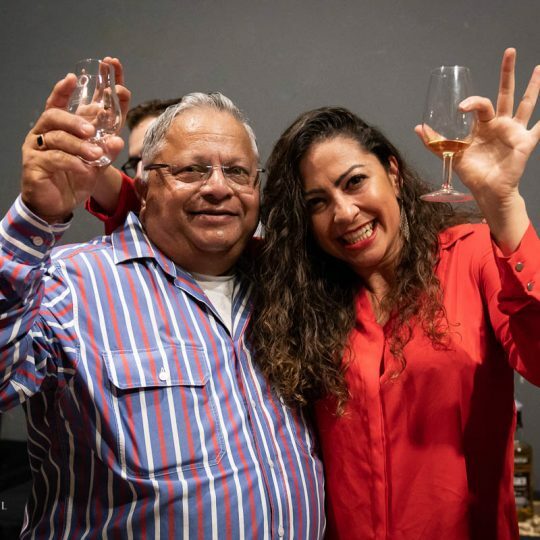 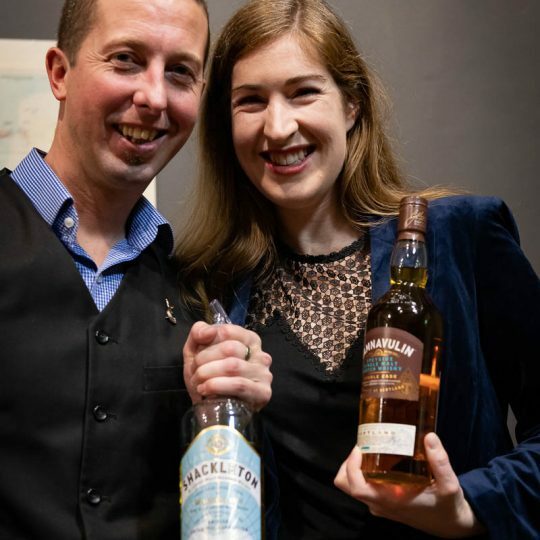 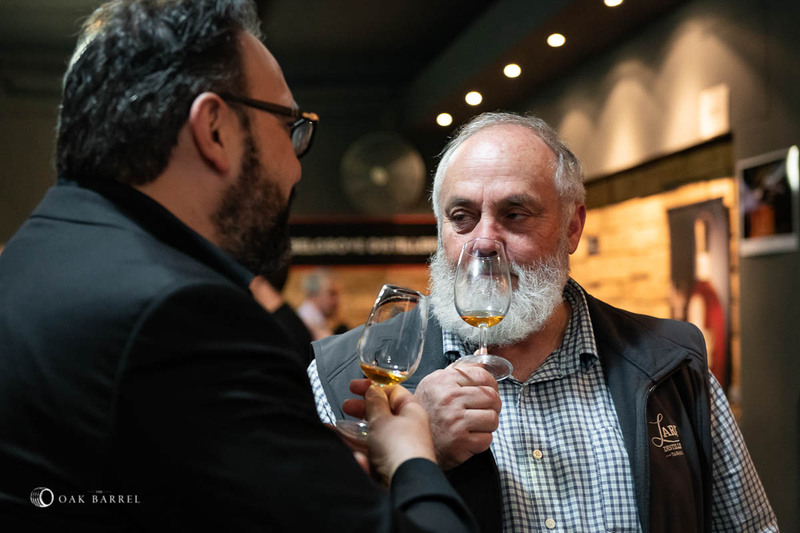 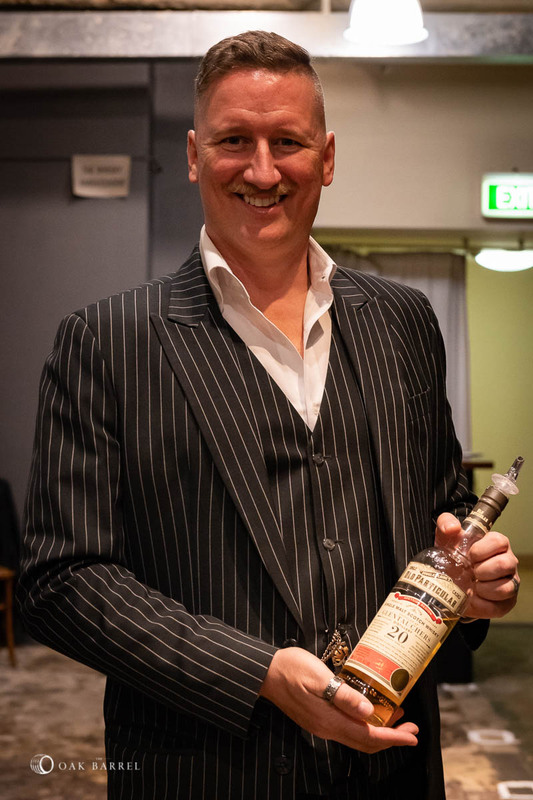 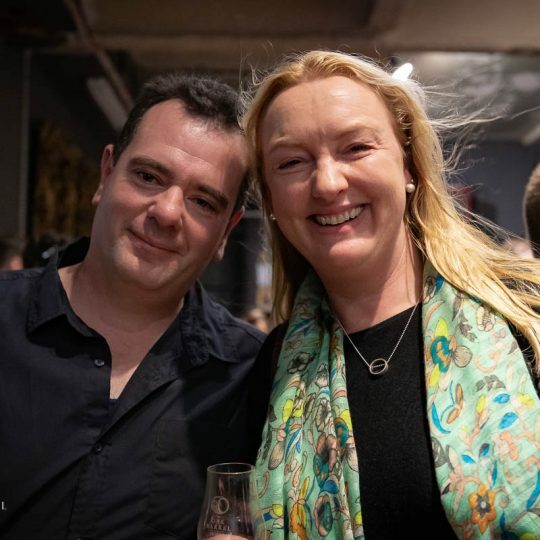 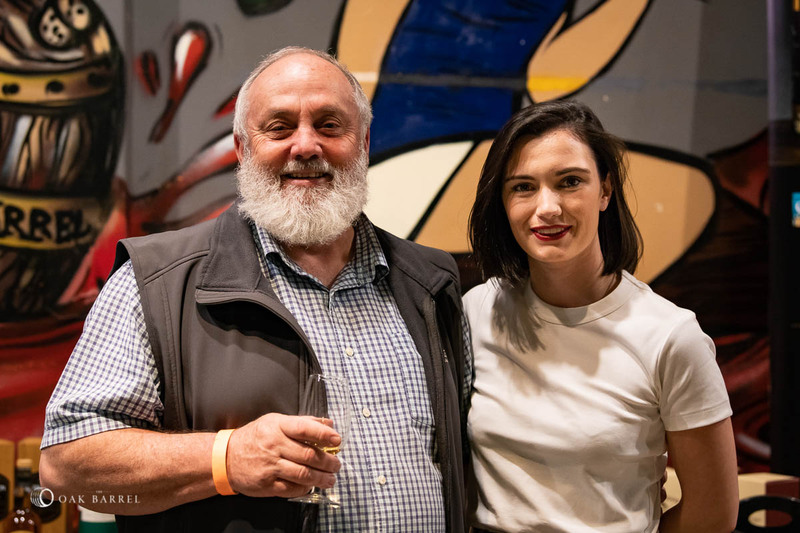 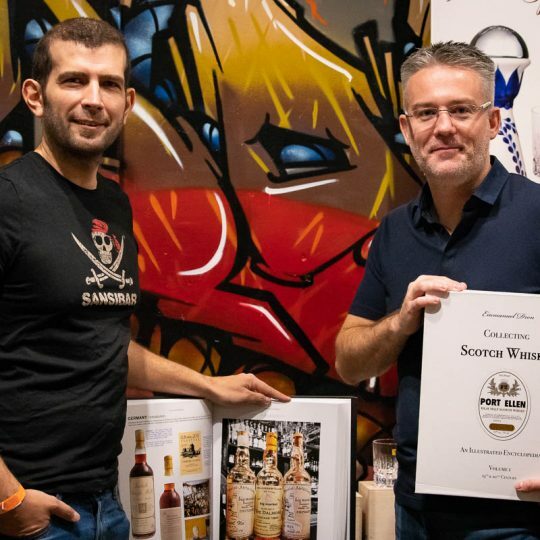 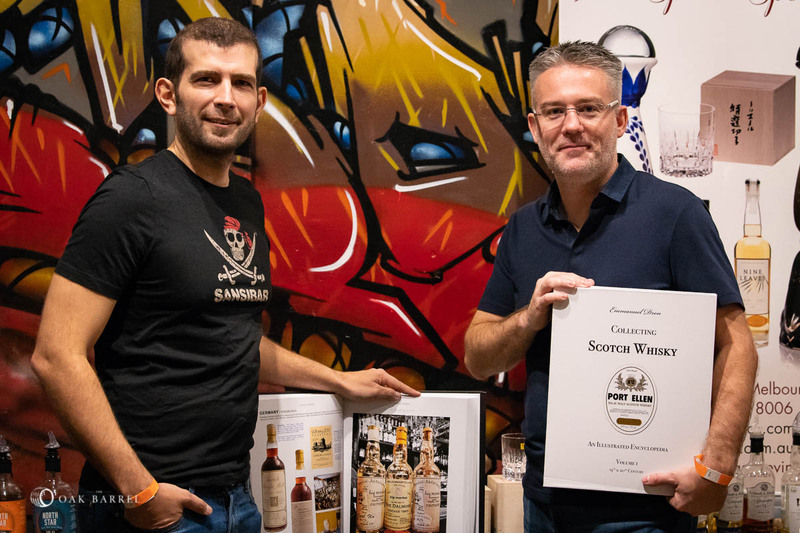 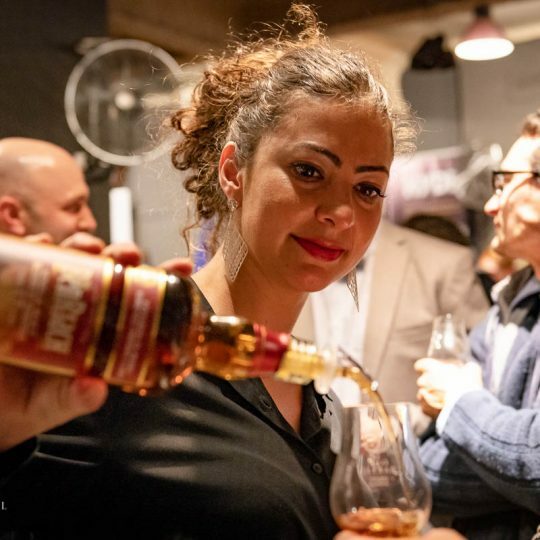 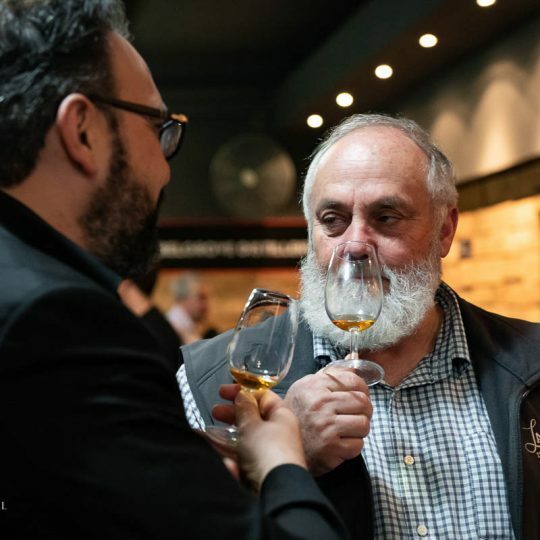 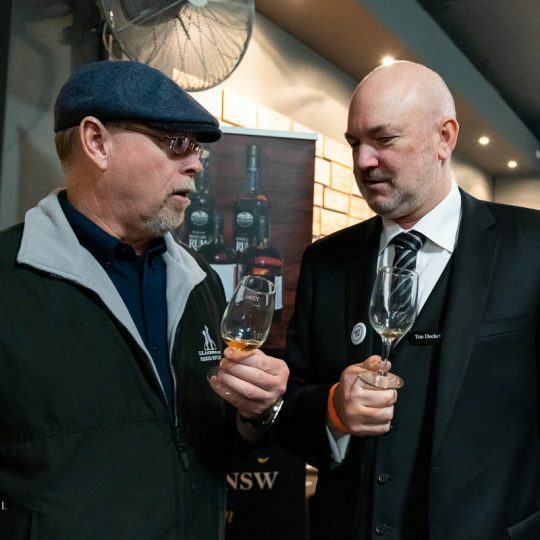 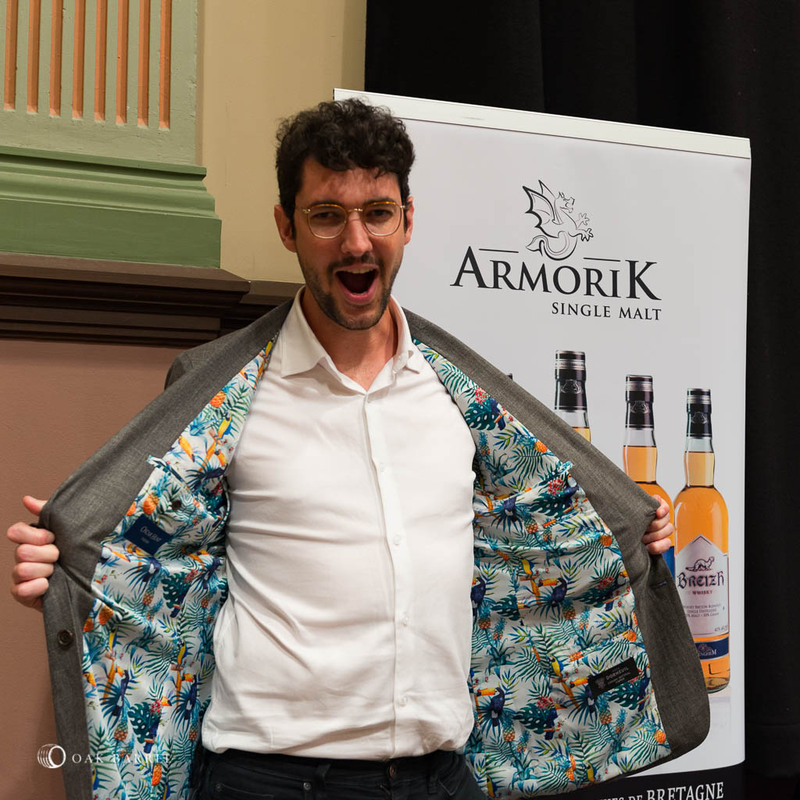 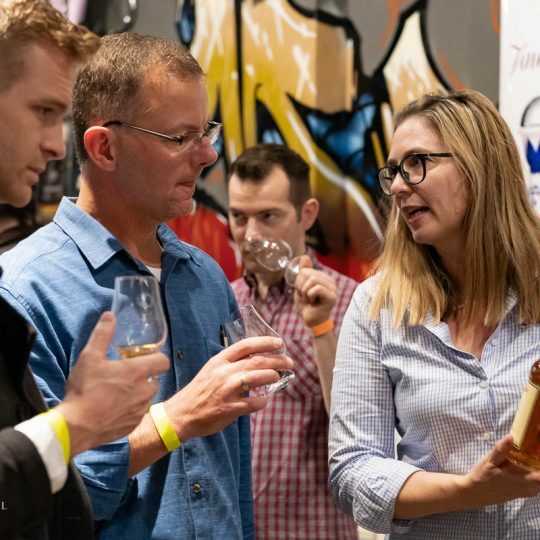 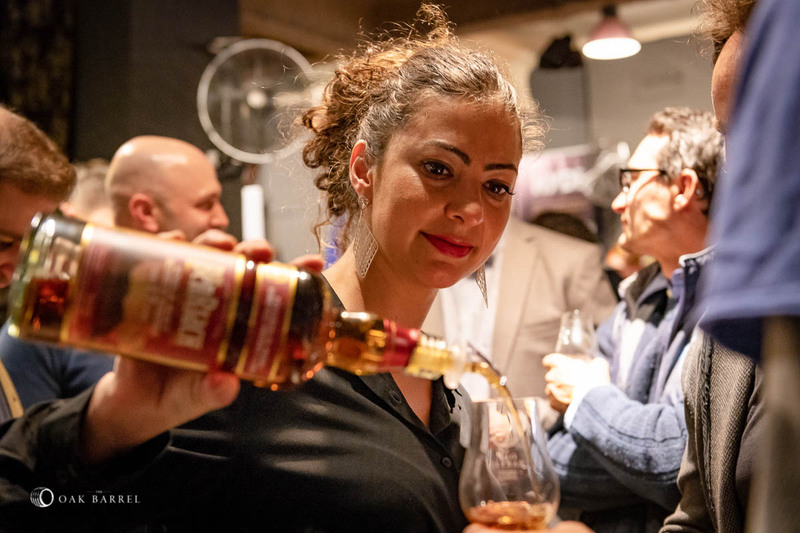 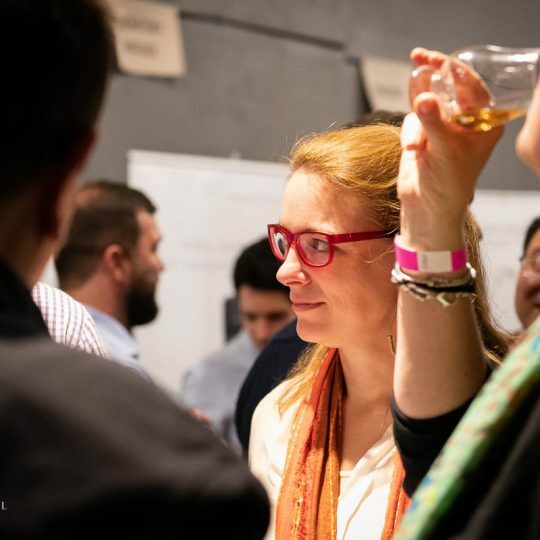 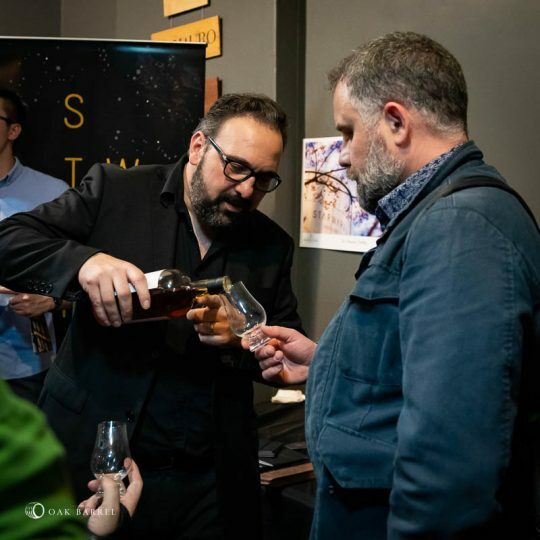 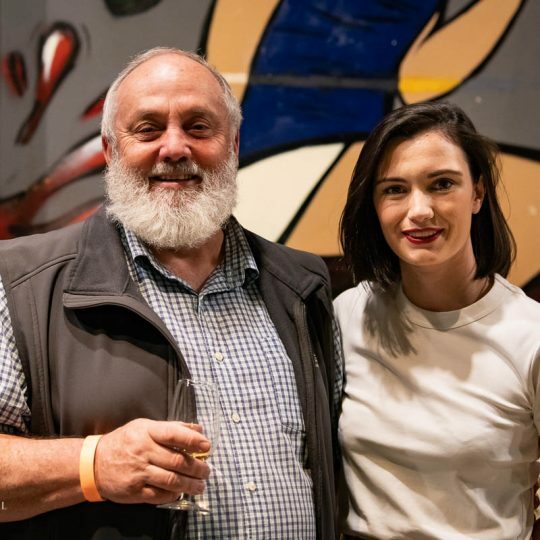 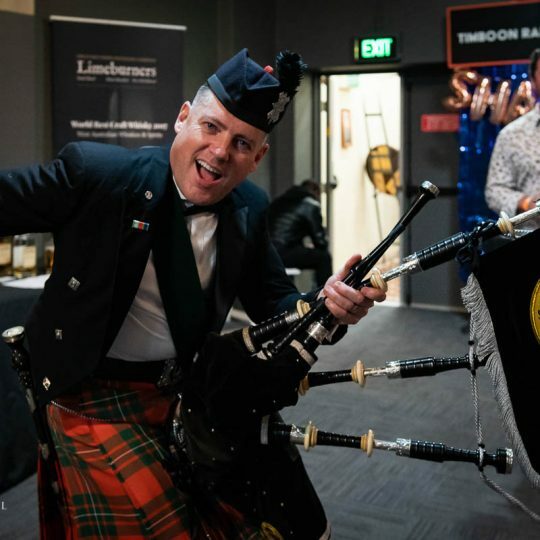 Sydney Whisky Fair has sold out in 2018, the sixth straight time it has done so. 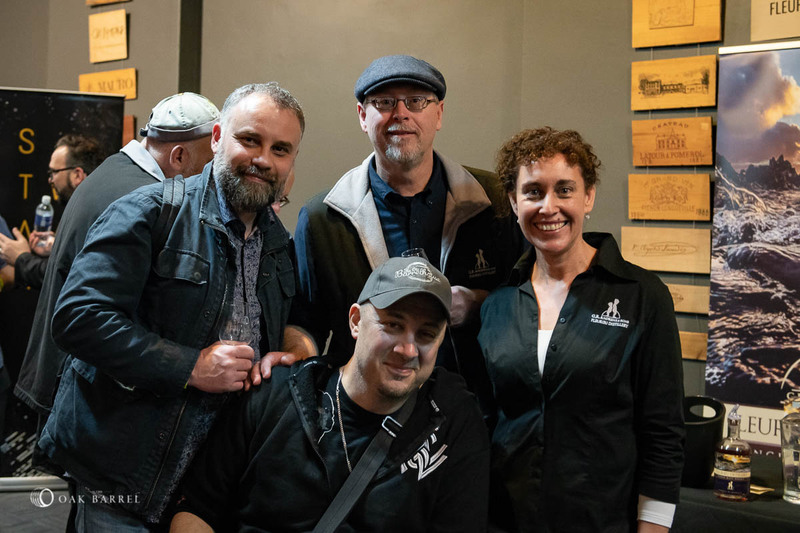 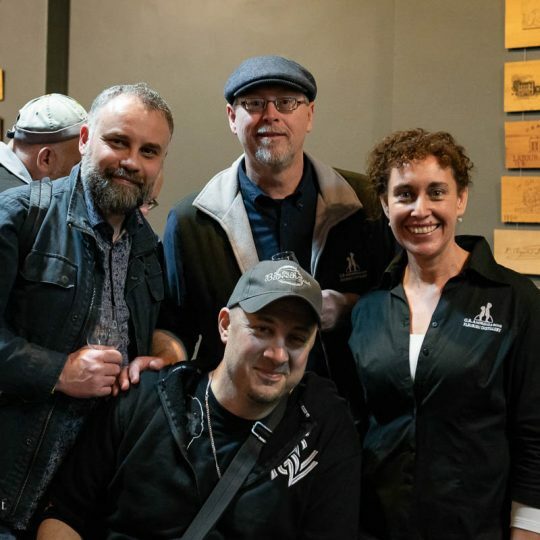 The Oak Barrel crew would like to thank everyone for their support around the event and we’re going to have some exciting news to announce in the coming weeks. 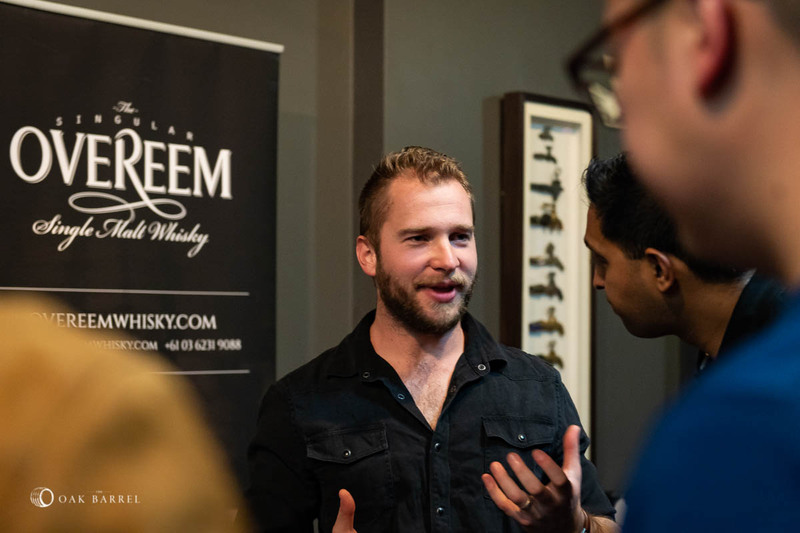 If you need an even bigger whisky fix, head over to our page of Masterclasses. 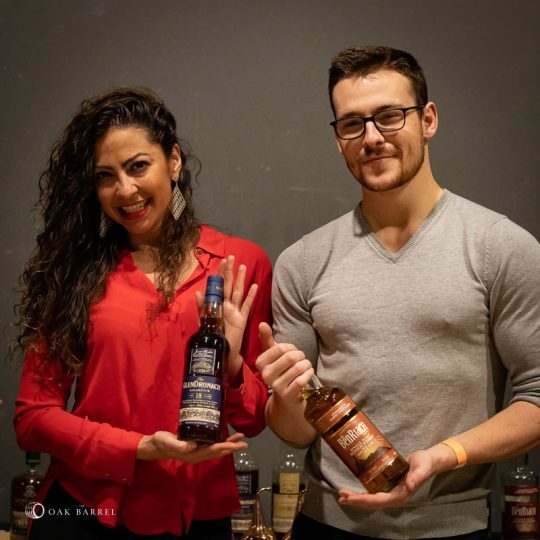 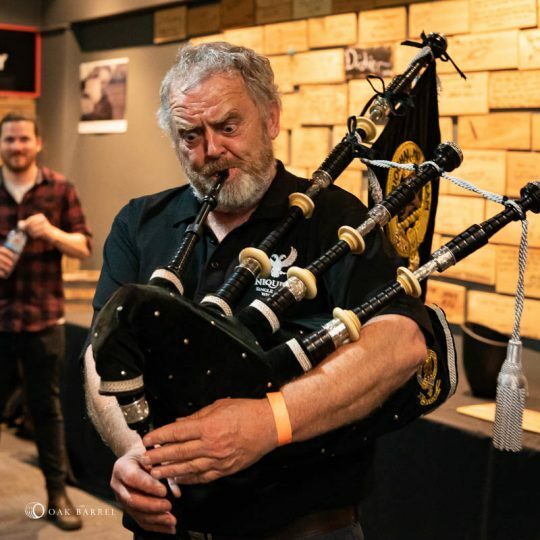 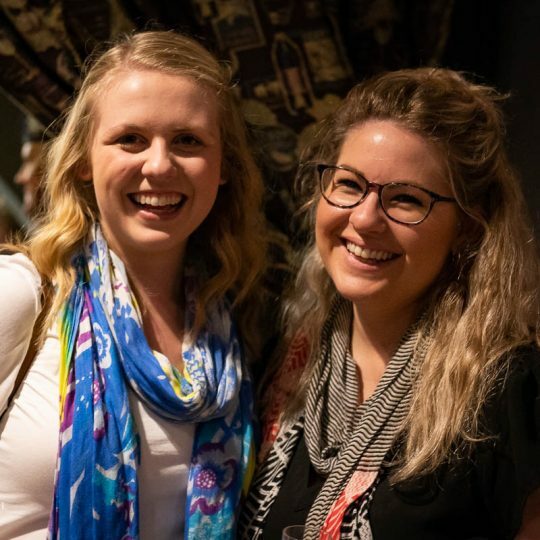 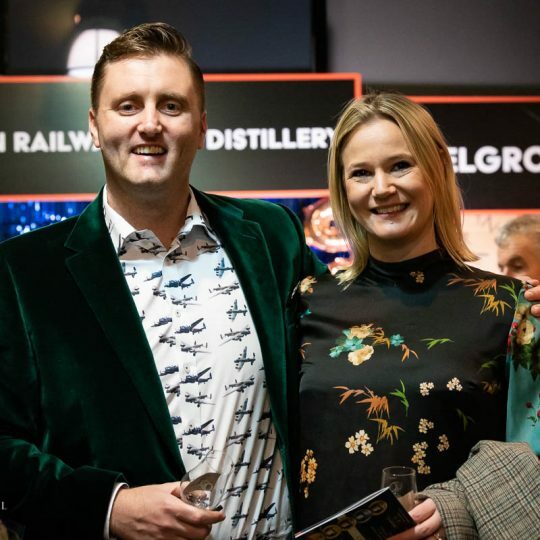 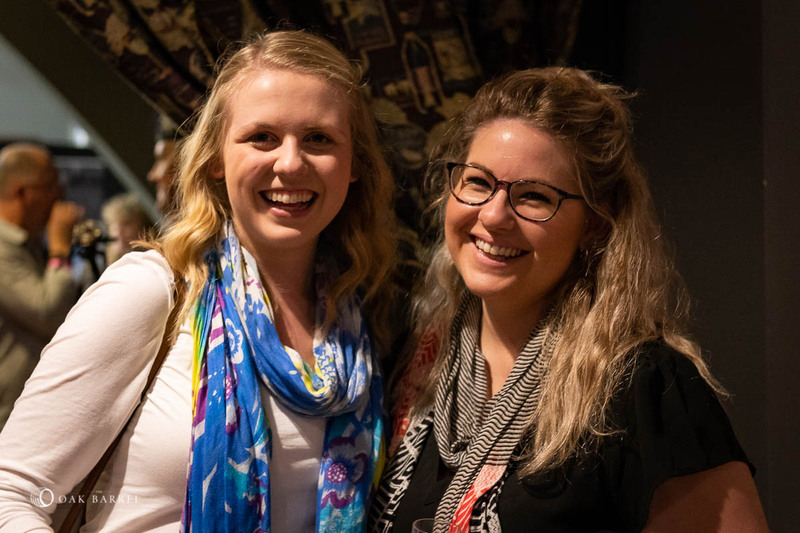 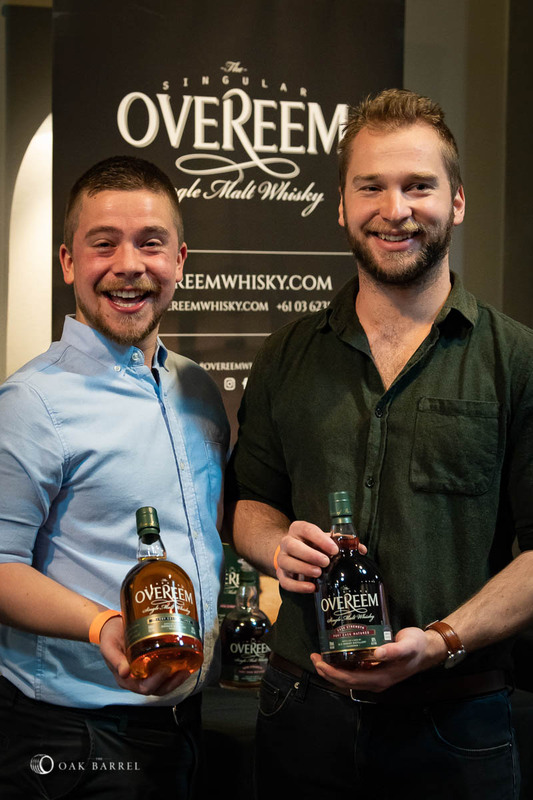 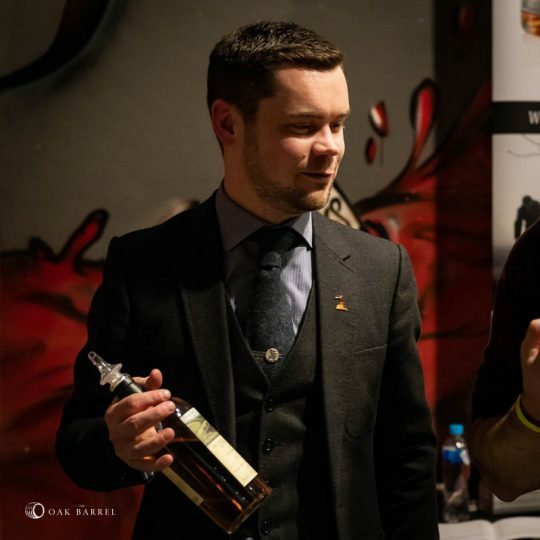 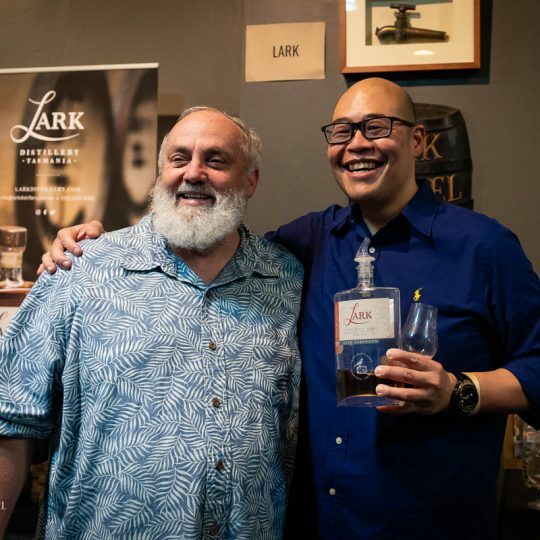 These events will run in the lead-up to the Fair itself, providing an opportunity at the intimate, sit-down whisky events that run all through the year at The Oak Barrel. 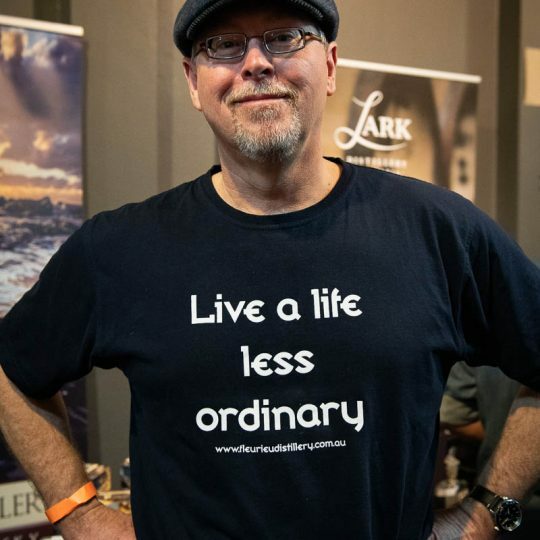 Keep WhiskyFair.com.au bookmarked for news in the coming weeks and then for recourses for the event in the week prior. 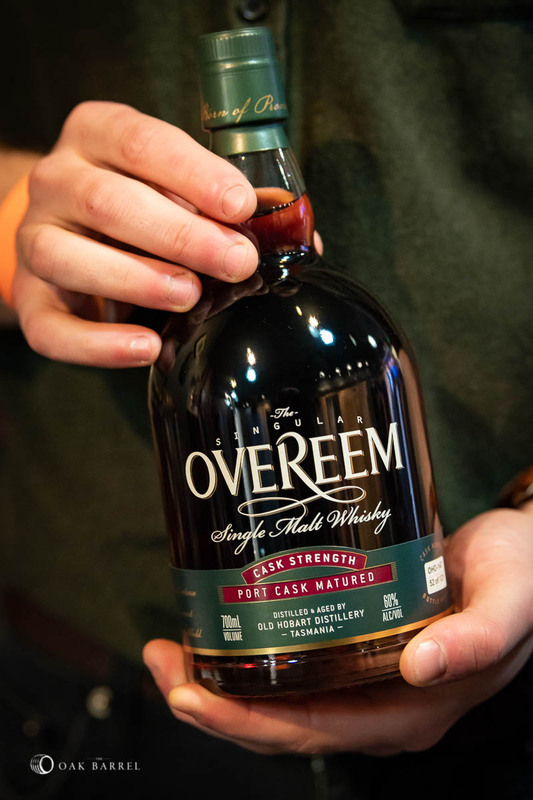 See ya at The Oak Barrel soon. Dram on. 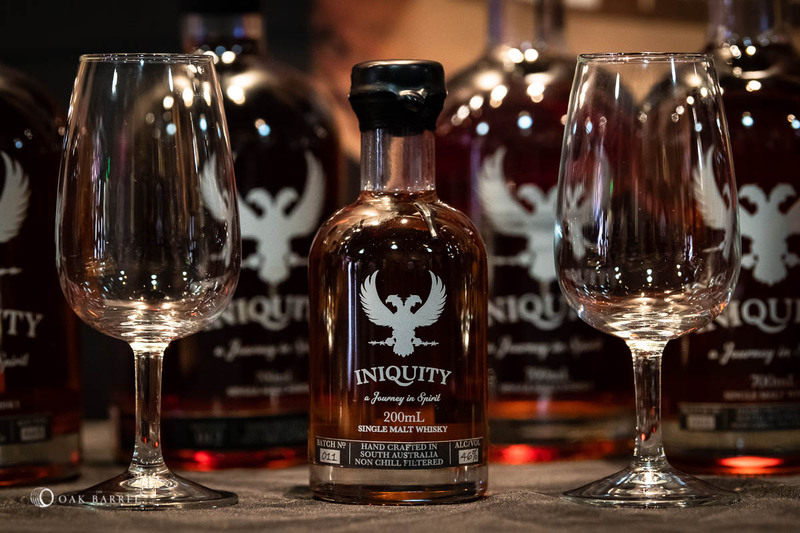 …The first release sold out in under two-and-a-half days. 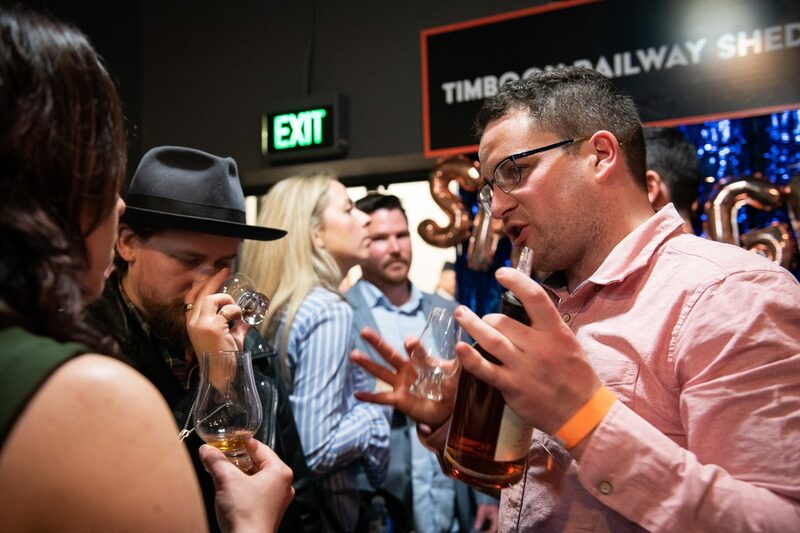 …The first and second sessions sold out in under a day after the final release went on sale. 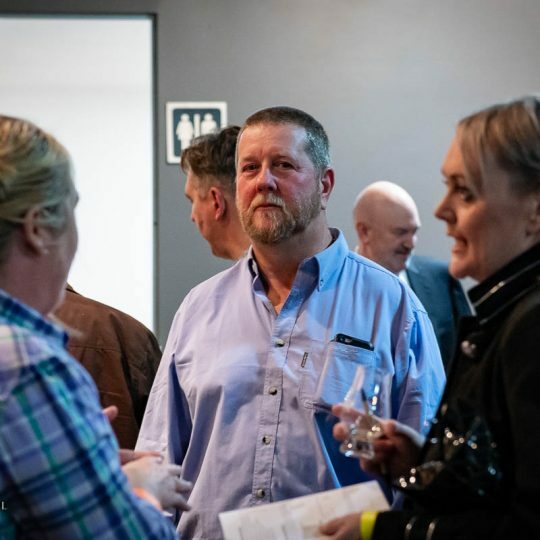 …While the rate in which tickets sold by quantity is below the record, the rate in which orders came through is a new record. 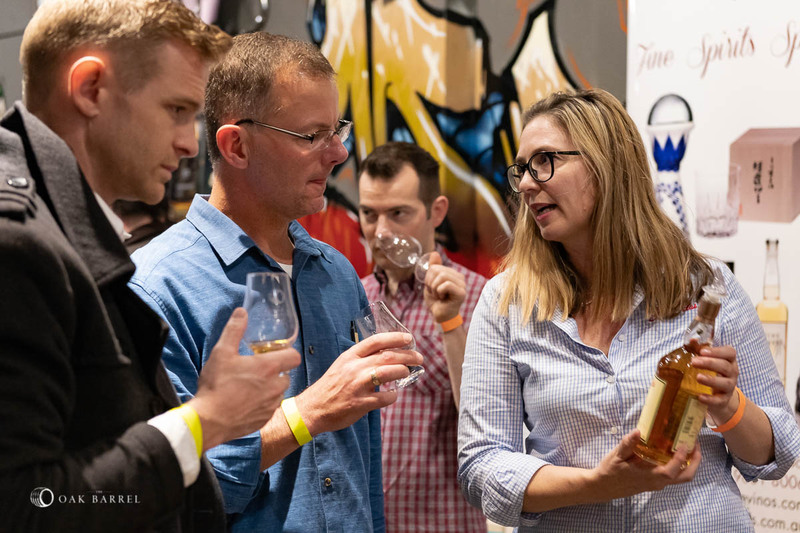 This largely has to do with the members pre-sale, which requires a paid-up Oak Barrel membership per ticket sold. As a result, orders of one ticket dominated the first 24 hours, slowing down the quantities and giving more people a chance to access tickets. 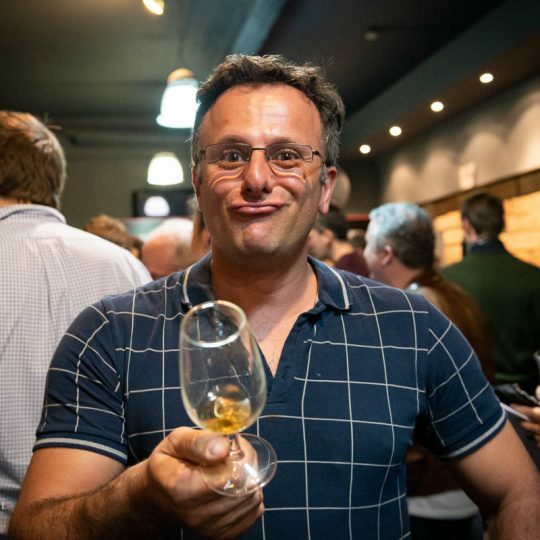 …A spike in traffic on oakbarrel.com.au crashed the website (via the ‘/shop/event’ pages) at 11.54am – six minutes before the final release went on sale. 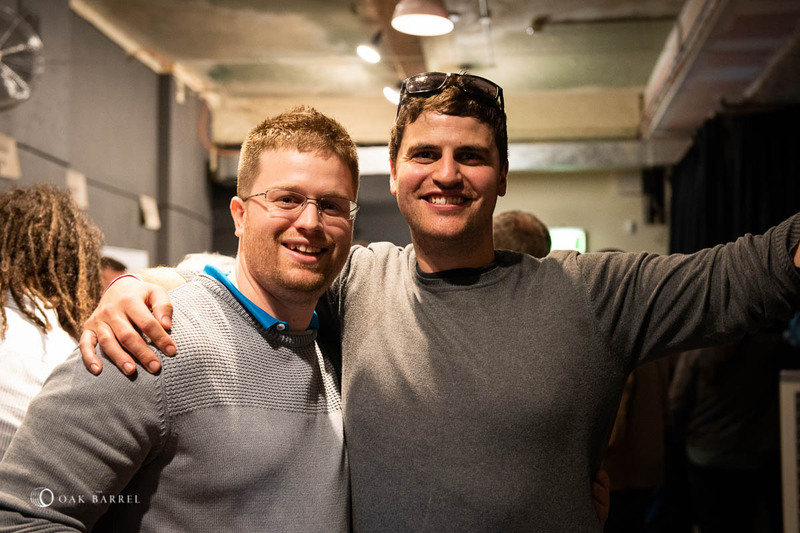 As our hosts allocated more server space, it meant we were unable to put tickets live directly at midday. 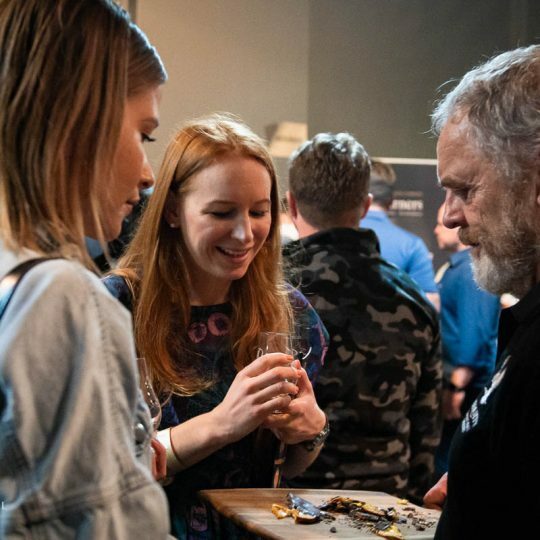 The site reappeared at 12.16, tickets updated at 12.17 and the first order came through at 12.18. 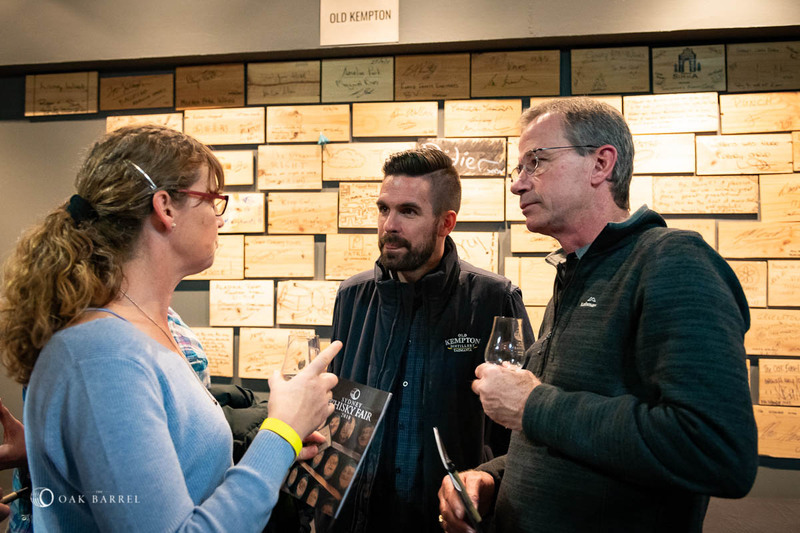 …Session 1 (Friday) was the most popular in 2018, so far, ahead of Session 2 (Saturday arvo) and Session 3 (Saturday night). This is a change from the previous two years, when Session 2 was the quickest-selling slot. 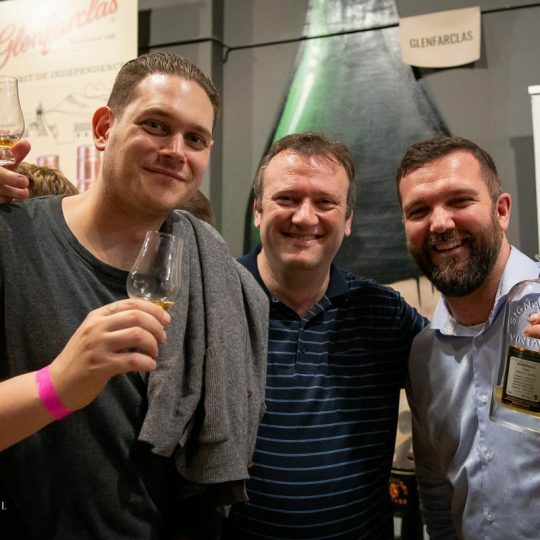 An Islay classic, an Oak Barrel favourite and a distillery we haven’t featured on its own for way too long, we’d like to invite you to a very special night of Ardbeg this August at The Oak Barrel. 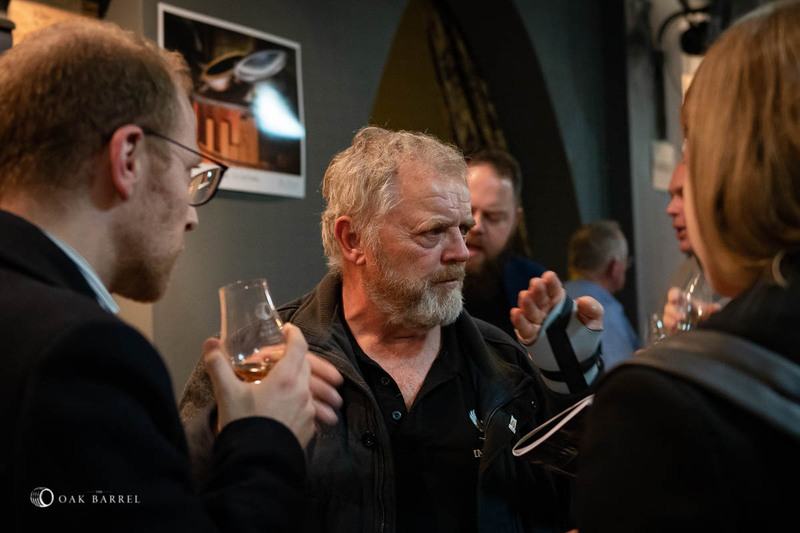 Digging into the archives, we’ll bring the smoke and stories from this Islay distillery dripping in history and innovation. 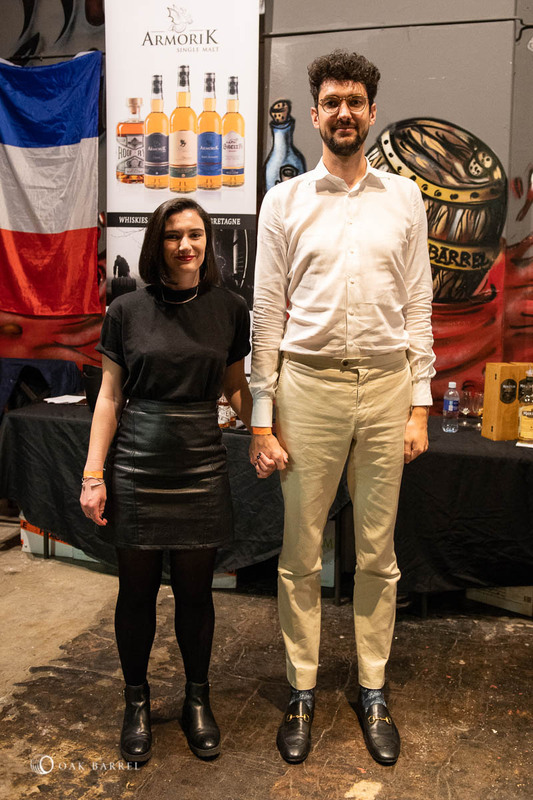 Given how prominent the Ardbeg brand is worldwide, it’s easy to forget just how new the current regime is. 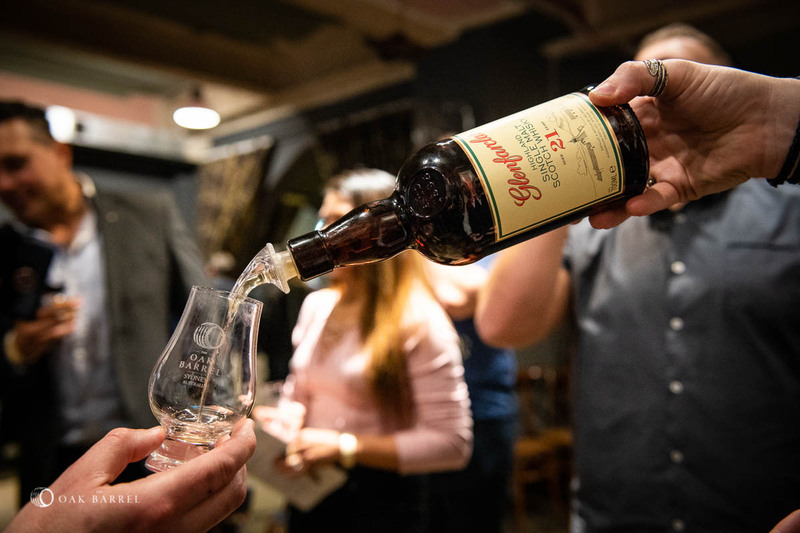 Following a few decades of uncertainty, Ardbeg – then under the ownership of Hiram Walker – closed in 1981. 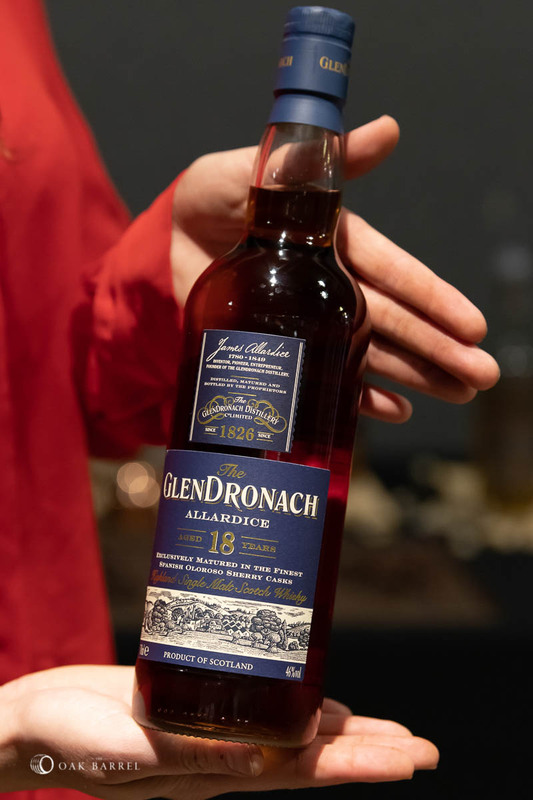 When the parent company was acquired by Allied, they decided to re-open the distillery and production resumed in 1989, right at the end of one of the most tumultuous decades in Scotch whisky history. 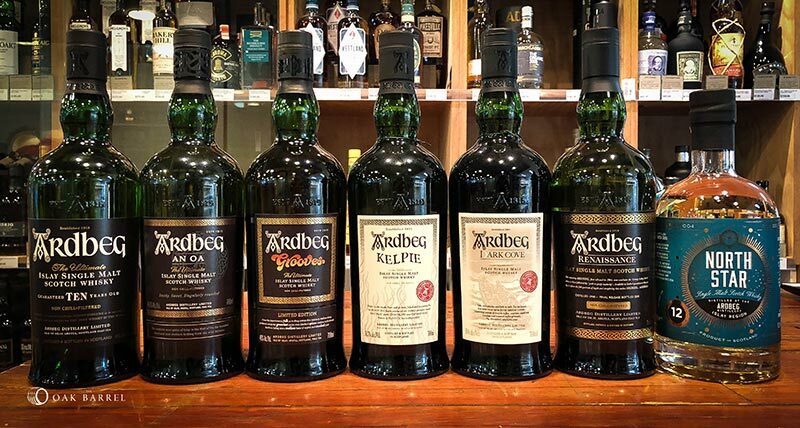 It wasn’t all smooth sailing, however, and Ardbeg was closed in 1996 and put on the market by Allied. The following year Glenmorangie picked up the distillery for £7 million. 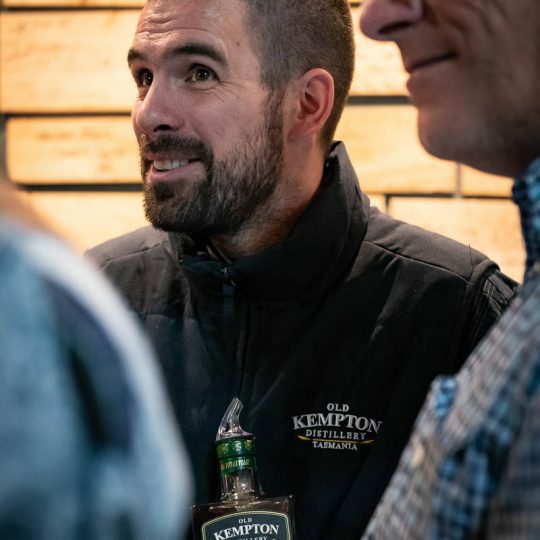 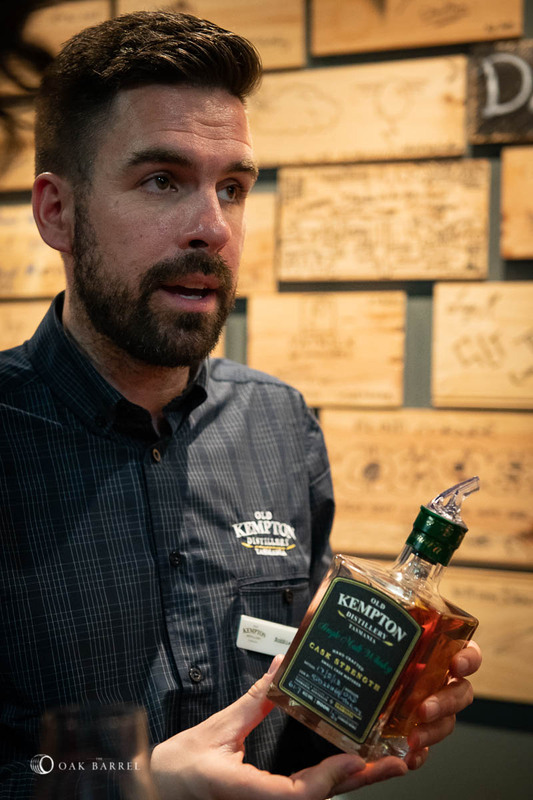 Although people assumed one of Scotland’s best-known distilleries knew what they were doing, that figure raised more than a few eyebrows as being well above what Glenmo’ should have paid. 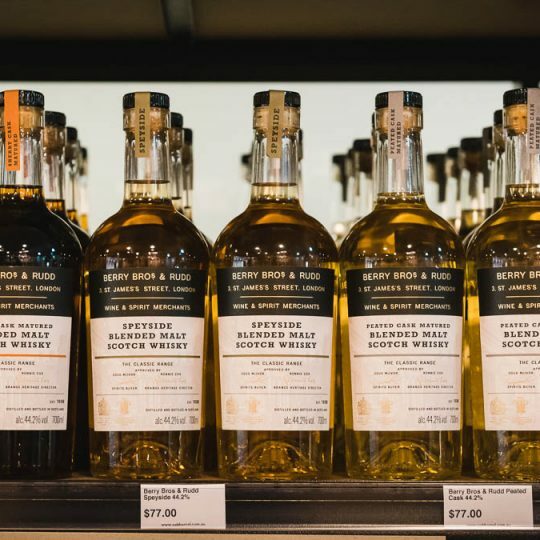 In 2018 and with plenty of hindsight, it’s considered one of the great bargains in whisky. 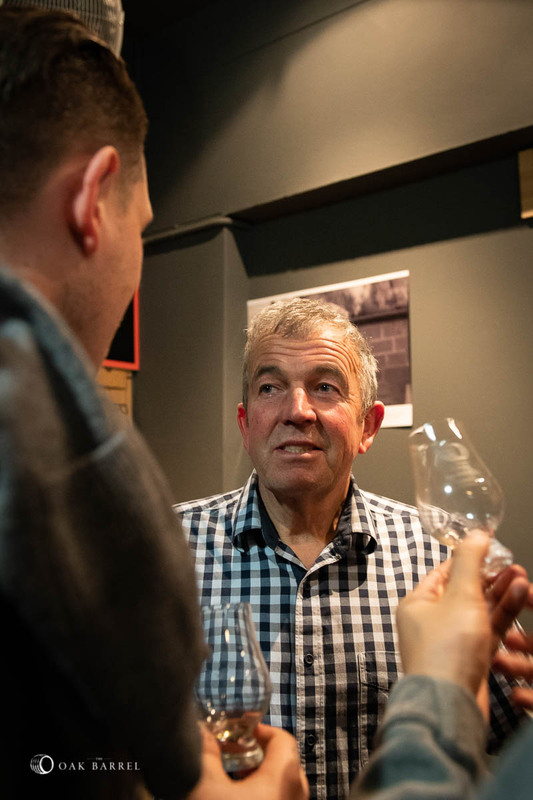 With a new approach and game plan, Glenmorangie went about turning Ardbeg into one of the great Islay staples of our time. 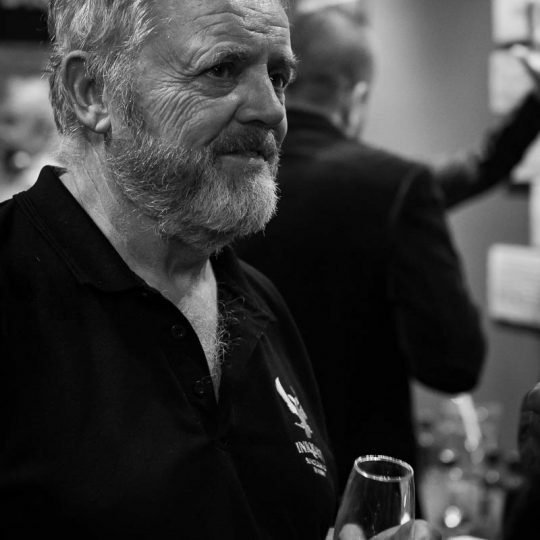 The Committee global fan club was founded in 2000 and experimental releases appeared from the pre-acquisition stock. 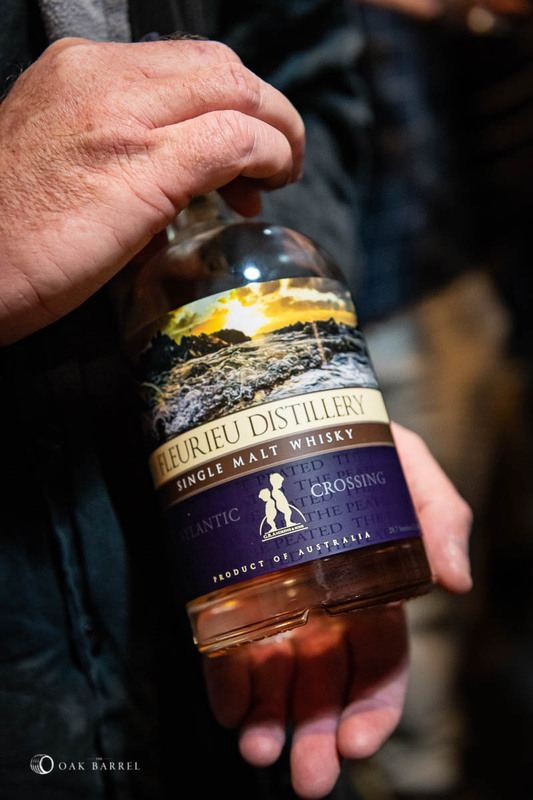 Some of those releases, like Uigeadail, are now staple expressions. 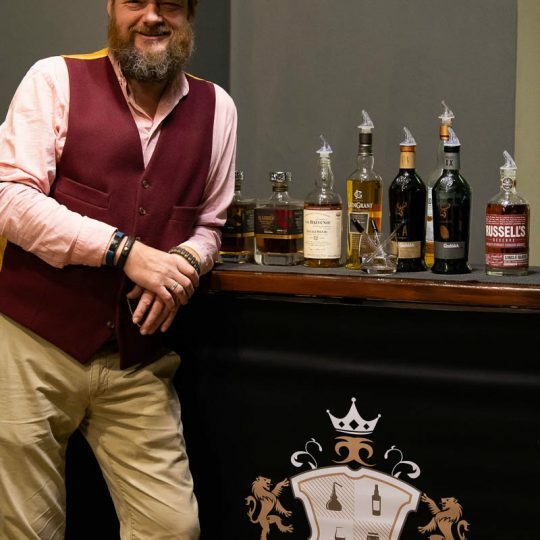 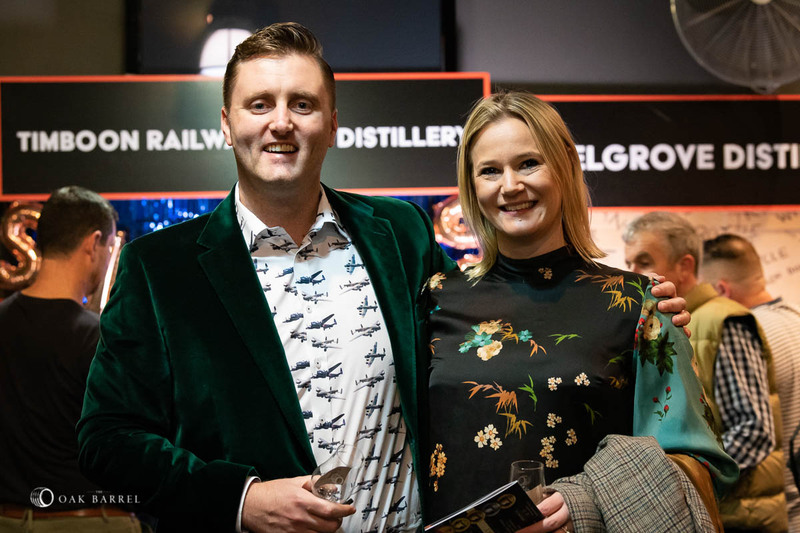 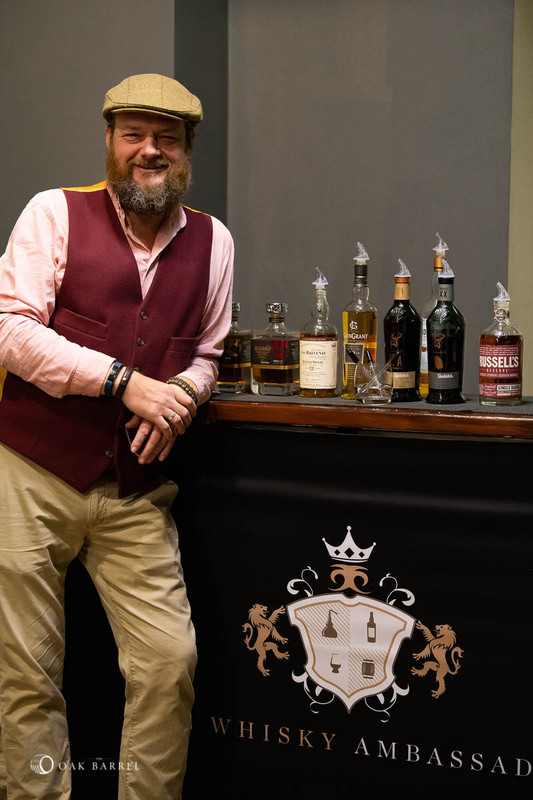 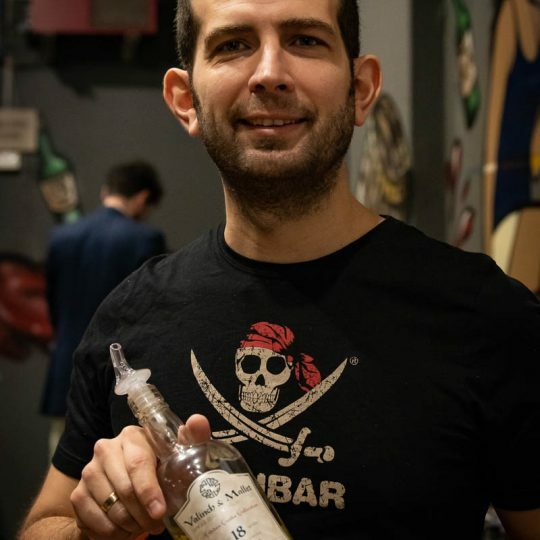 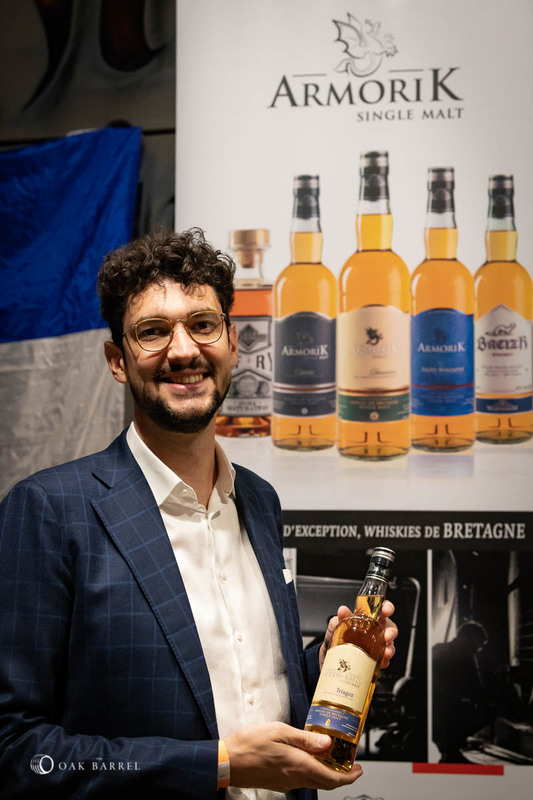 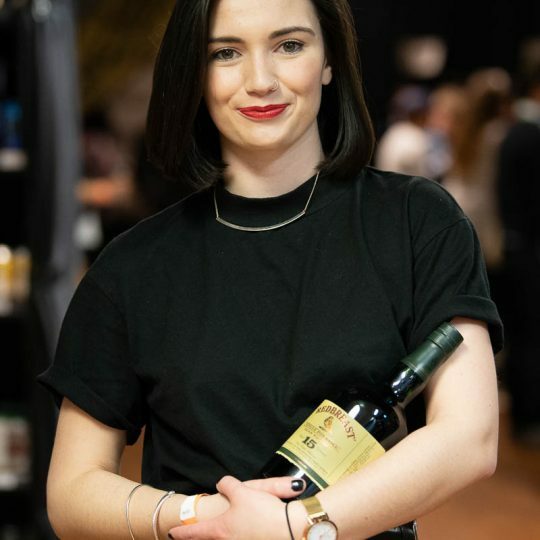 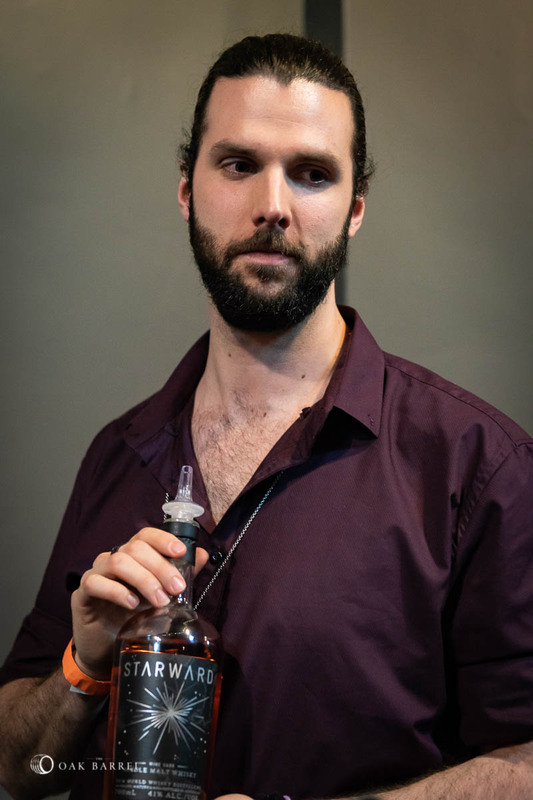 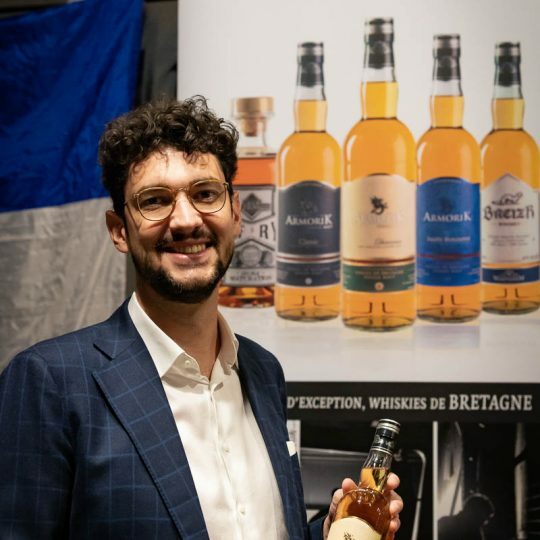 The new owners were still driven to showcase their own distillate and a series of releases – Very Young, Still Young and Almost There – culminated in 2008 with the release of a limited-edition cask strength ten-year-old Renaissance. 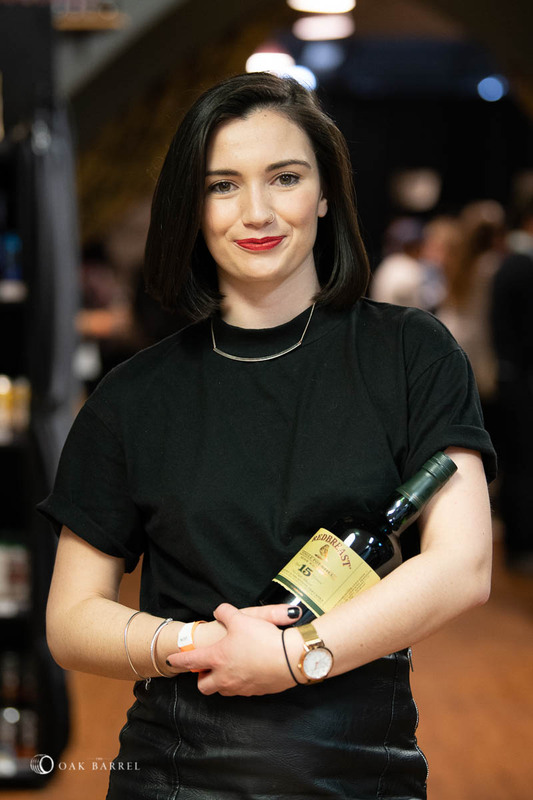 It was the DNA of what became the classic 10-year-old, the whisky which has cultivated an army of cult fans and made the Ardbeg logo one of the most distinctive of all Scotch whiskies. 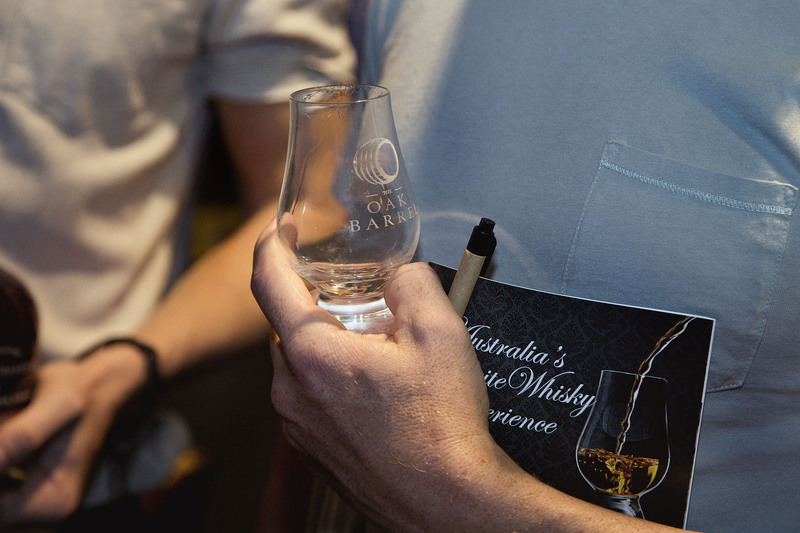 We’re pleased to confirm a very special Ardbeg tasting night as part of our Sydney Whisky Fair Masterclasses. 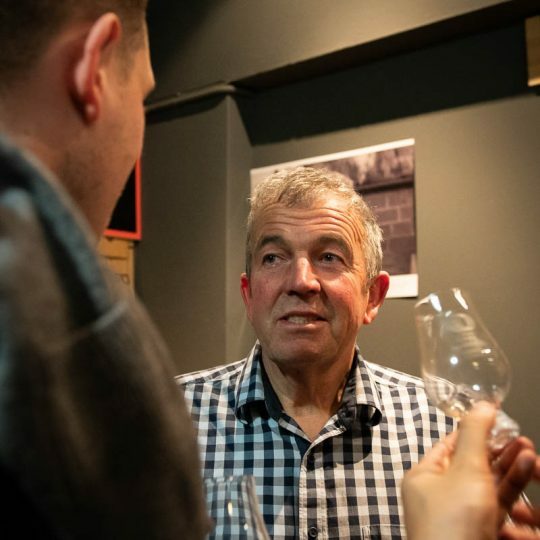 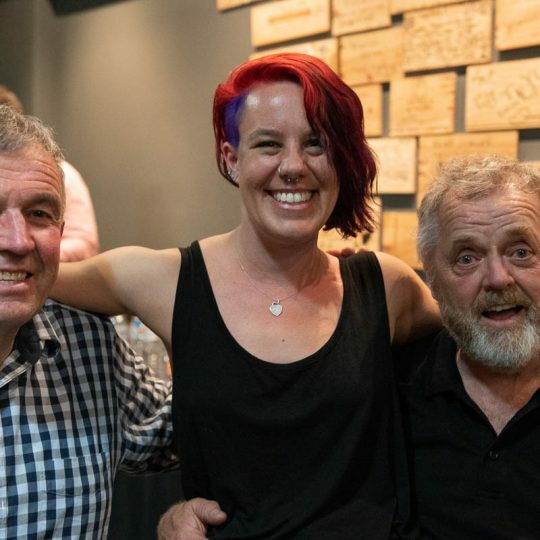 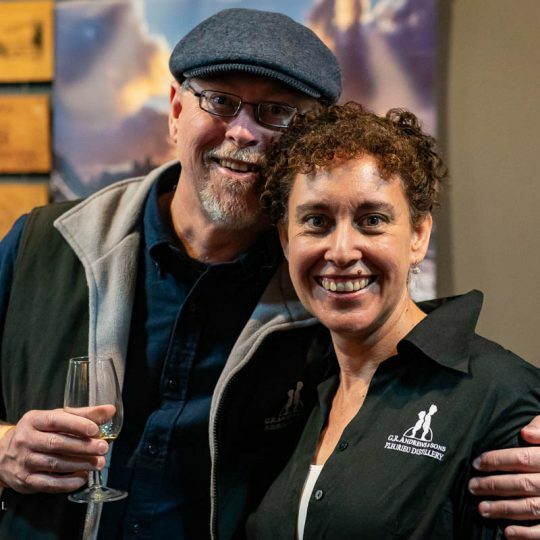 Hosted by long-time Australian ambassador Garth Foster, we’ve dug into the Oak Barrel archives to put together a tasting with the Renaissance expression, some of the more recent Committee releases and the new Grooves and An Oa. 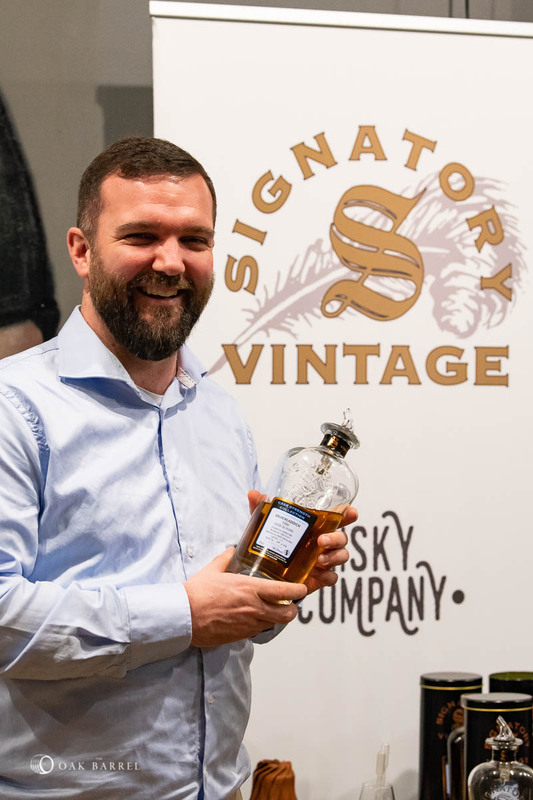 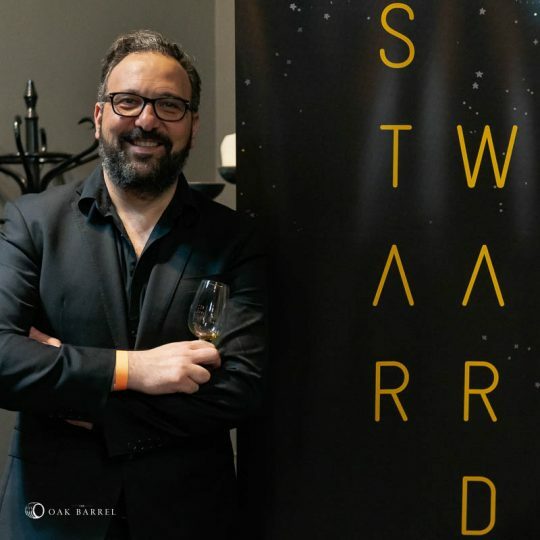 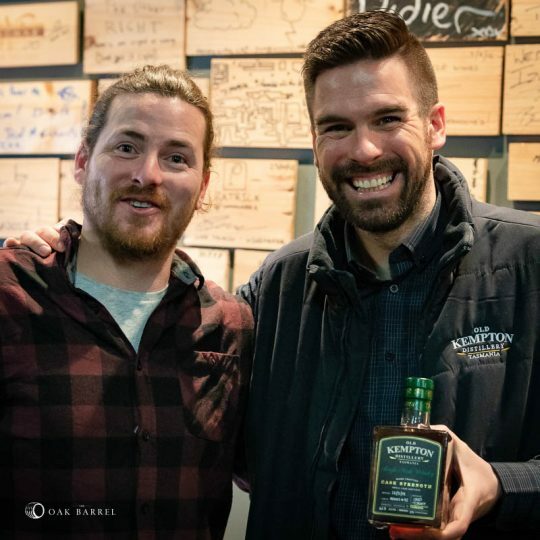 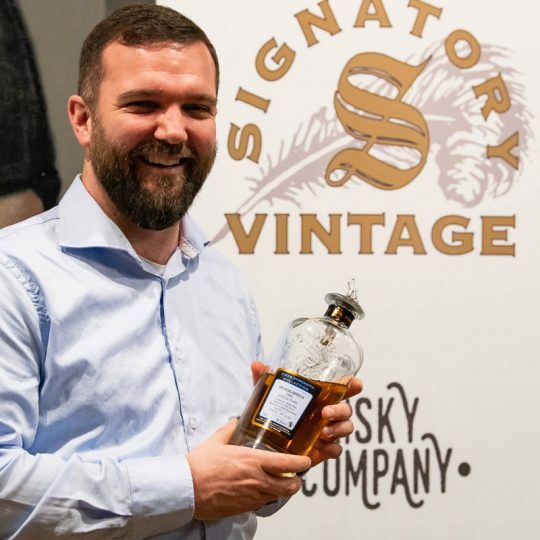 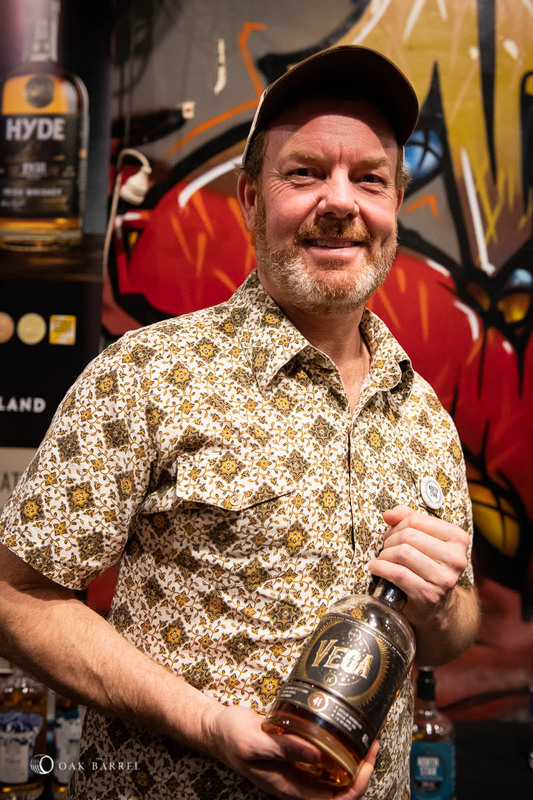 The Oak Barrel’s Scott Fitzsimons will also dig out a very special single cask expression bottled by North Star for the night, an exceedingly rare example of an independent bottling allowed to carry the distillery name. 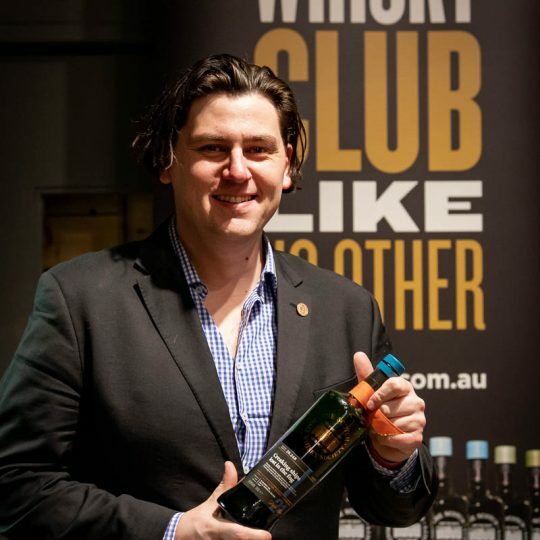 In the lead up to Sydney Whisky Fair 2018 The Oak Barrel will be hosting a number of ‘Fair Masterclasses’. 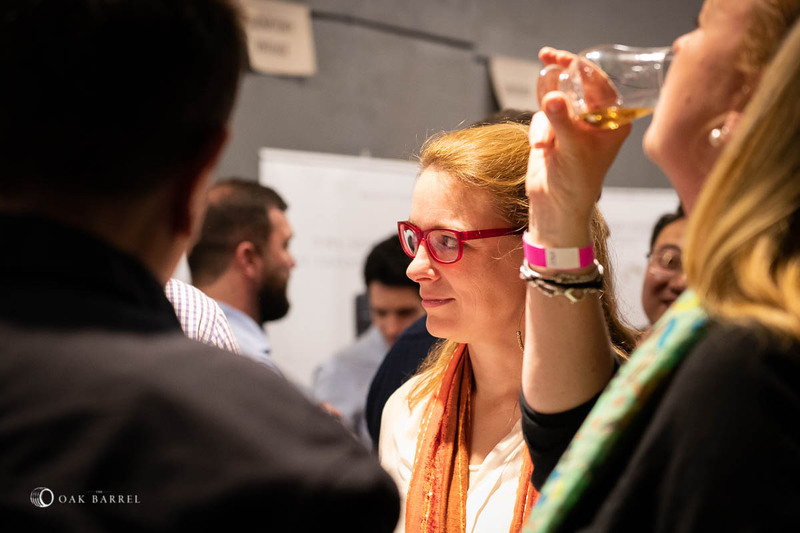 These will provide an opportunity to get up close and personal with brands and distilleries, with plenty of time to mull over drams and ask plenty of questions. 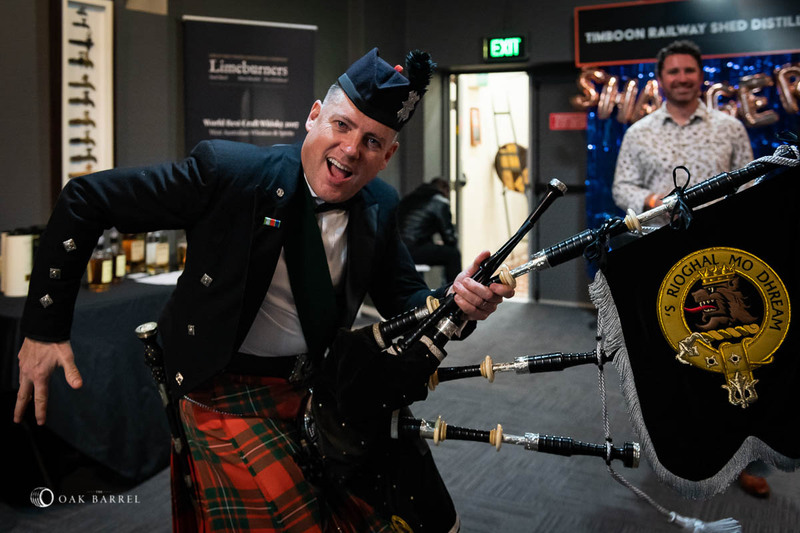 We run them as satellite events so you’re not drawn away from the tables during the main event and so you have plenty of time with each whisky without the allure of other shiny things! 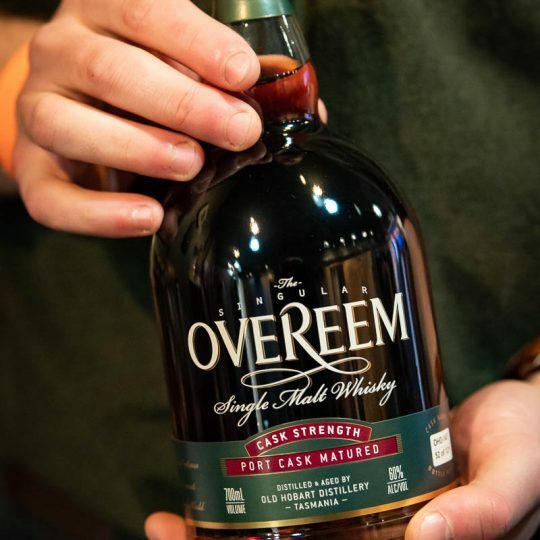 Strictly one night only. 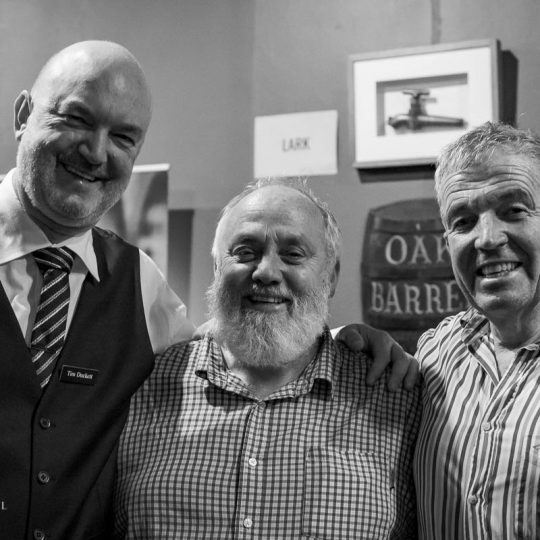 Line-up subject to change due to unforeseen circumstances. 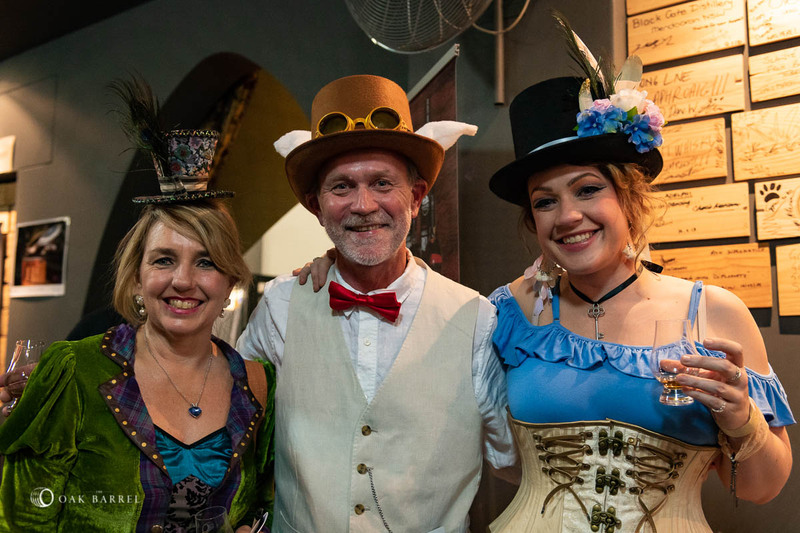 Tickets are non-transferable and non-refundable. 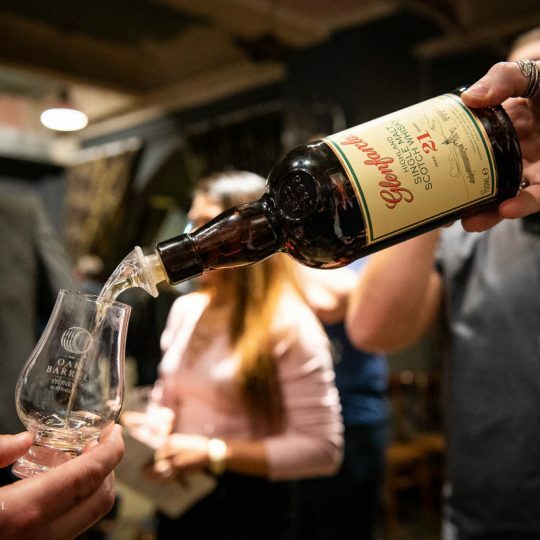 …The first release sold out in under two-and-a-half days since they went on sale midday Tuesday. 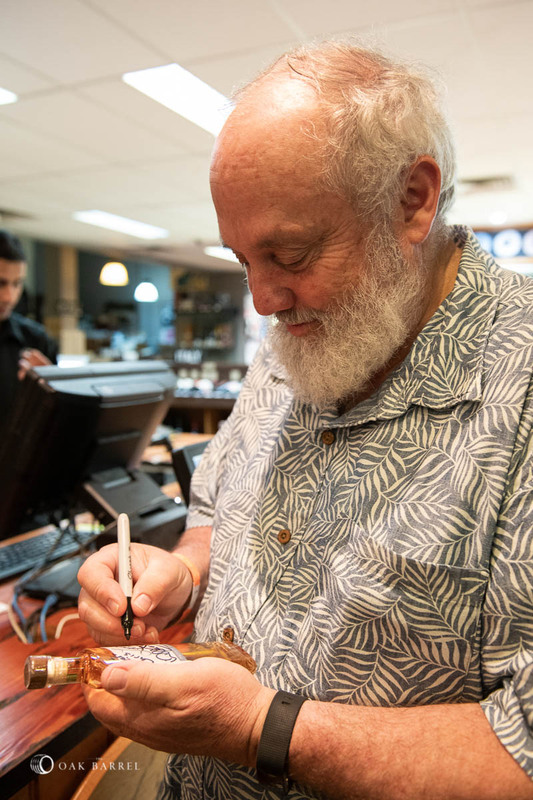 …While the rate in which tickets sold by quantity is below the record, the rate in which orders came through is a new record. 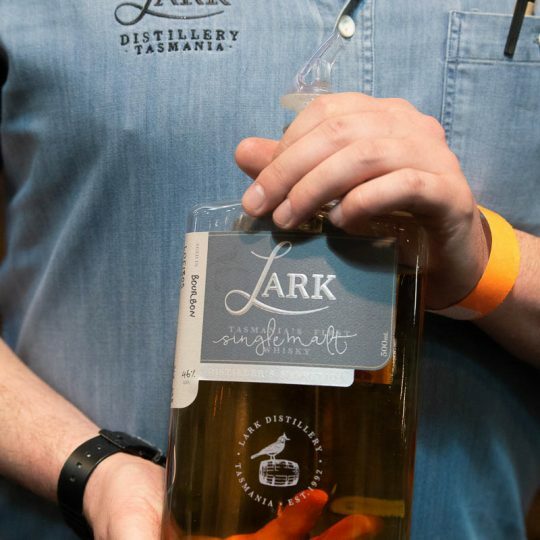 This largely has to do with the members pre-sale, which requires a paid-up Oak Barrel membership per ticket sold. 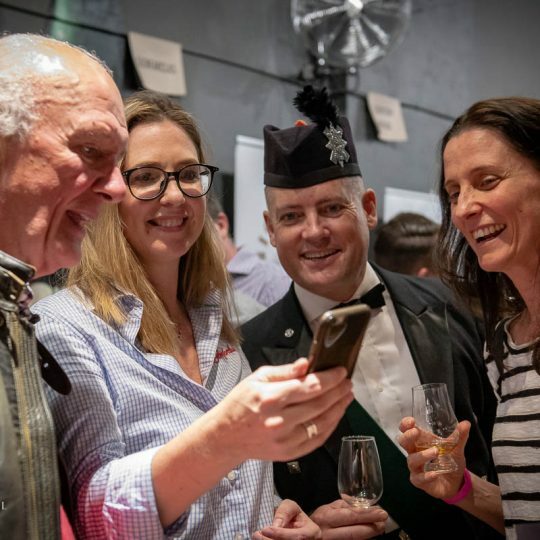 As a result, orders of one ticket dominated the first 24 hours, slowing down the quantities and giving more people a chance to access tickets. 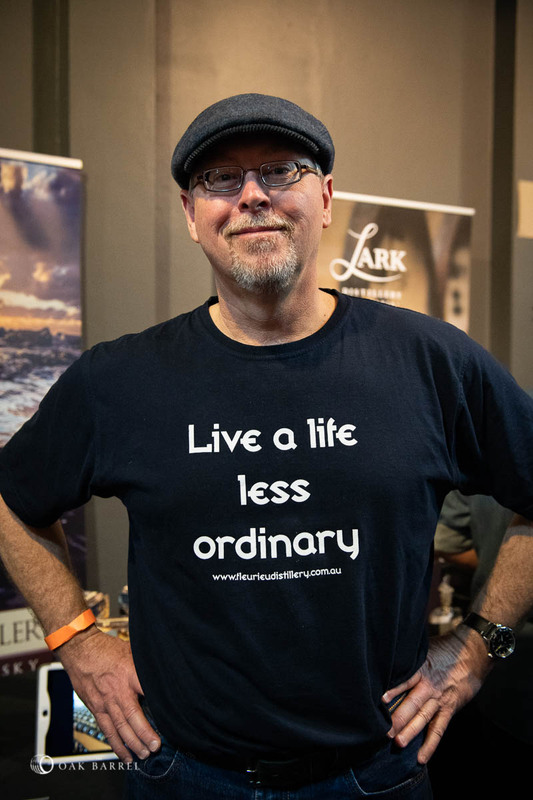 …A spike in traffic on oakbarrel.com.au crashed the website (via the ‘/shop/event’ pages) at 11.54am on Wednesday. 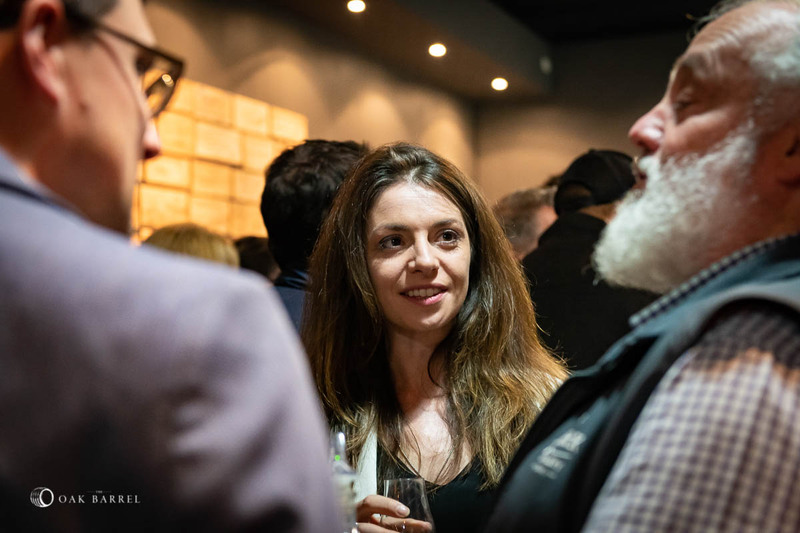 As our hosts allocated more server space, it meant we were unable to put tickets live directly at midday. 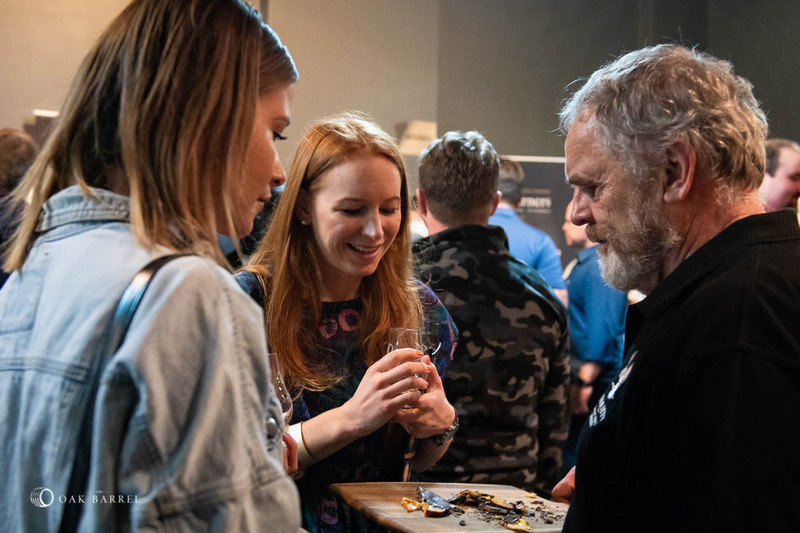 The site reappeared at 12.16, tickets updated at 12.17 and the first order came through at 12.18. 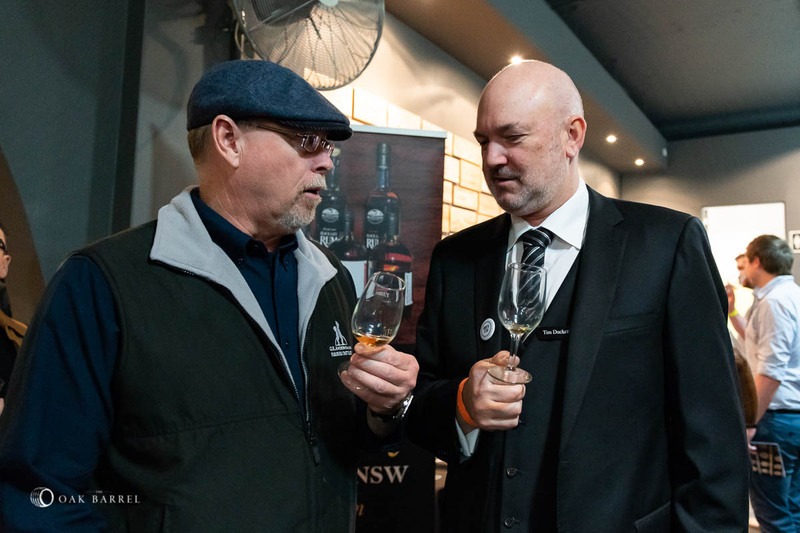 …Session 1 (Friday) has been the most popular in 2018, so far, ahead of Session 2 (Saturday arvo) and Session 3 (Saturday night). 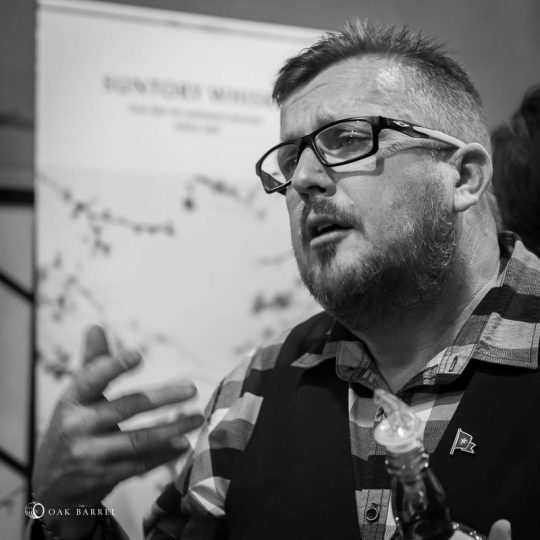 This is a change from the previous two years, when Session 2 was the quickest-selling slot. 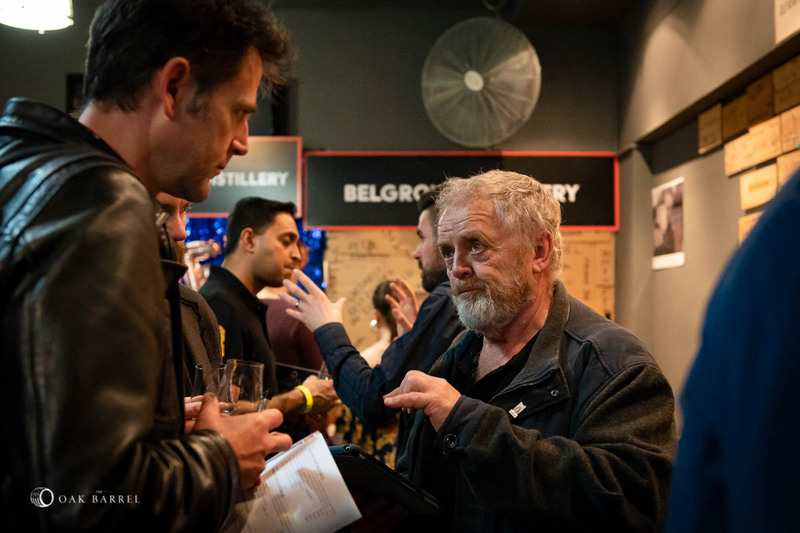 …The sold out sign for the third session went up at 7.34pm Thursday. 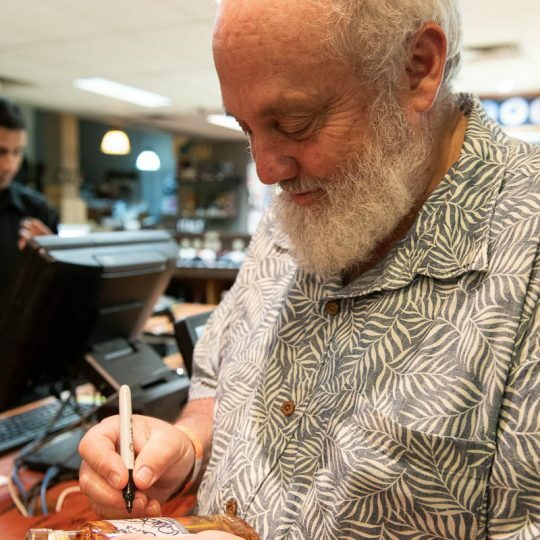 That’s about 55-and-a-half hours, or exactly 3,304 minutes, since they went on sale (including the pre-sale). 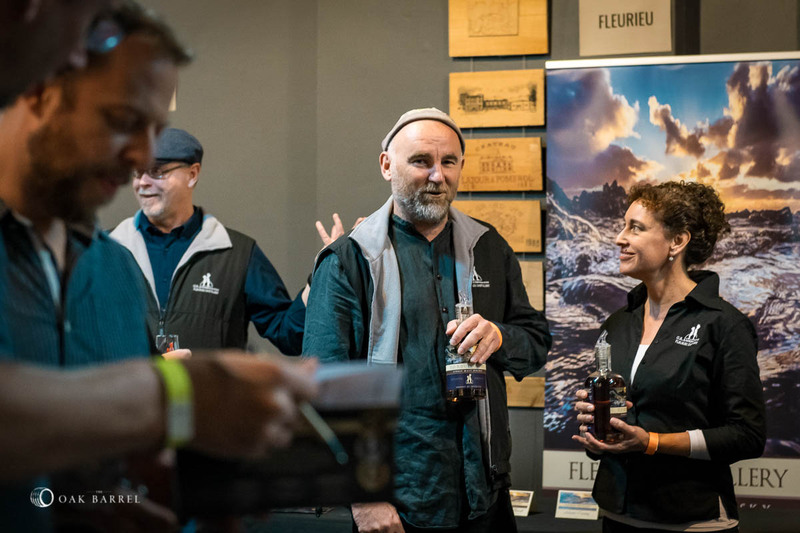 …Over 50% of the overall allocation of tickets were sold in the first release – overall and for each session. 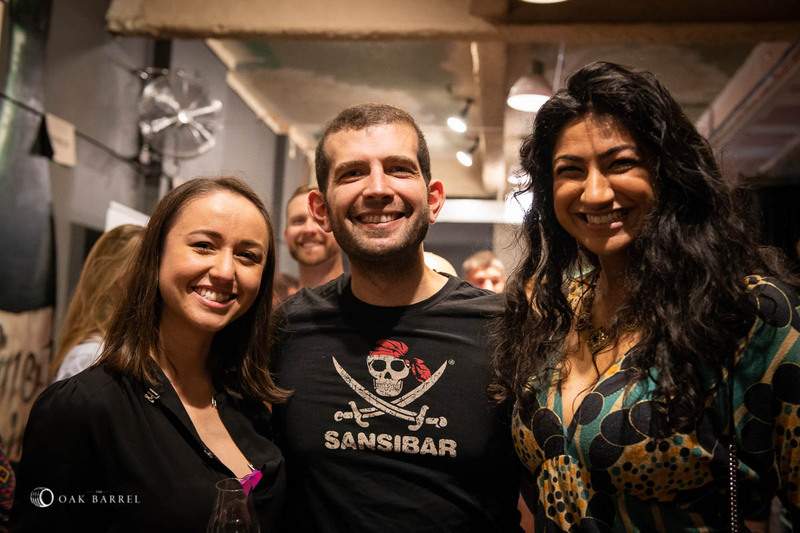 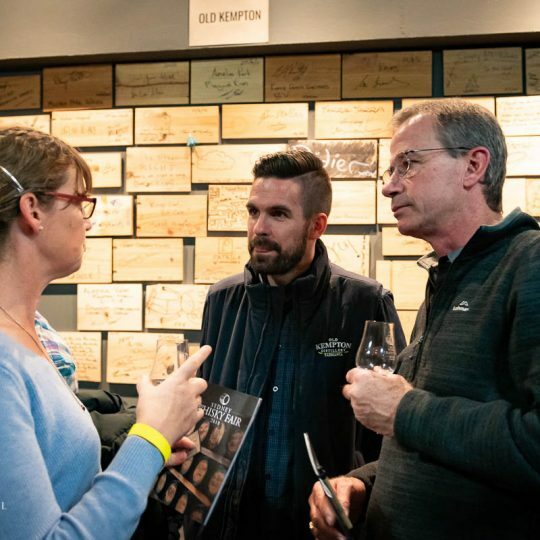 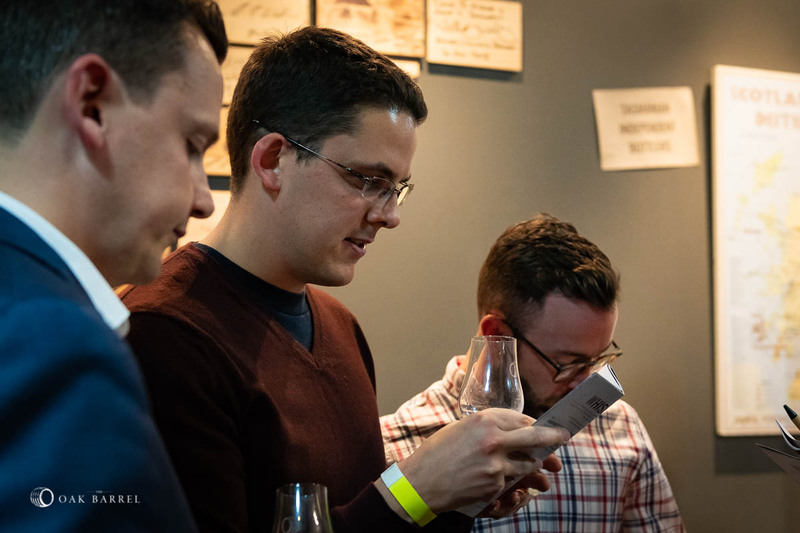 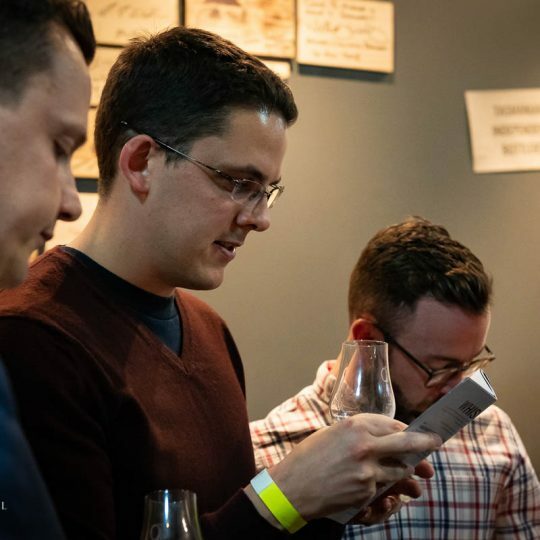 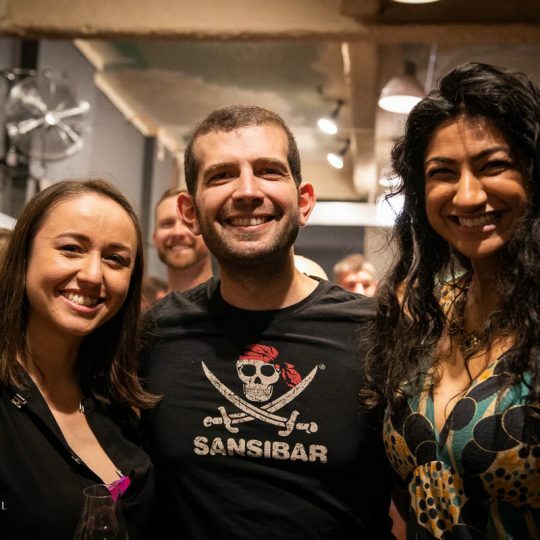 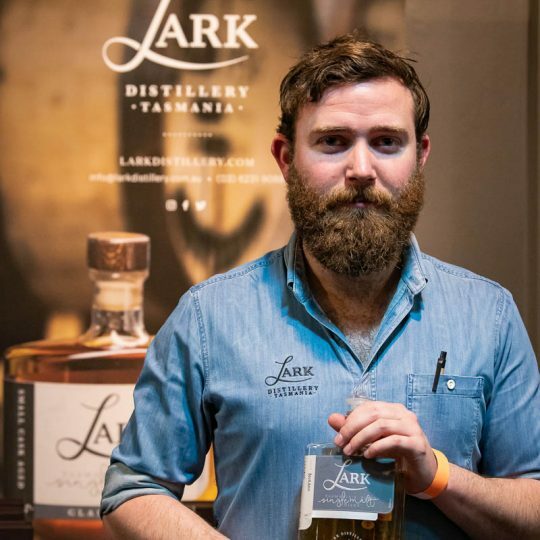 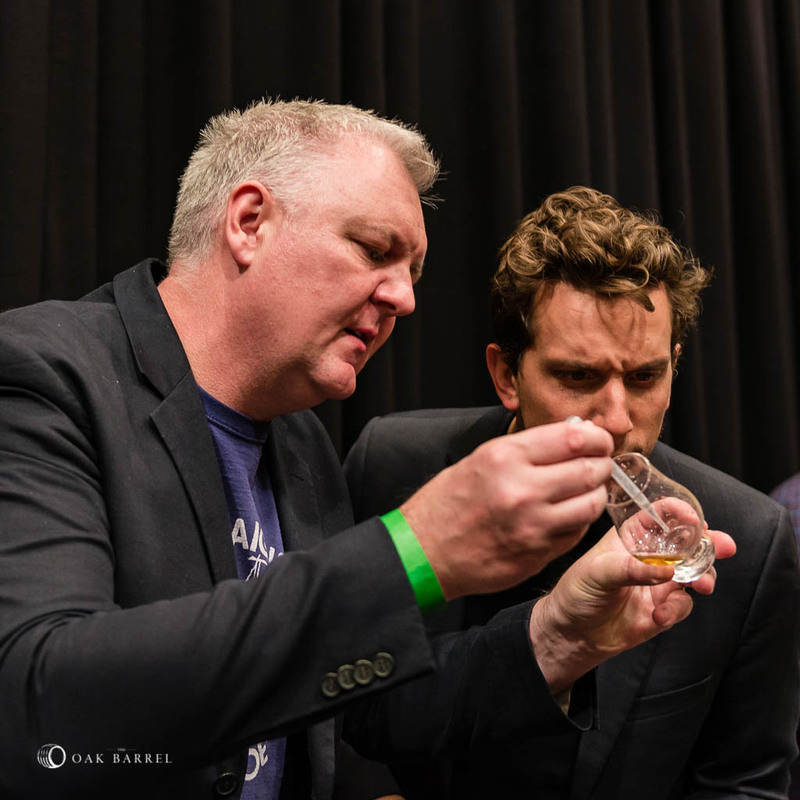 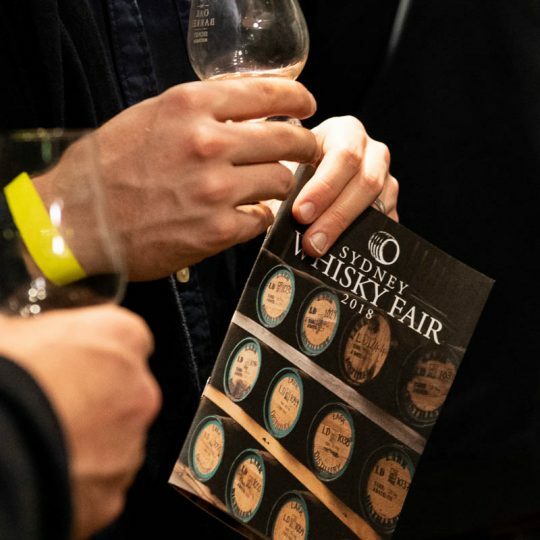 Tickets to Sydney Whisky Fair 2018 are now on sale to Oak Barrel members. 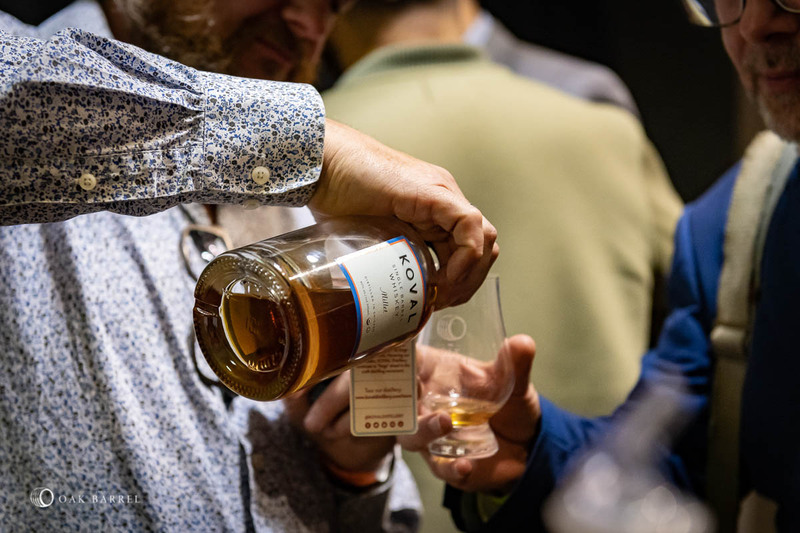 As announced last week, Oak Barrel members receive a 24-hour window of pre-sale before general public tickets go on sale in 24 hours time. 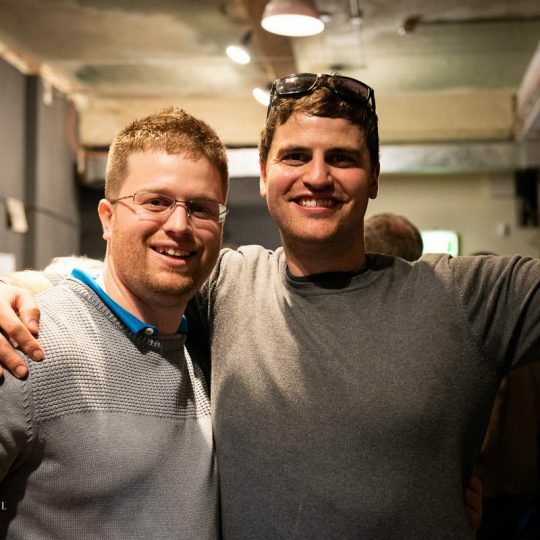 Tickets will remain on sale until first release allocation is exhausted. 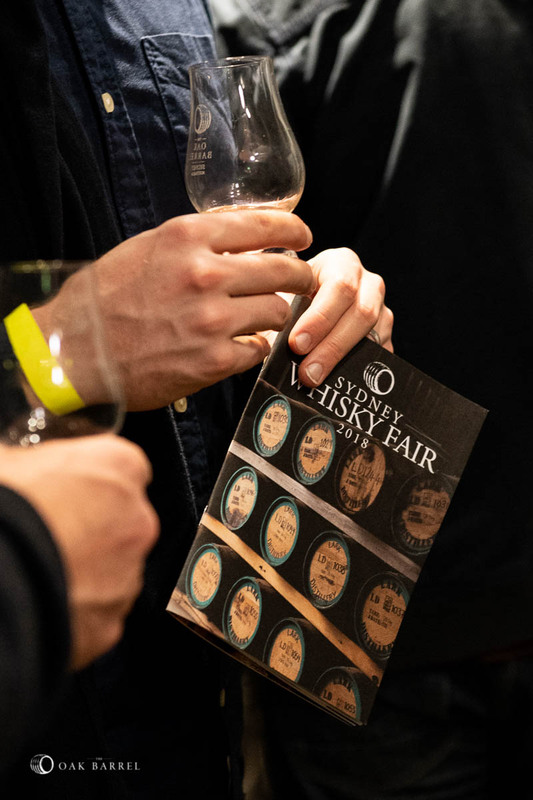 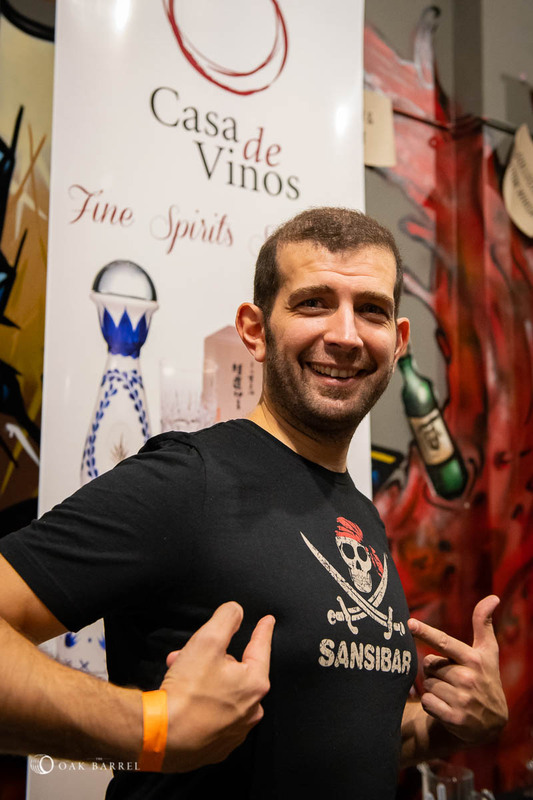 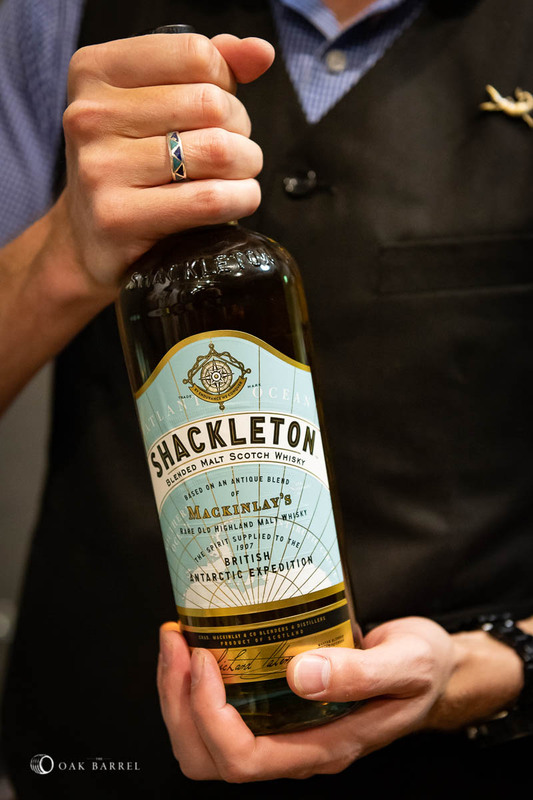 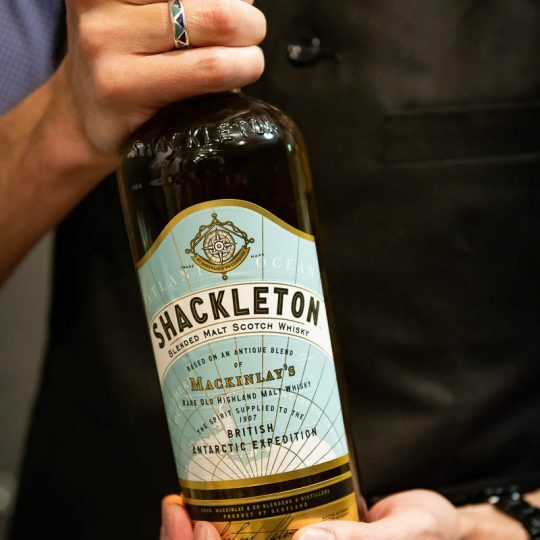 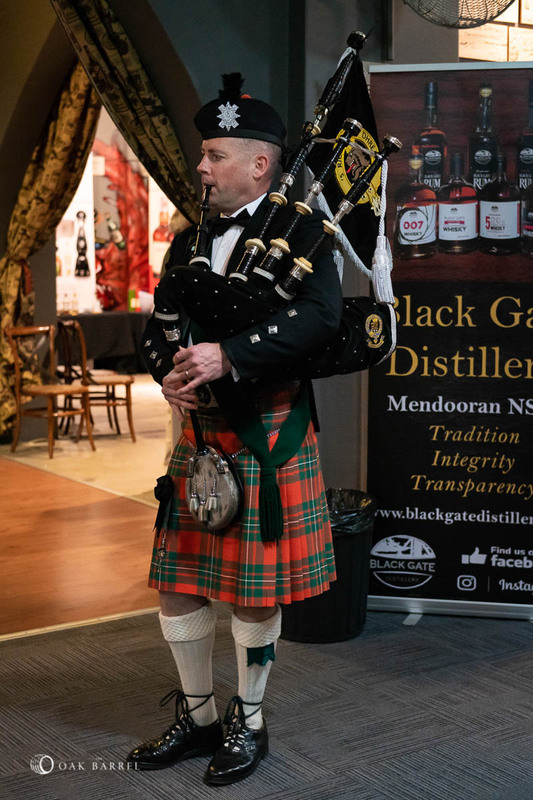 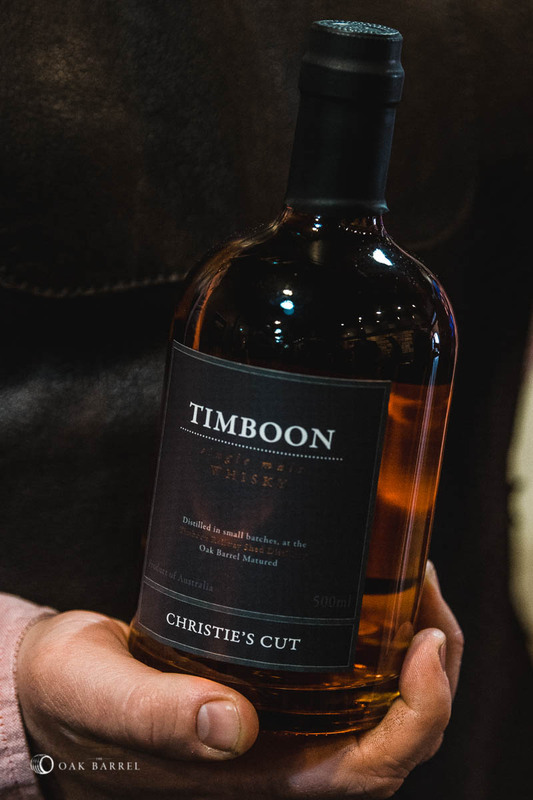 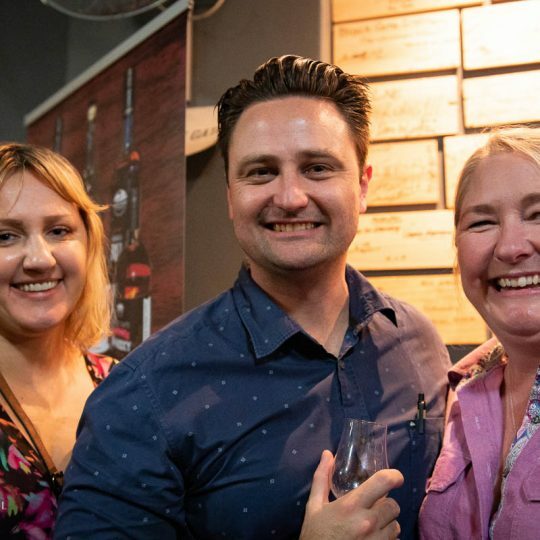 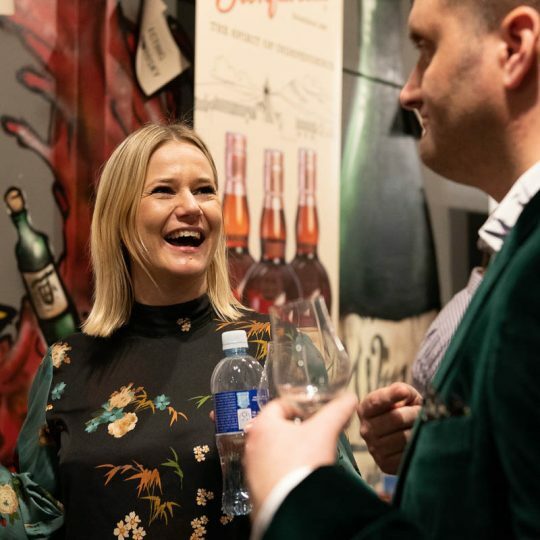 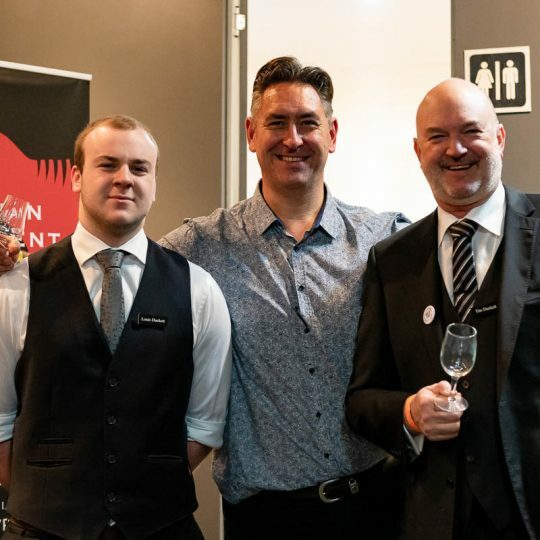 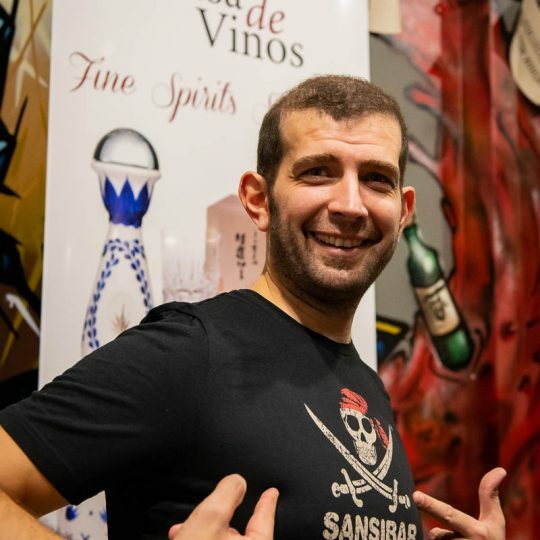 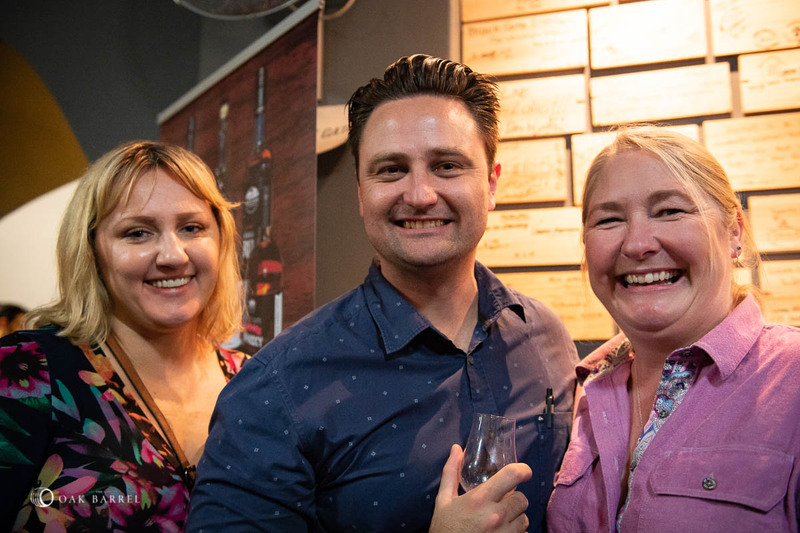 Sydney Whisky Fair is excited to announce the first swathe of distilleries set to showcase at this year’s event, with tickets set to go on sale tomorrow. 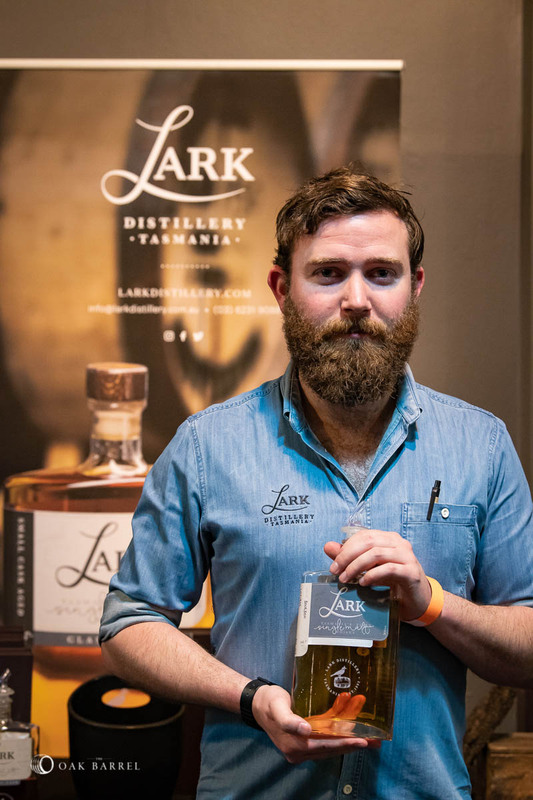 Our first announcement features a range of Australian distilleries from across the country, with a record number of local producers confirmed to showcase. 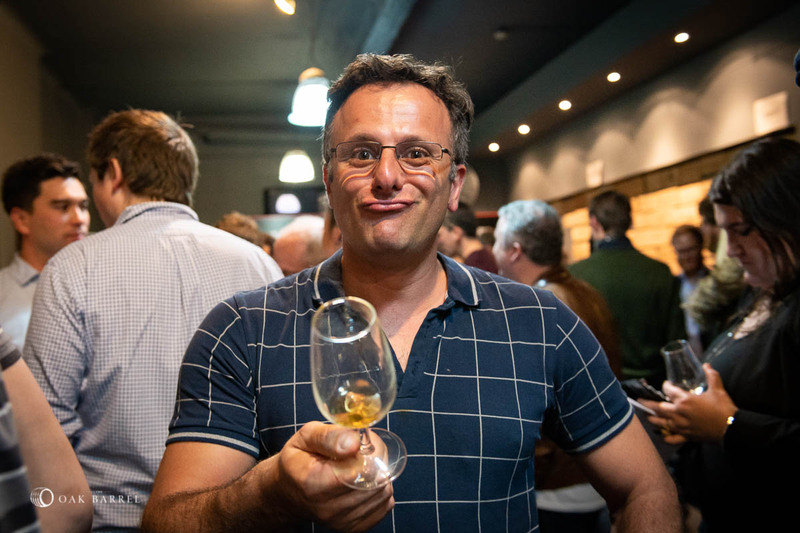 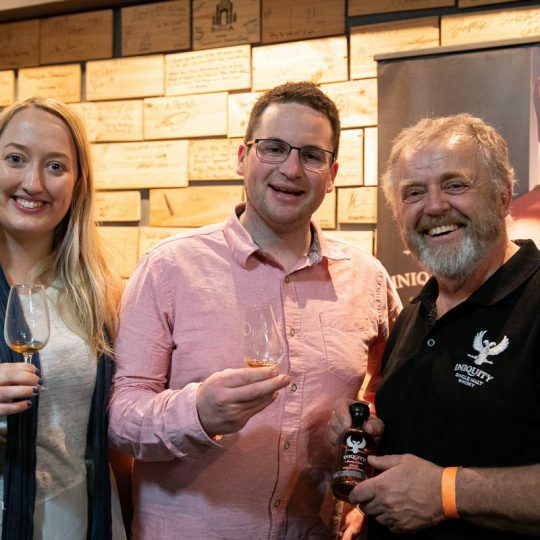 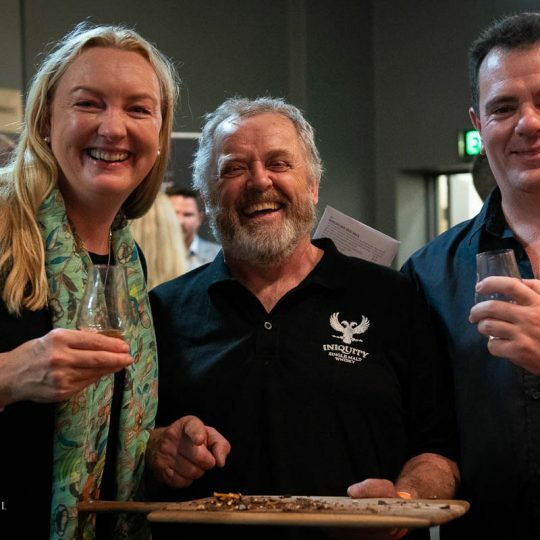 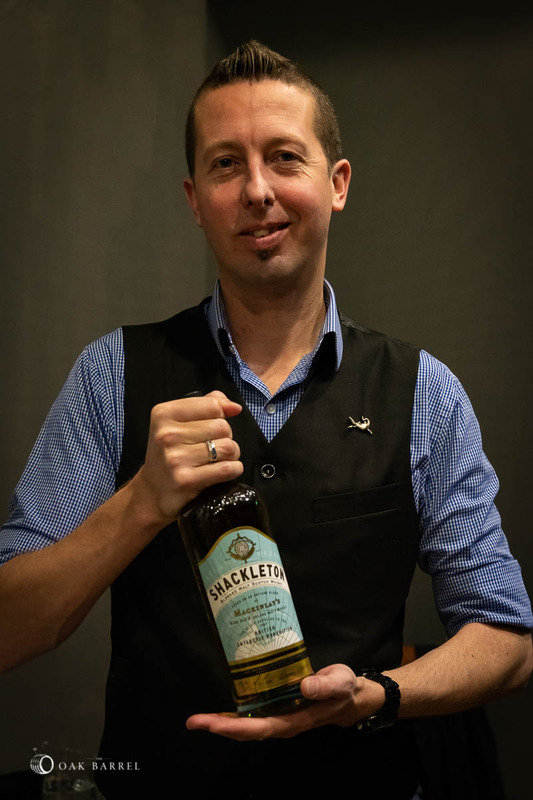 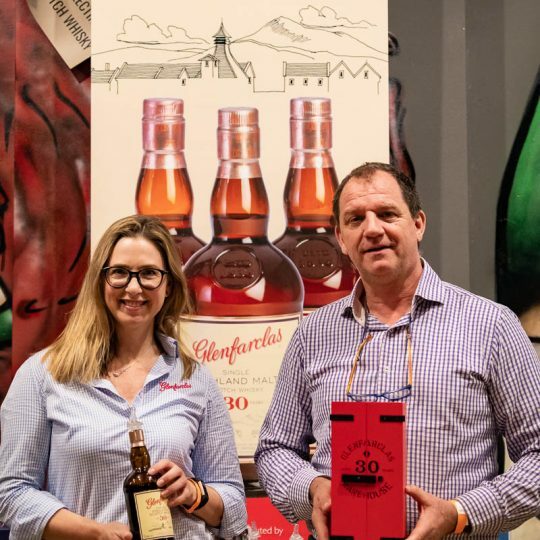 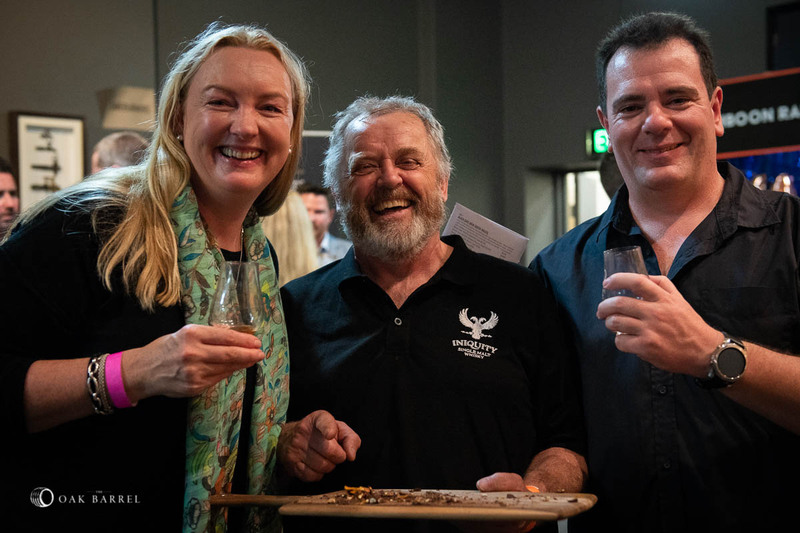 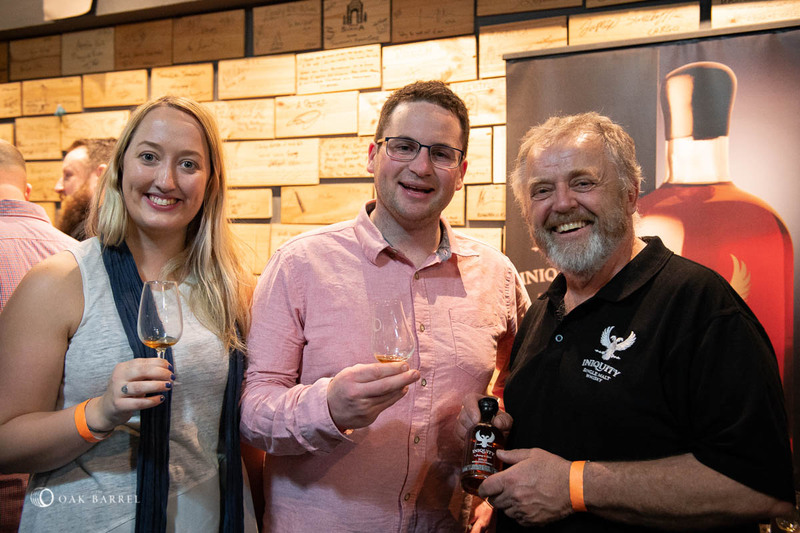 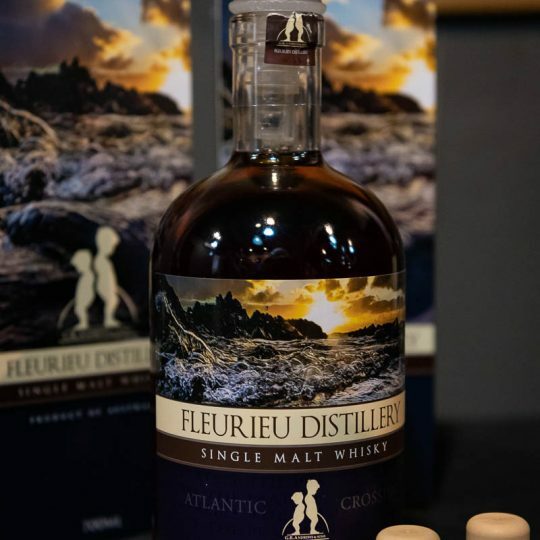 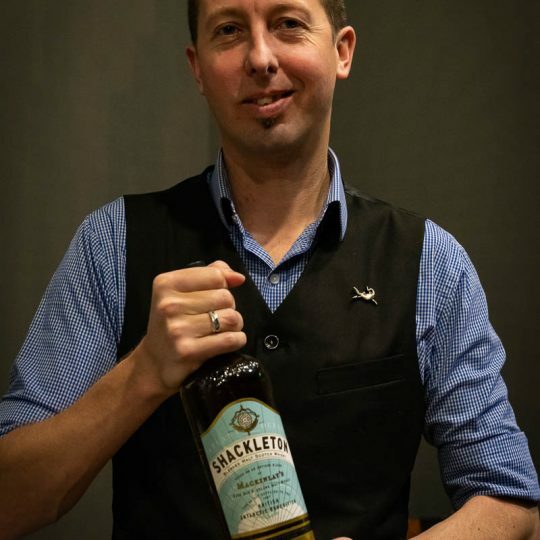 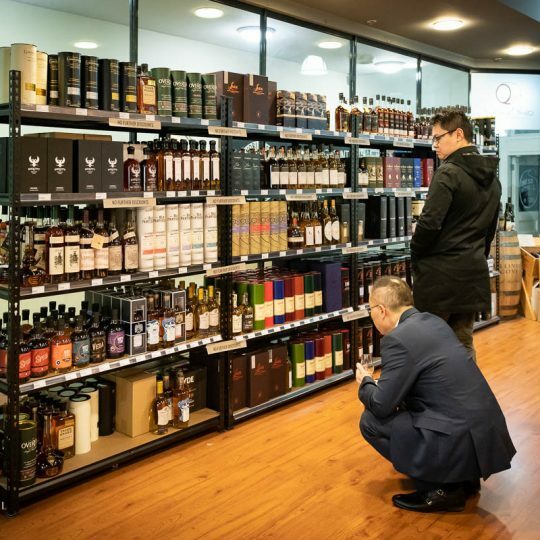 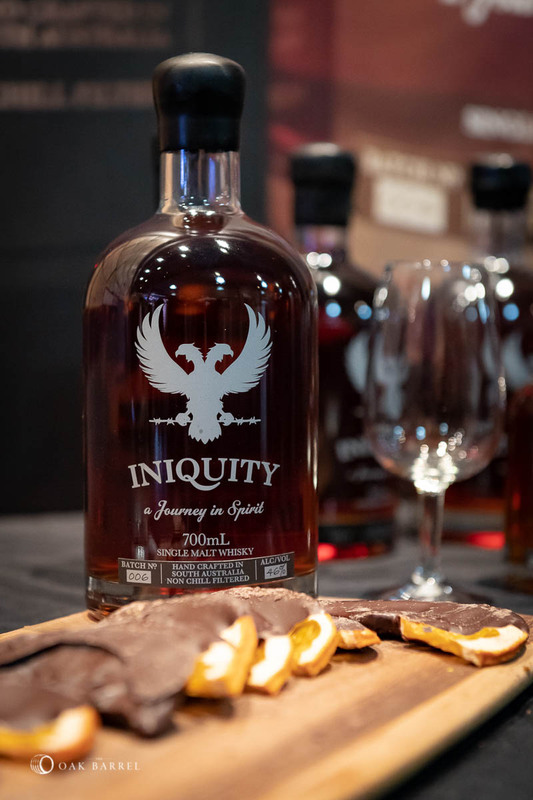 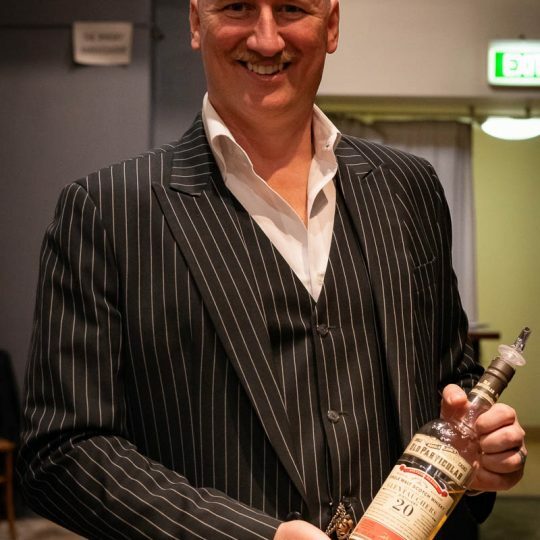 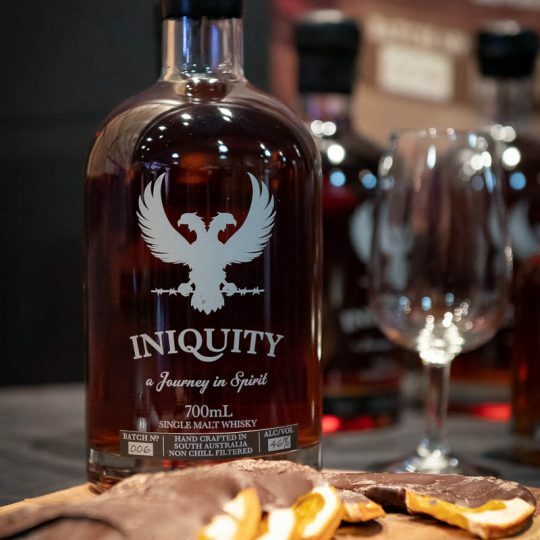 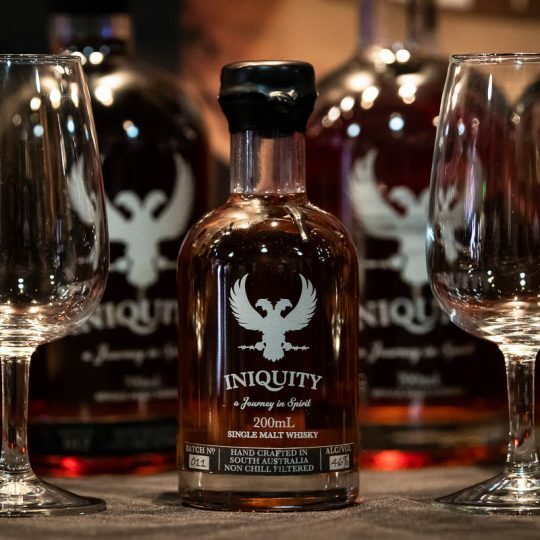 Excitingly, South Australia’s break-out cult loved Fleurieu Distillery (still pictured above) will make their Sydney Whisky Fair debut, as will Tasmania’s Old Kempton Distillery (formally Redlands) who finally have enough mature whisky to supply more than just their island. 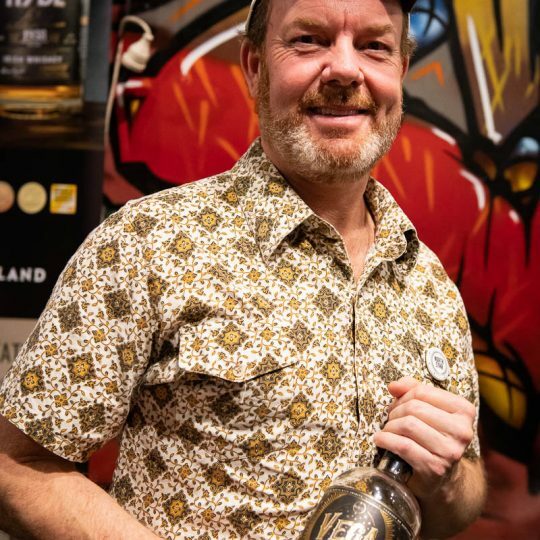 Tim Duckett will also be introducing his new label Tasmanian Independent Bottlers for the first time in a Fair environment. 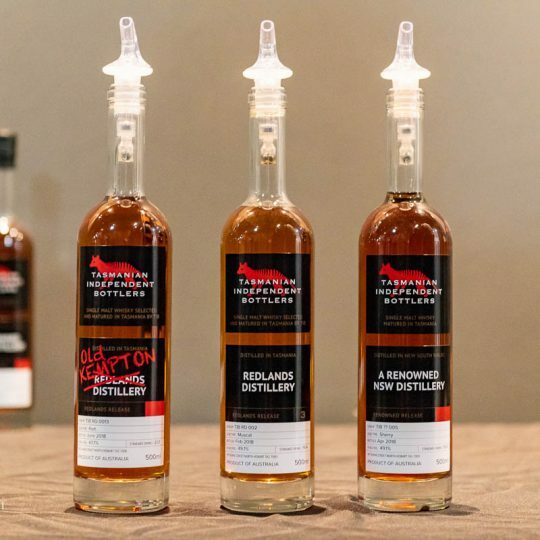 A number of distilleries will be returning with their latest releases, some of which have been absent for quite a while. 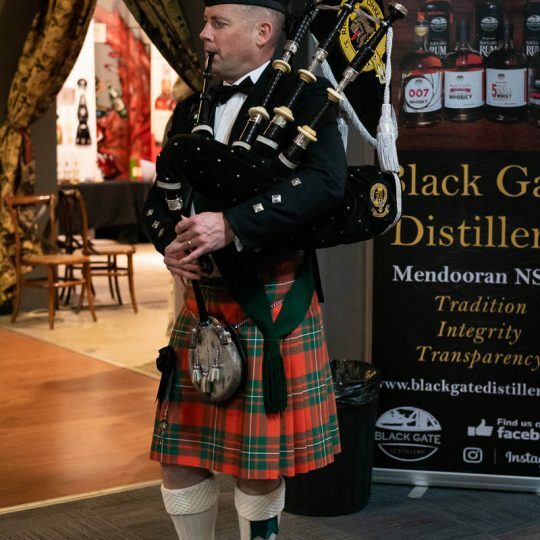 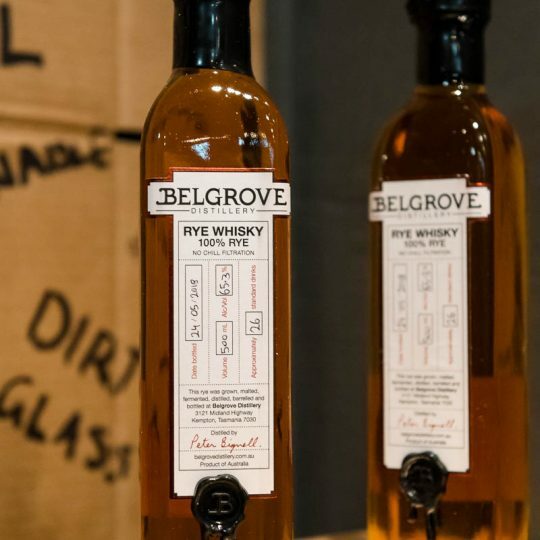 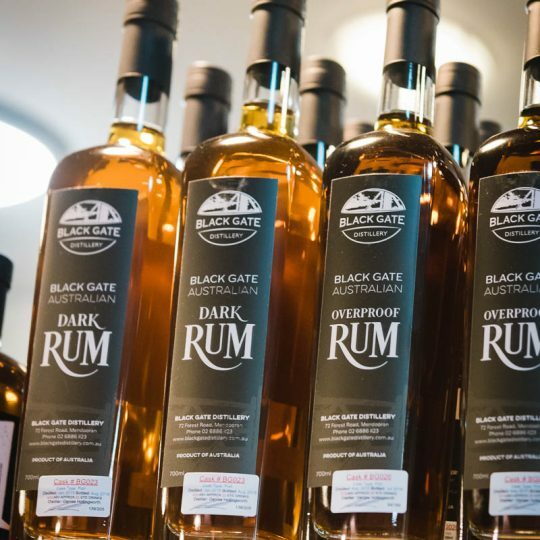 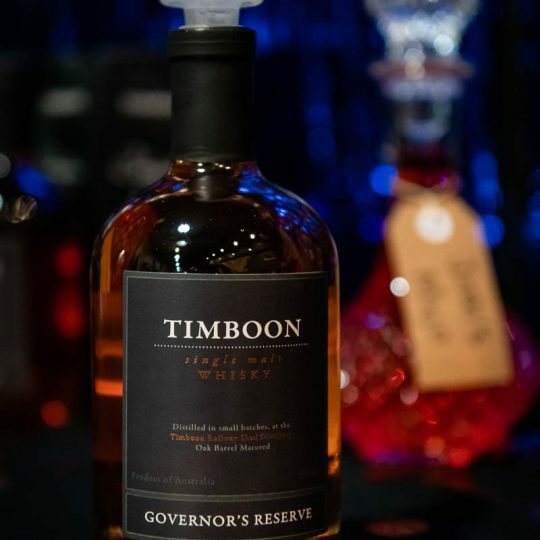 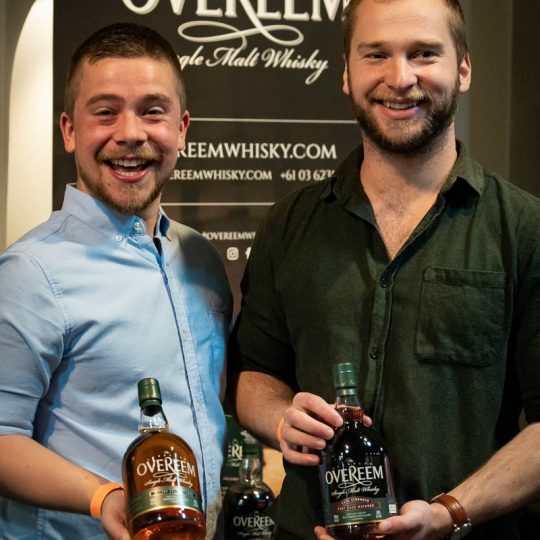 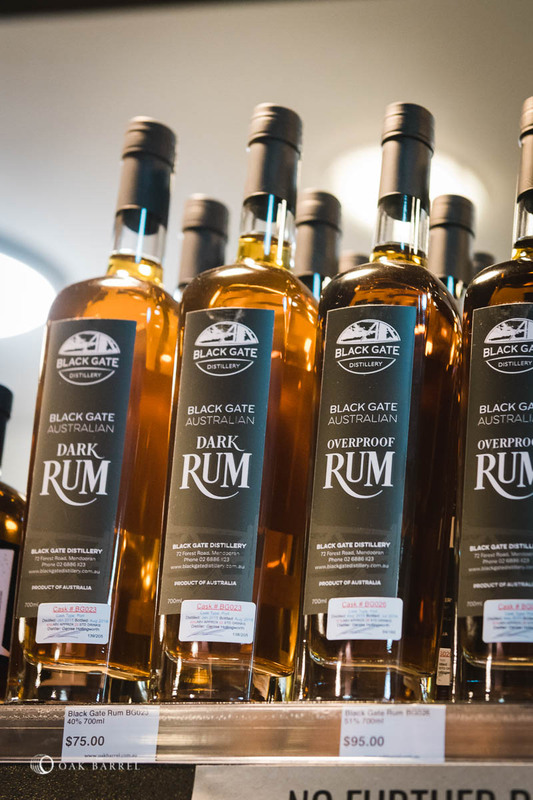 Whisky Fair is rolling out the carpet to welcome Belgrove, Black Gate, Iniquity, Lark, Limeburners, Overeem and Timboon back into fold for 2018 with their latest and greatest. 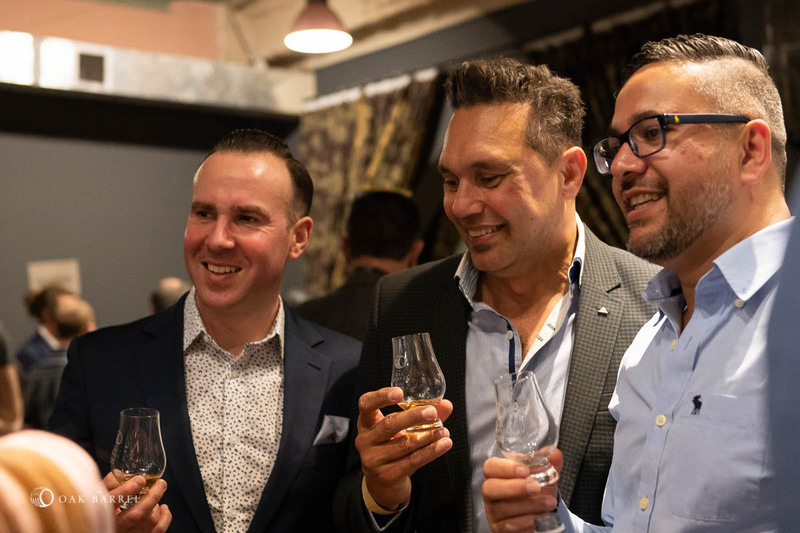 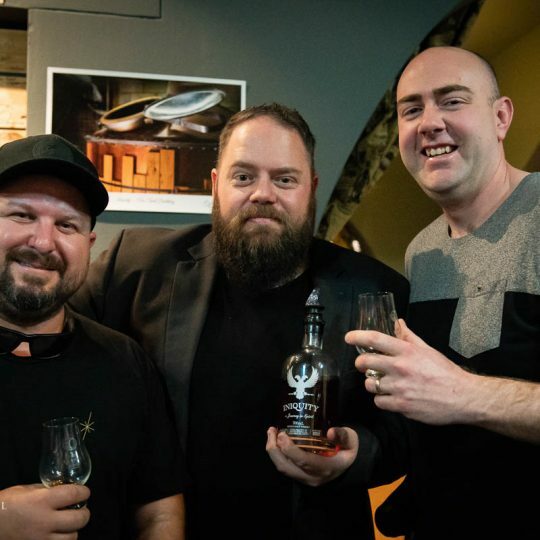 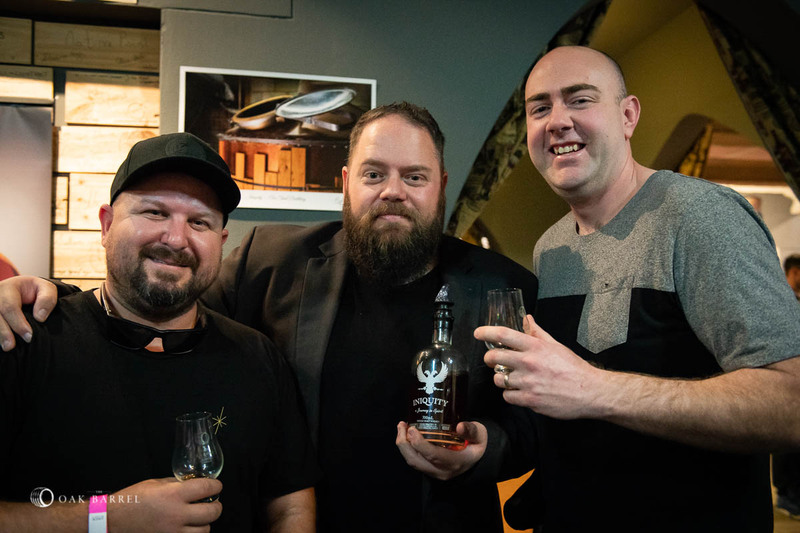 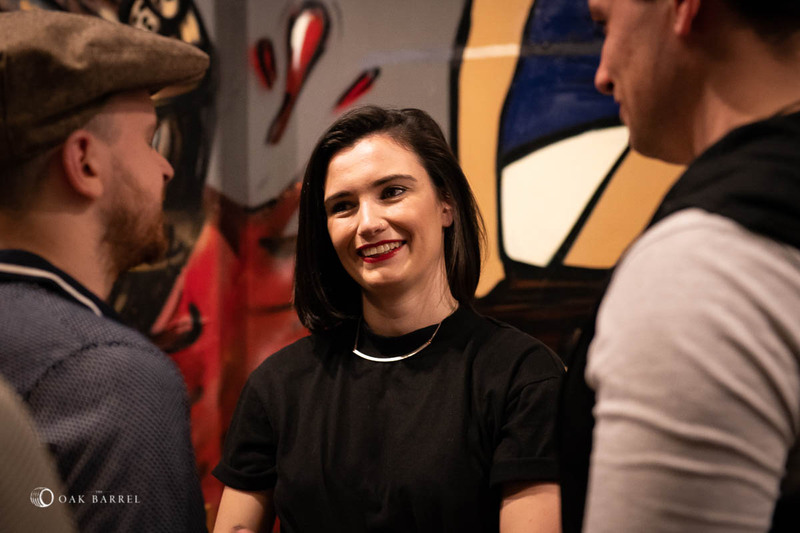 With ten distilleries in this first announcement – and there may be other locals announced – there’ll be the most diverse selection of Australian whisky on pour that we’ve ever seen. 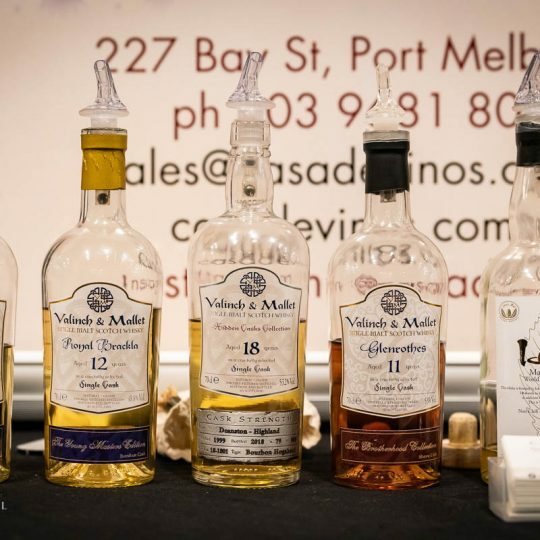 From big port and sherry casks, to delicate American oak expressions and heavily peated whiskies. 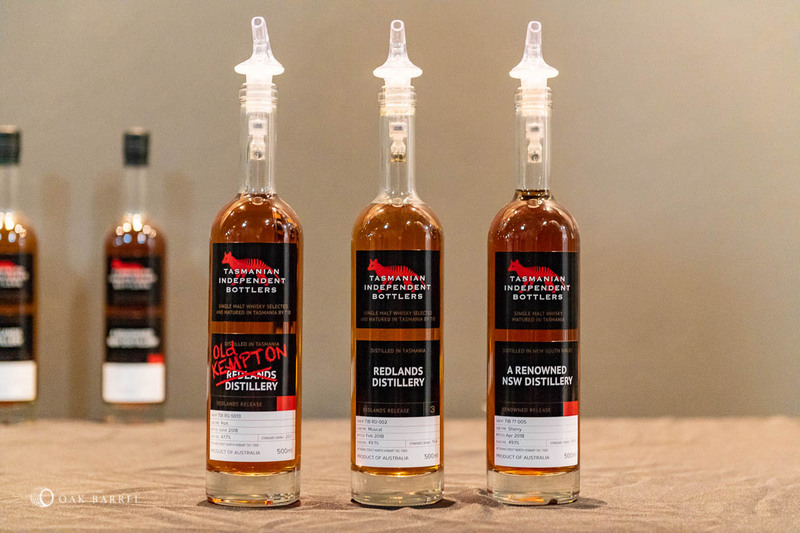 As exact line-ups are confirmed (we’re in the hands on the maturing gods and bottling schedules in some cases) we’ll feature select distilleries here on the website. 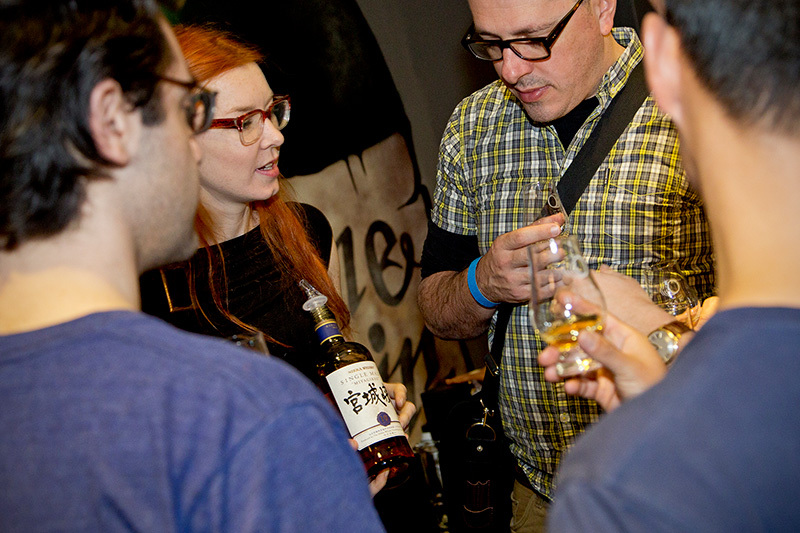 Expect news on the Scottish and other international showcasers in the coming weeks. 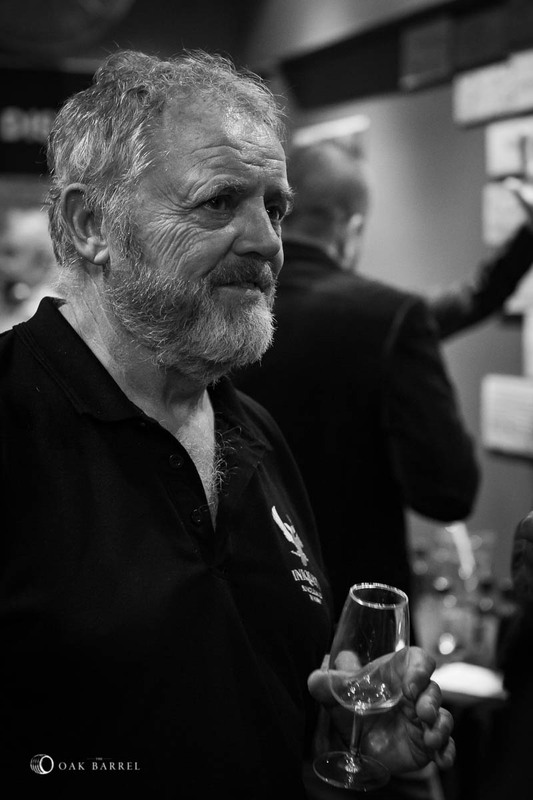 Keep checking the Confirmed Exhibitors page as we add names. 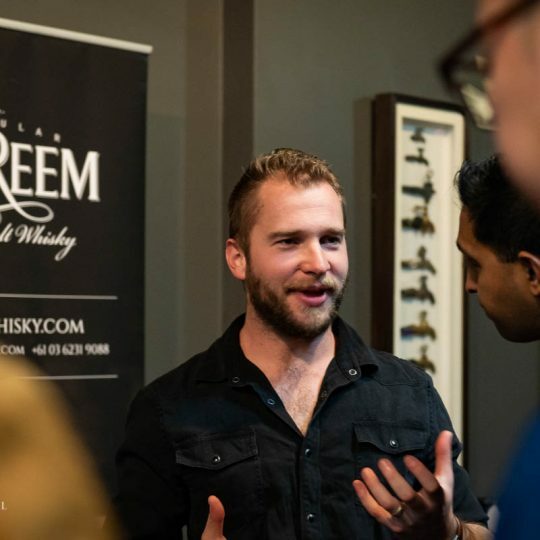 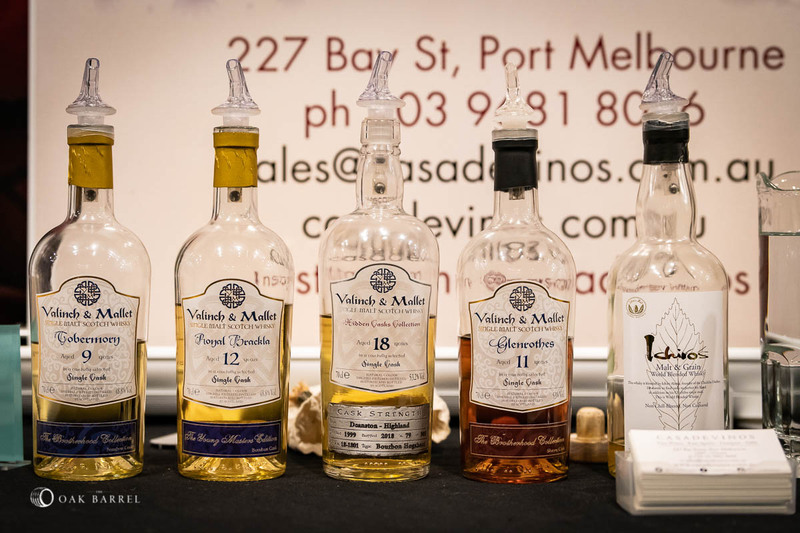 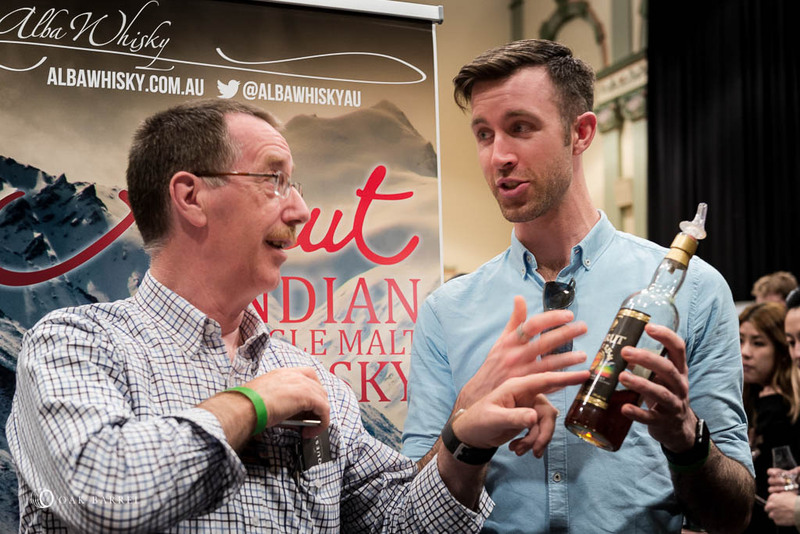 The Sydney Whisky Fair have again frozen prices for 2018, with the prices confirmed a few days before tickets go on sale. 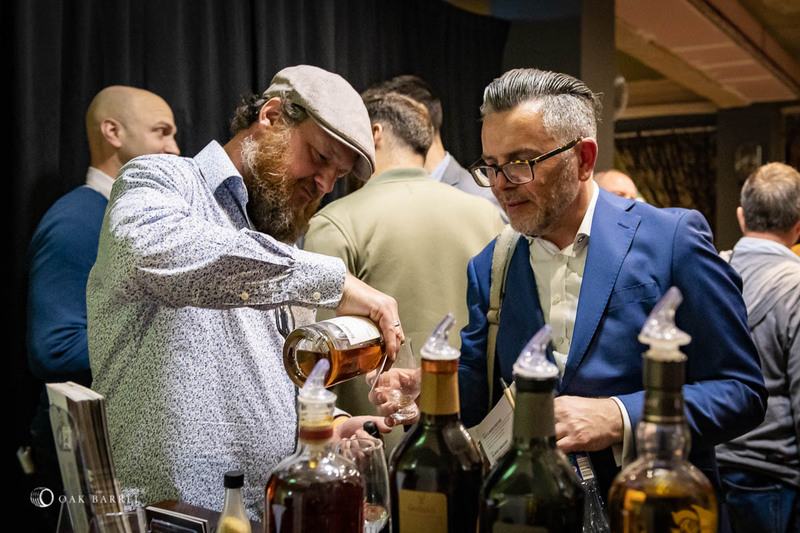 Remaining the same they have been since the 2015 event, Oak Barrel members tickets are priced at $90, guest tickets at $110. 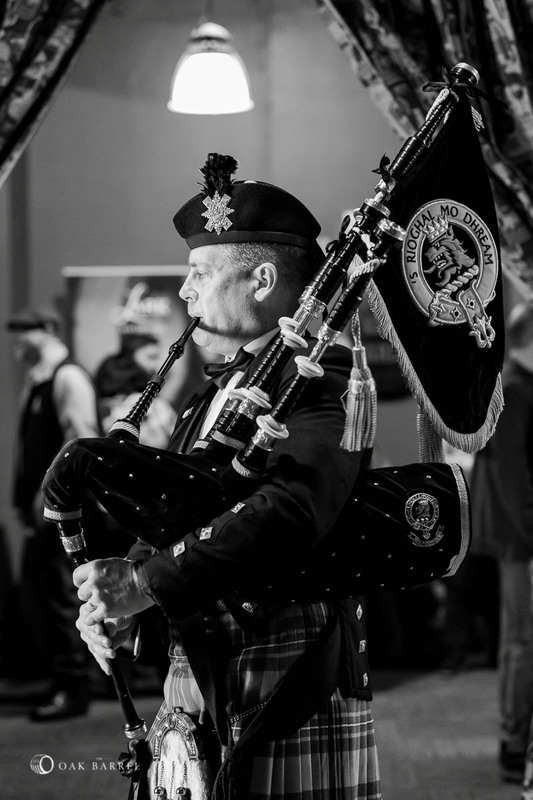 They will go on sale Tuesday 26 June with members enjoying a 24-hour exclusive on-sale window before guest tickets are made live. 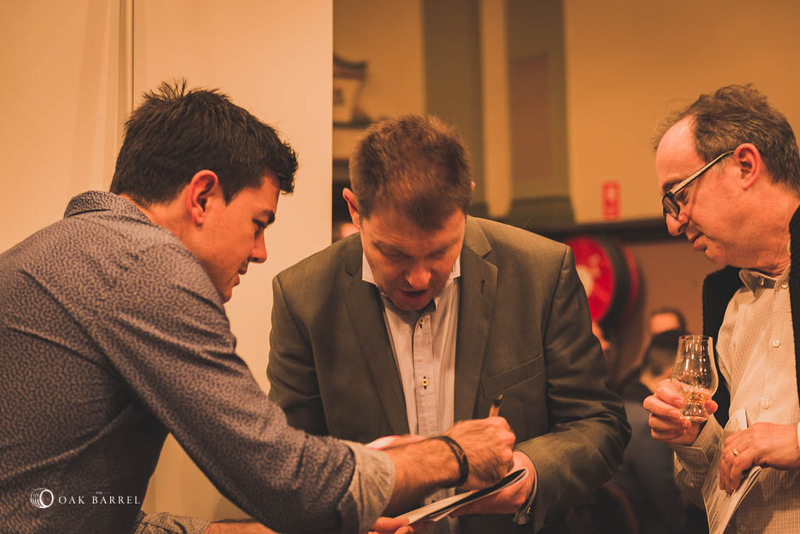 The full break-down of the ticket on-sale timeline, and what members need to do to access their discount, was explained earlier this week. 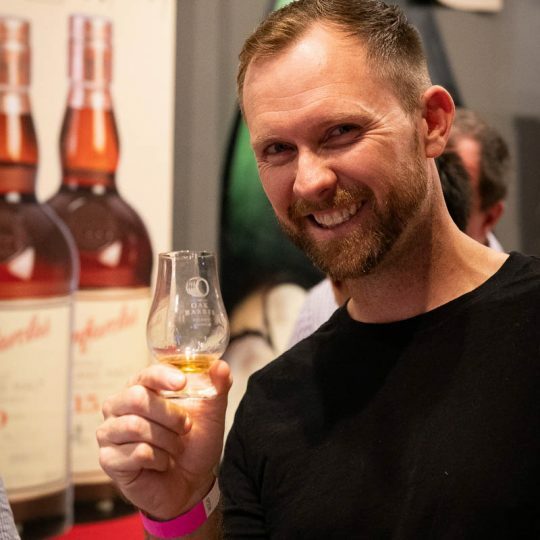 There will be three sessions for the 2018 Whisky Fair across Friday 24 and Saturday 25 August. 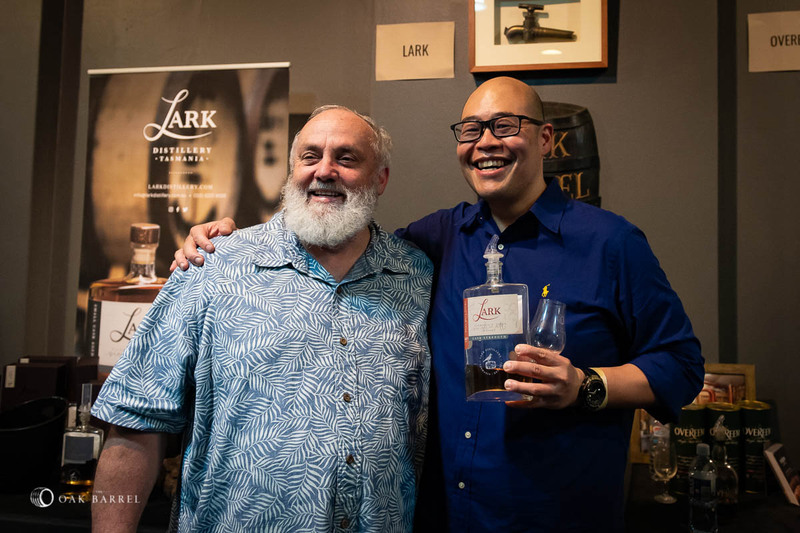 It was announced last week that the Fair will be returning home to The Oak Barrel proper in 2018, with the classic, intimate atmosphere of the event’s formative years. 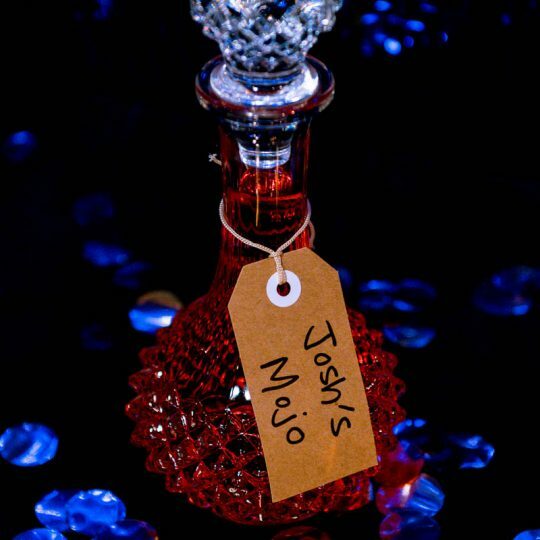 As a result there will be a reduced capacity, tickets set to be the most exclusive ever. 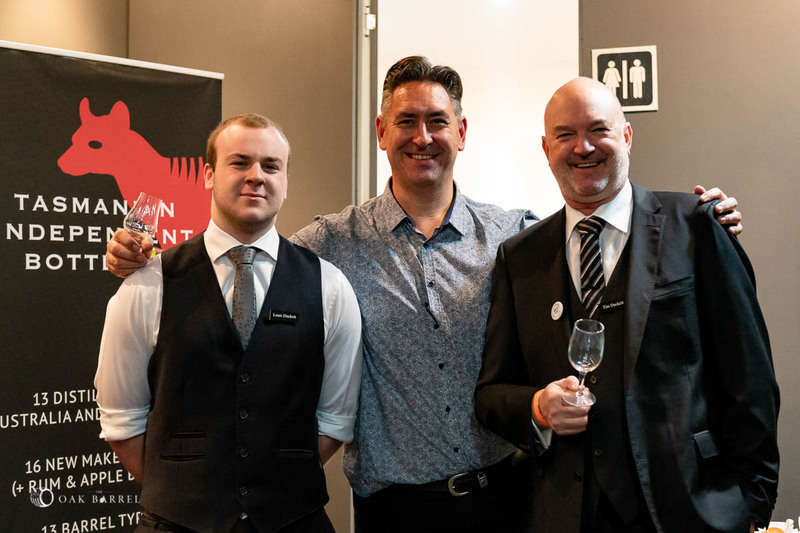 The first announcement of confirmed exhibitors will be revealed Monday 25 June. 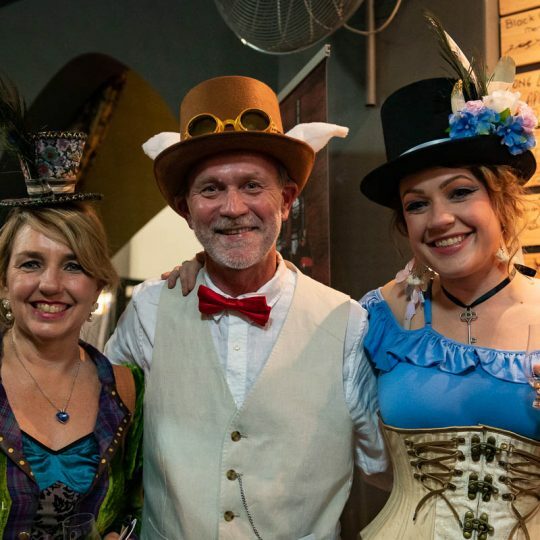 If you’re coming in a group, it’s wise to plan your desired session early as it may not be possible to move sessions once the event has sold out. 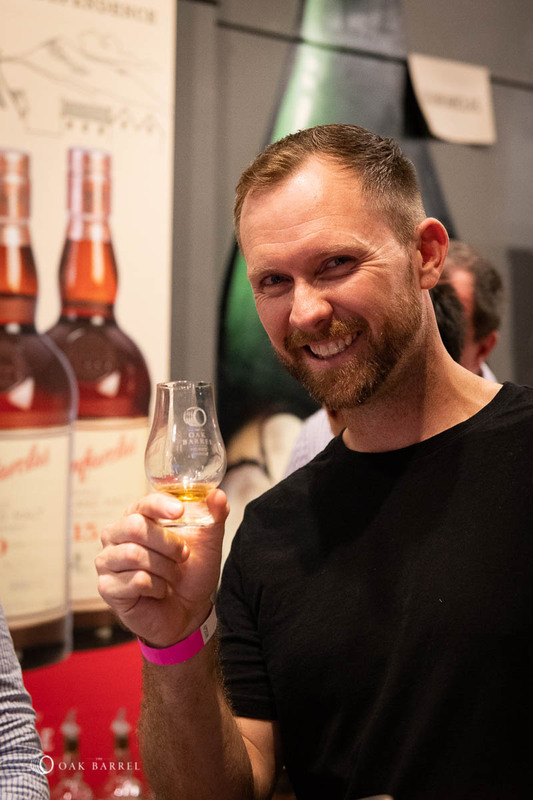 Your ticket includes access to the Fair, all samples from the exhibitor tables and a take-home Glencairn glass. 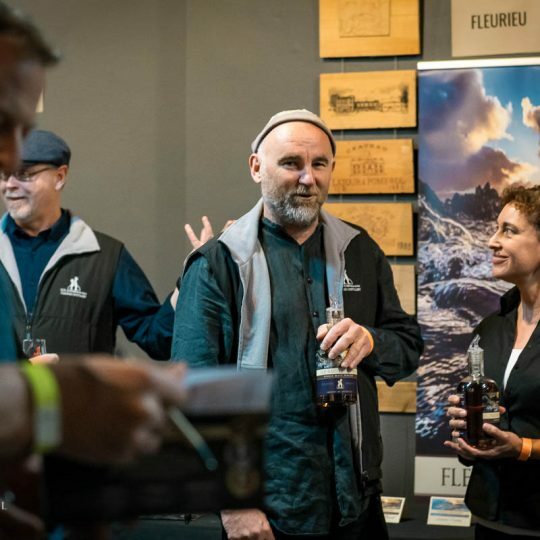 Tickets will be released in two batches, the initial release and then a second and final release a week later. 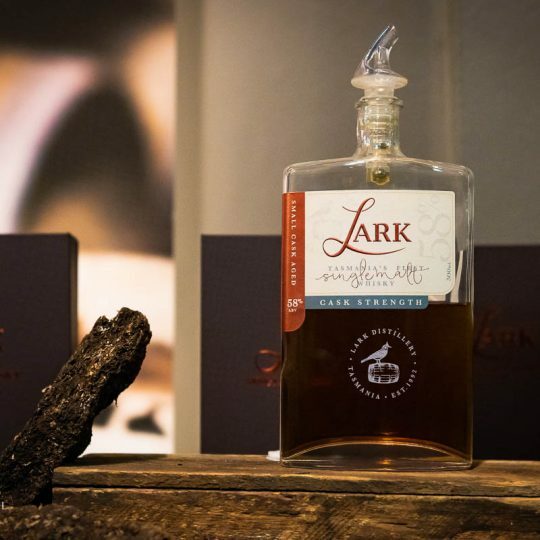 In both cases, Oak Barrel members will have an exclusive 24-hour window to purchase pre-sale tickets. 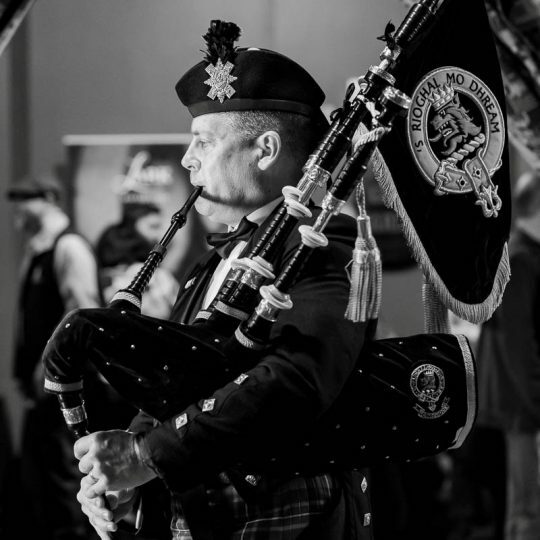 There will be no tickets on the door and while we will keep a waiting list, history has shown that not many people surrender their tickets! 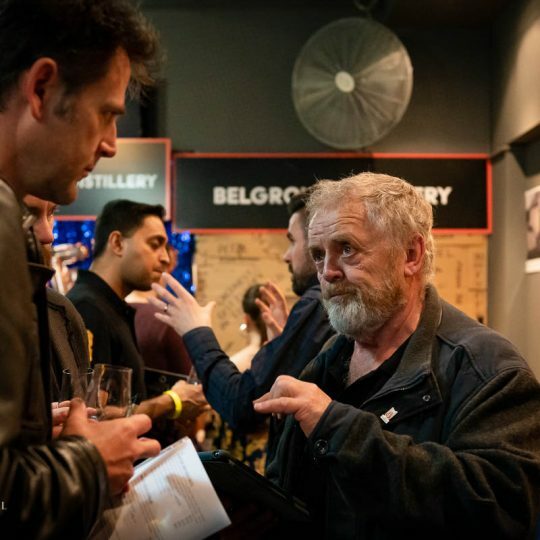 For the first and final ticket releases, members will be required to log into their accounts at oakbarrel.com.au to access tickets during the pre-sale. 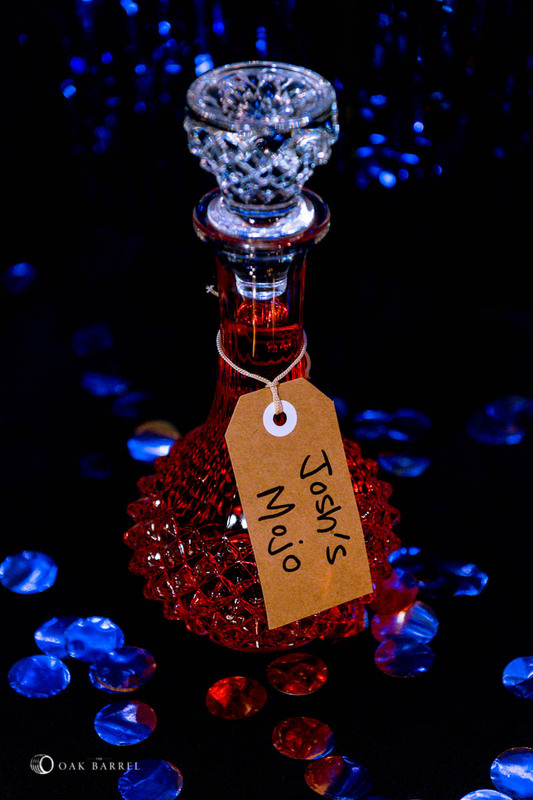 All you need to log into your account is the email associated with your account and your password. 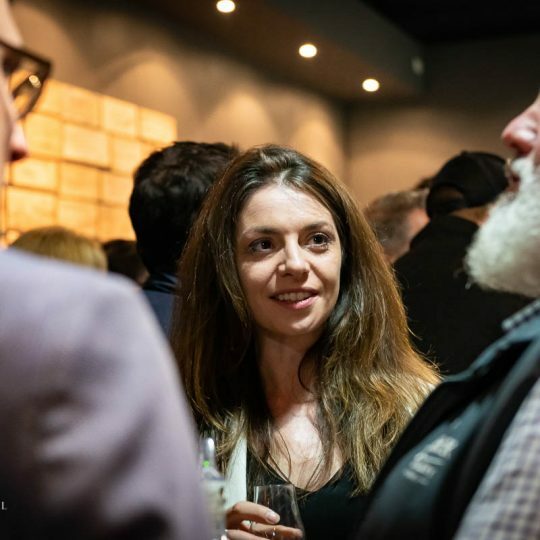 If you do not remember your passwords, or feel you have not been issued one, head to oakbarrel.com.au/members/forgot to reset it. 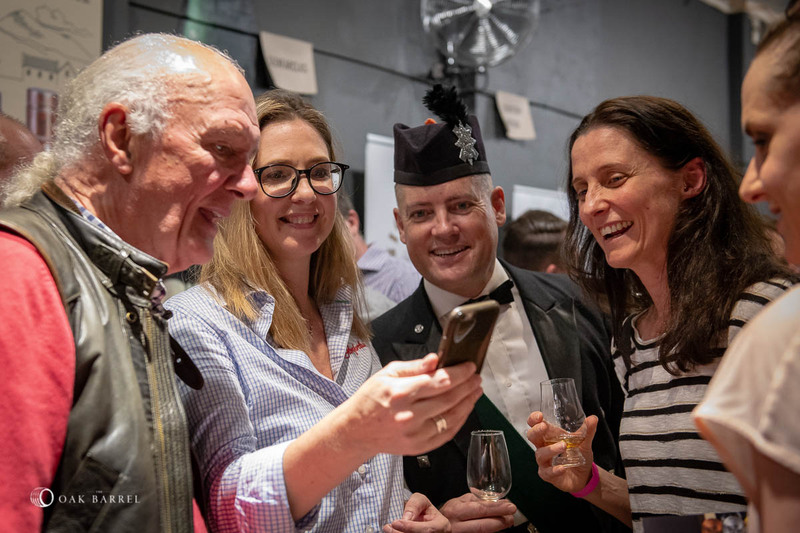 We advise making sure you can log into your account before tickets go on sale, as there may be delays in responding to requests during the high traffic periods. 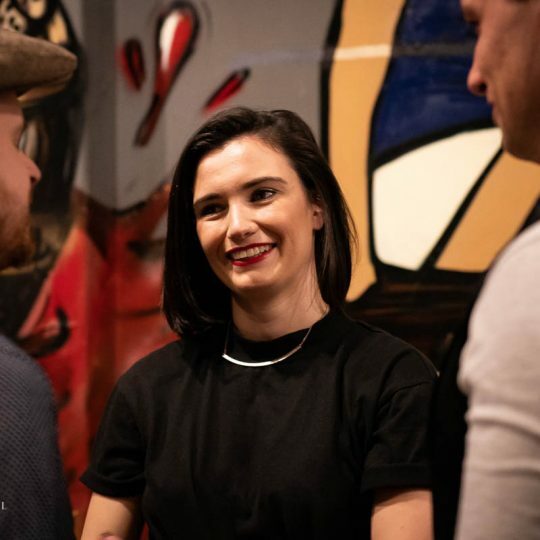 The pre-sale will last for 24 hours, then the general release tickets will be made available – if there is any left in the first release allocation. 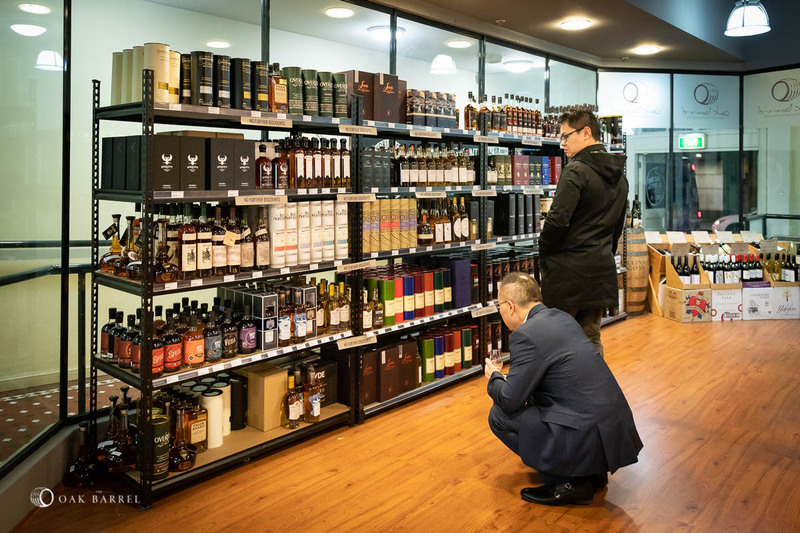 We are an independent, family owned bottle store with a CBD location and a small staff that regularly give the impression of a much bigger company. 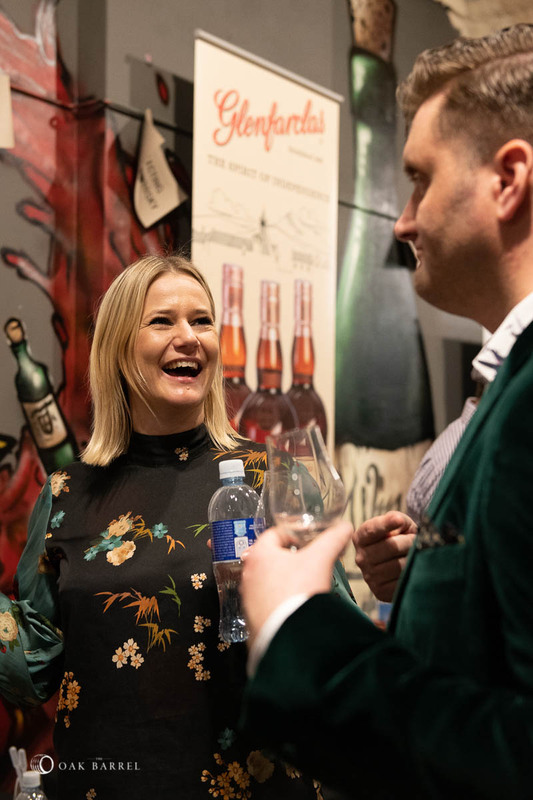 We love what we do and are mindful that it’s not possible without the support of our customers and members, who support us throughout the year in store and at our weekly tastings. 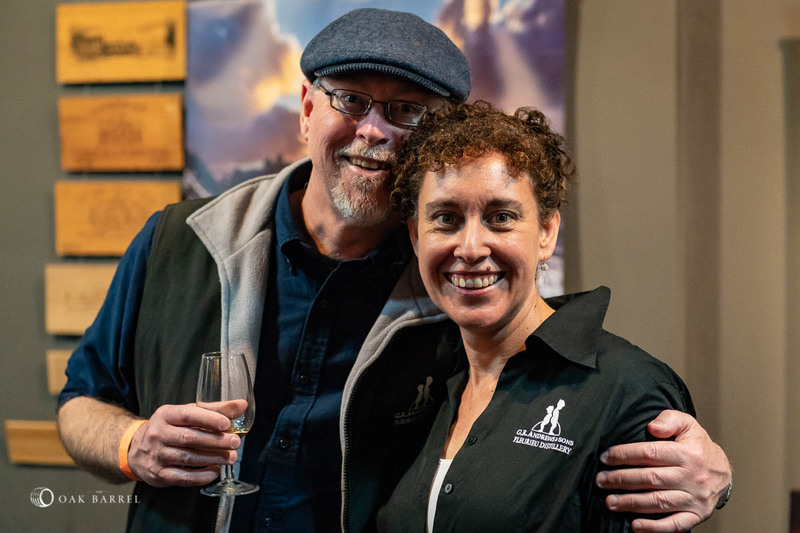 A 24-hour pre-sale window for our biggest event of the year is a small way to say thanks for 62 years of The Oak Barrel. 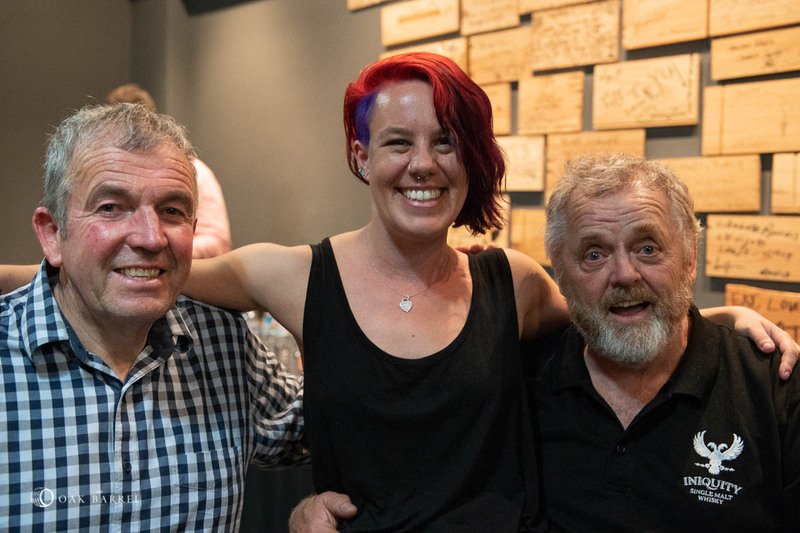 If you have any questions in the lead-up to the tickets going on sale, feel free to message us on Facebook, call us on 02 9264 3022 or email scott@oakbarrel.com.au. 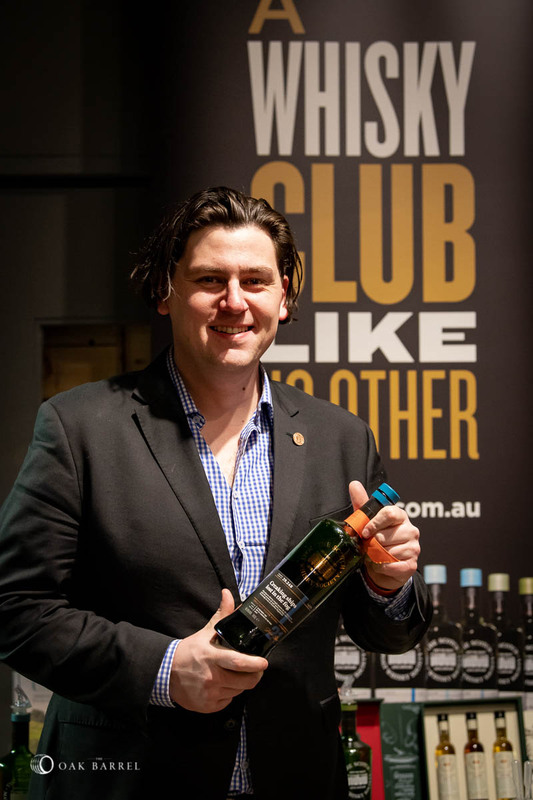 Announcing our second exclusive whisky for Sydney Whisky Fair 2017… and it’s actually two whiskies. 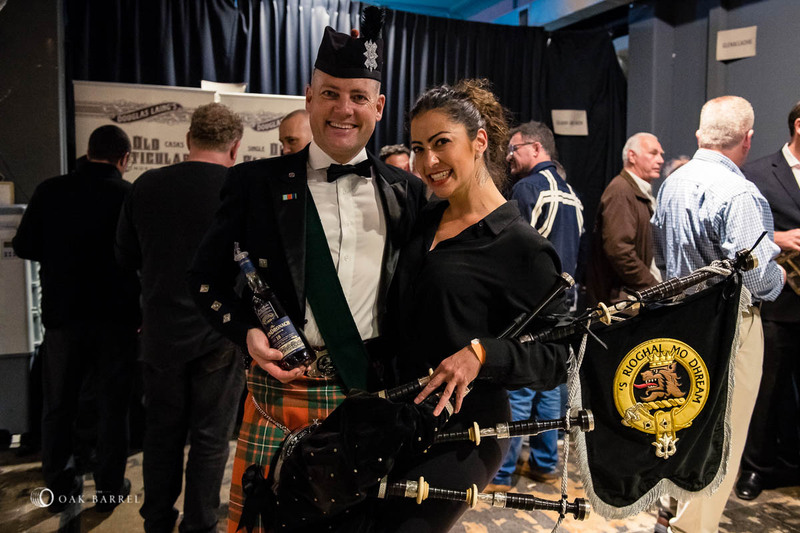 We’ve done something a bit different for our Scottish pick this year. 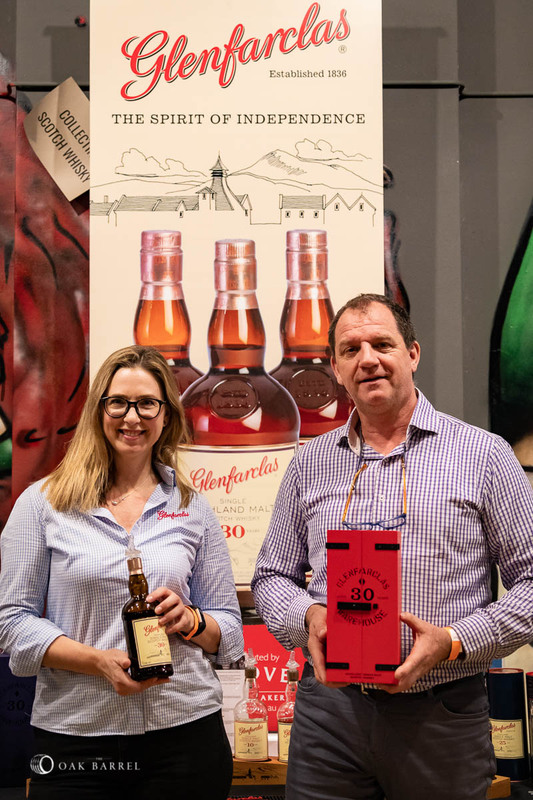 Unable to choose between a delectable sherry cask from Glenrothes and a complex, industrious expression from Ben Nevis, we skimmed the top of both casks and have taken 60 bottles worth of each. 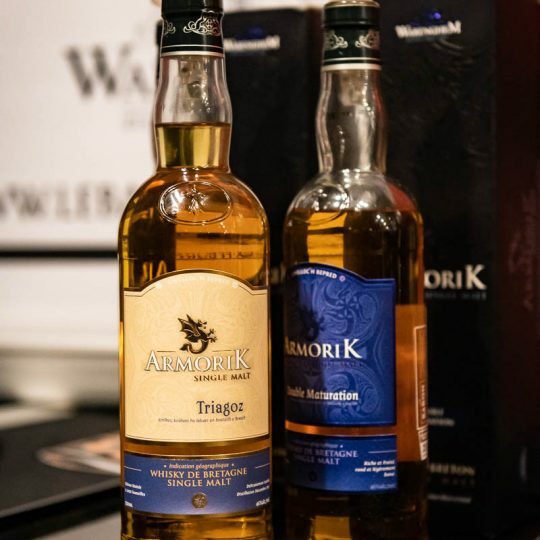 These are two whiskies that come from different parts of Scotland, from two completely different distilleries and matured in two very different types of oak. 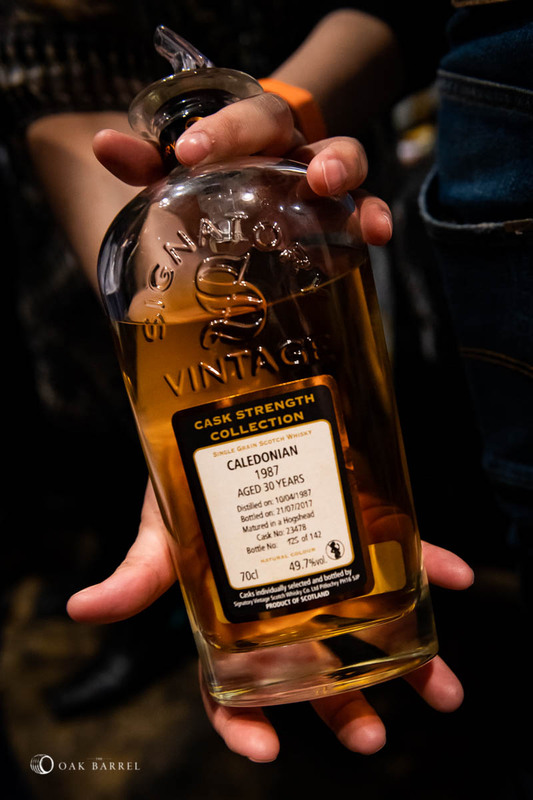 Both are 1997 vintages bottled in 2017. 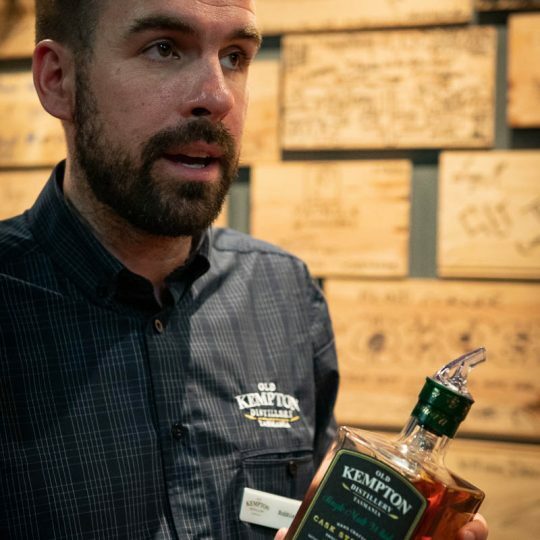 The Ben Nevis has been matured in an ex-bourbon cask and showcases intriguing – and sometimes challenging – layers of coal dust, burnt grass, sweet fudge and exotic spice. 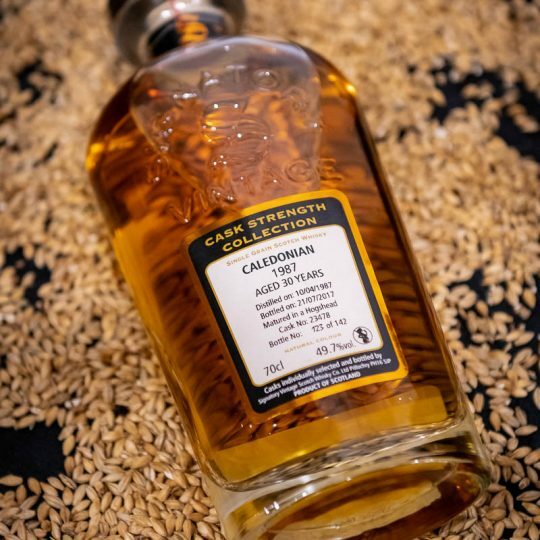 The Glenrothes can’t escape its time in a sherry cask, revelling in polished, deep fruits and sweet confectionary finish. 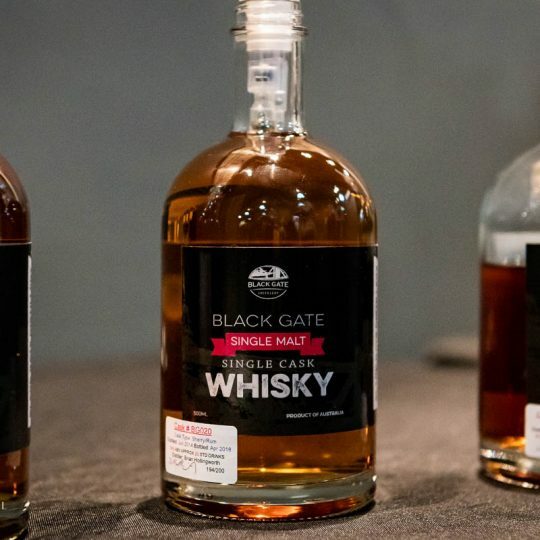 Both of these casks were chosen out of a line-up of samples that had nothing more than the distillery name and vintage on them. 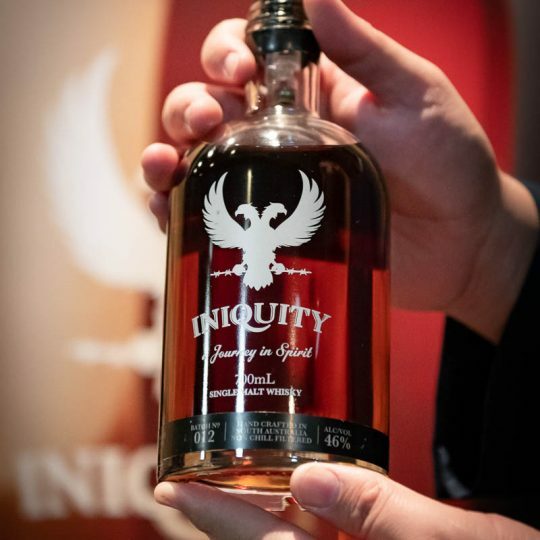 So that’s how we’ve decided to offer them to you. 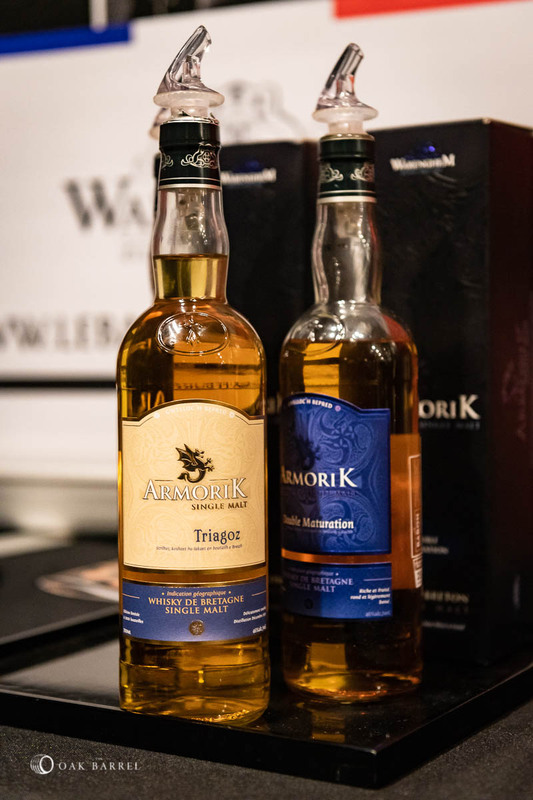 These are whiskies without pretence, without expectation, chosen solely by flavour, designed to be drunk. 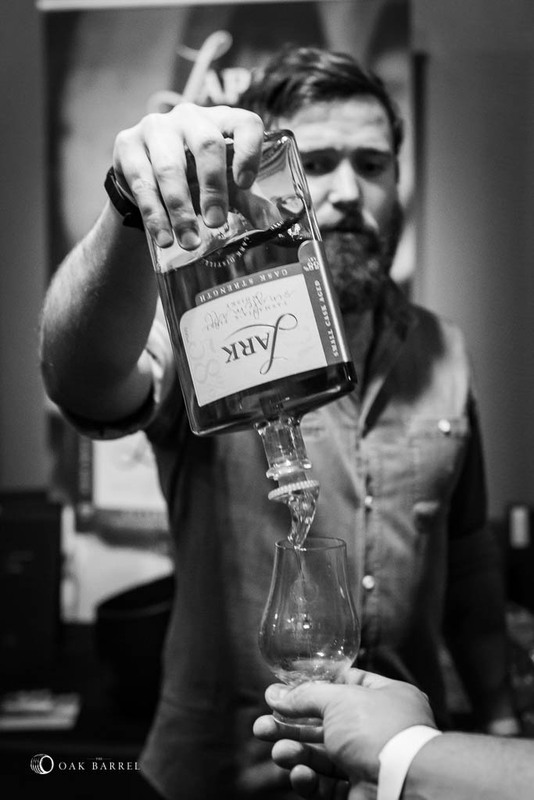 Beyond that, the details and minimal. 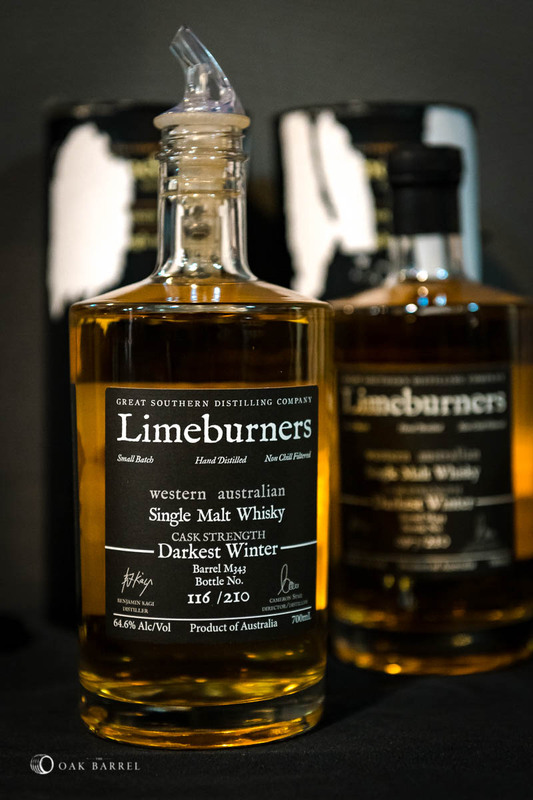 Both are natural colour, un-chill filtered and cask strength (48.6% for the Ben Nevis, 51.7% for the Glenrothes). 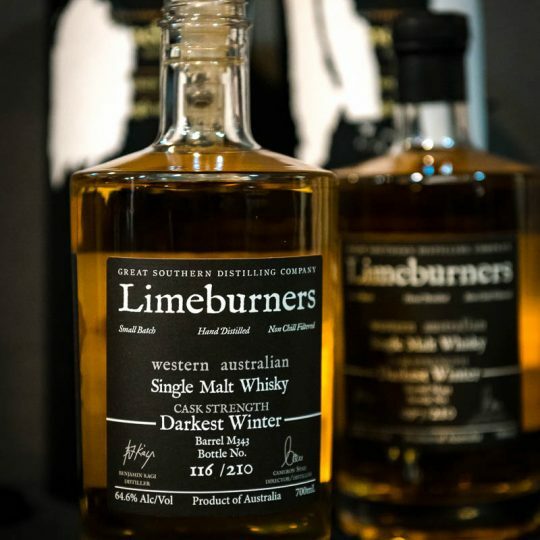 There are just 60 hand-numbered bottles of each of these, which will be available to taste at Sydney Whisky Fair 2017 and purchase through The Oak Barrel. 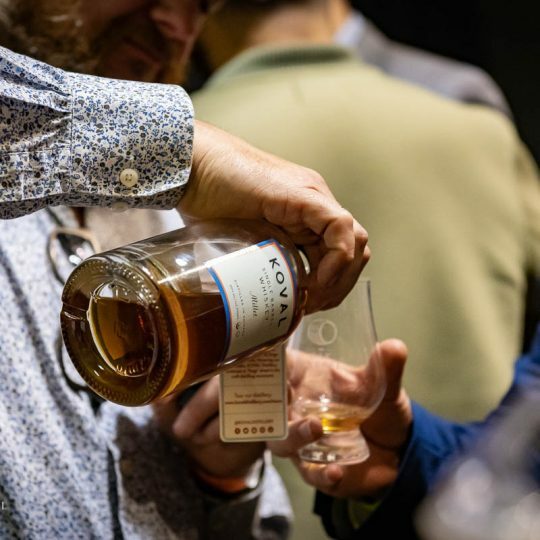 Keeping with tradition, we’re offering a very small amount of the outturn in a pre-sale offering to Oak Barrel members who’d like to secure a bottle or who can’t make it to this year’s Fair. 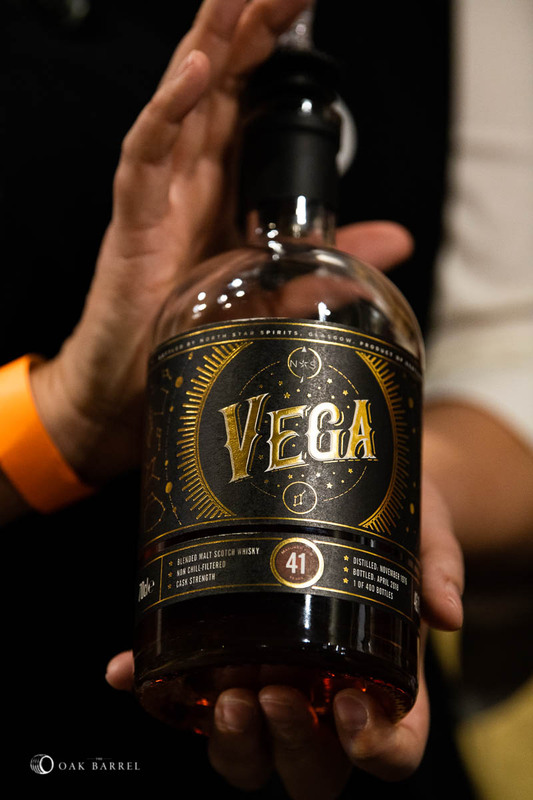 Bottled 2017. 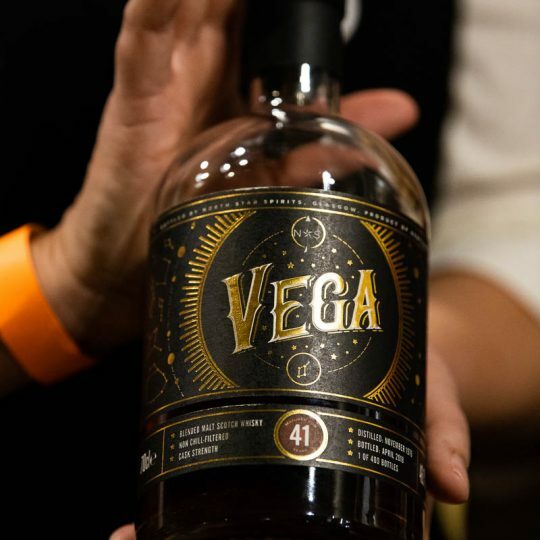 48.6%. 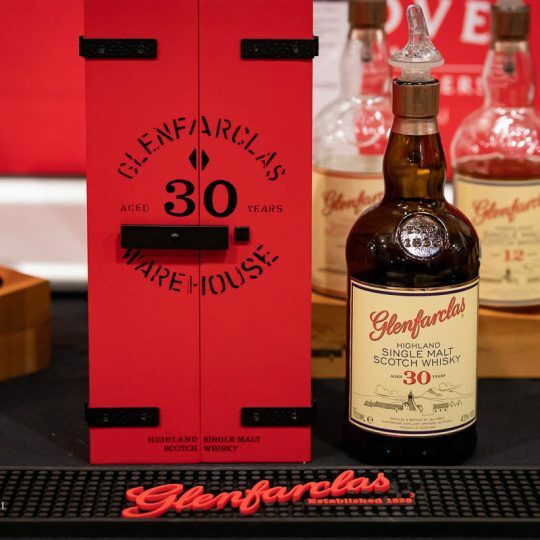 60 bottles. 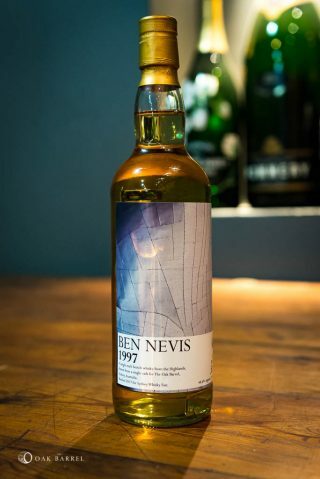 Ben Nevis is one of the more traditional distilleries in Scotland and is often regarded as a “whisky drinkers’ whisky”. 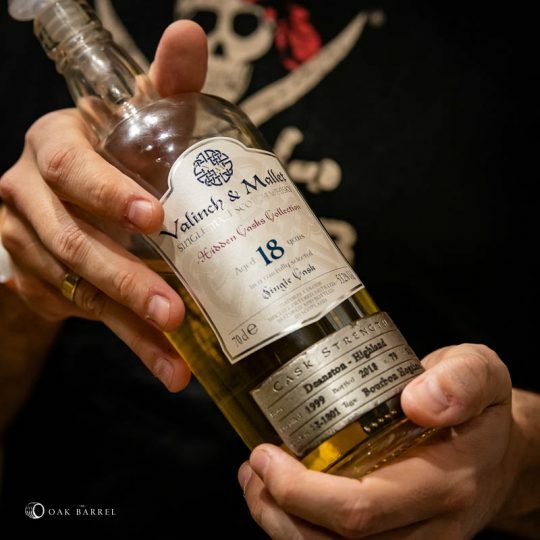 The distillery was built in Fort William in 1825 by ‘Long’ John Macdonald. 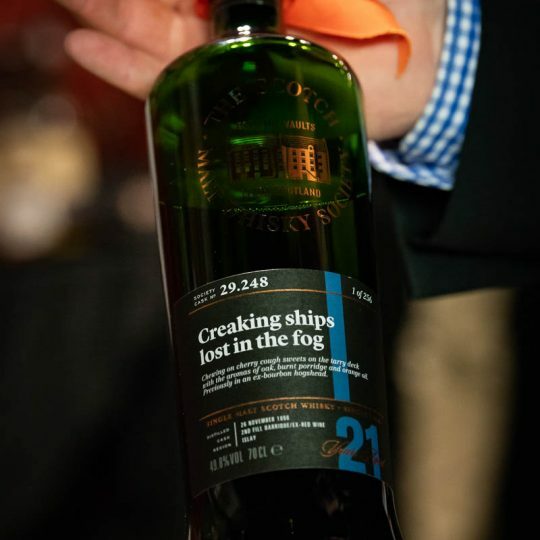 An early success in the hands of his son Peter, Long John’s Dew Of Ben Nevis became a sought after blend (which is still available under the name Nevis Dew). 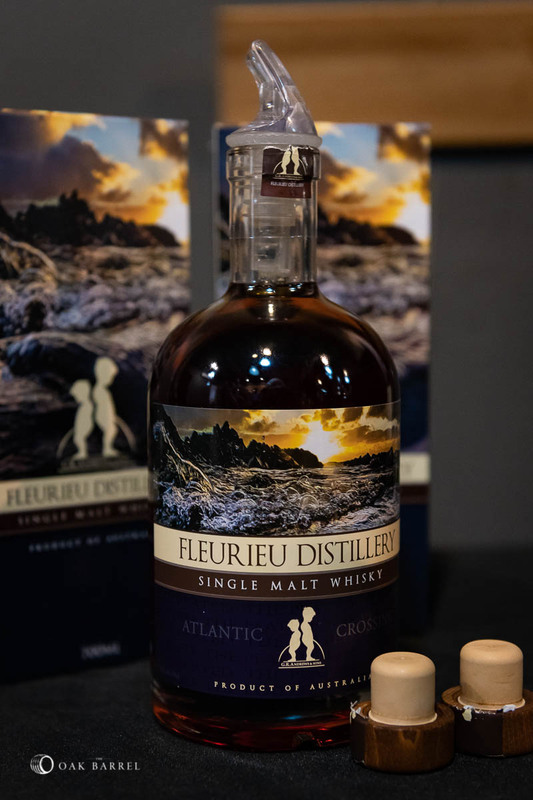 A second distillery – Nevis – was built to keep up with supply and with its own cottages for workers employed around 200 people at its peak. 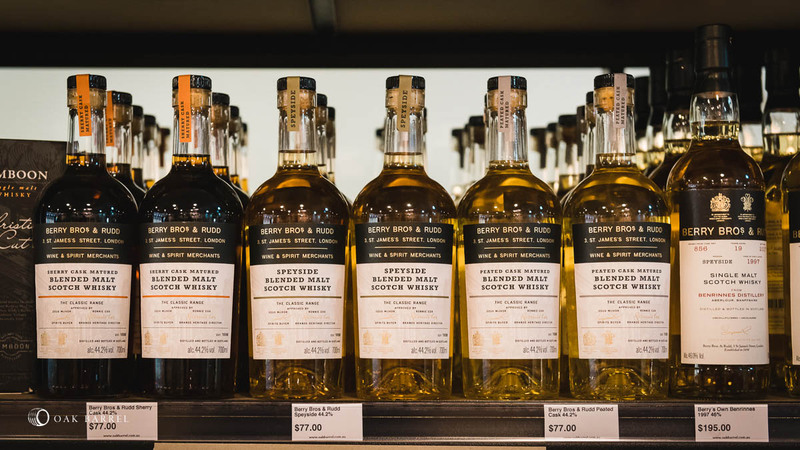 Nevis was closed in 1908 when the whisky boom crashed, but the original Ben Nevis survived. After a period of intermittent production during the ‘70s and ‘80s, a tough period for whisky distilleries in general across Scotland, the distillery was bought by the Japanese company Nikka in 1989. 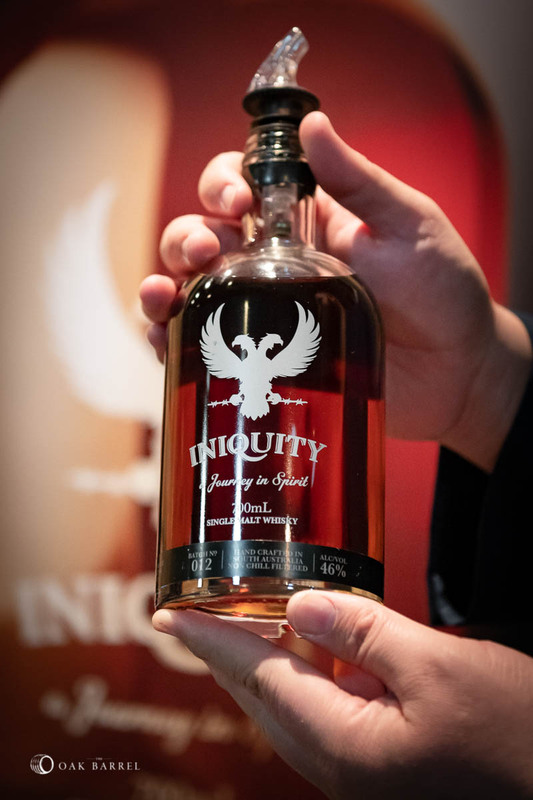 Fifty percent of the distillery’s new make is shipped to Japan for maturation and eventual use in Nikka’s blends. 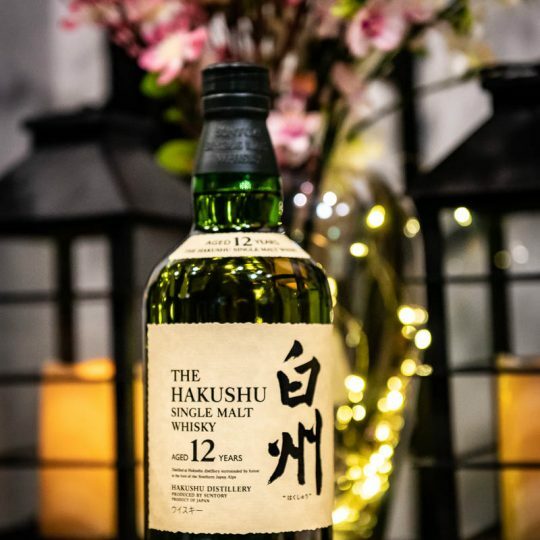 Pleasingly, the Japanese ownership has left Ben Nevis to their own techniques and the distillery continues in its own traditional methods. 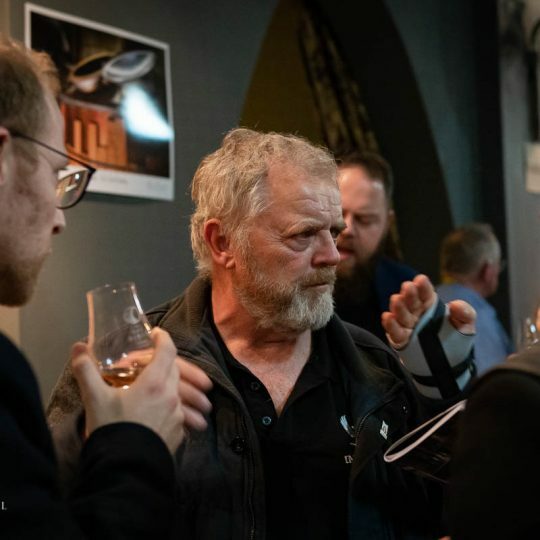 Ben Nevis still uses wooden washbacks and brewers yeast. 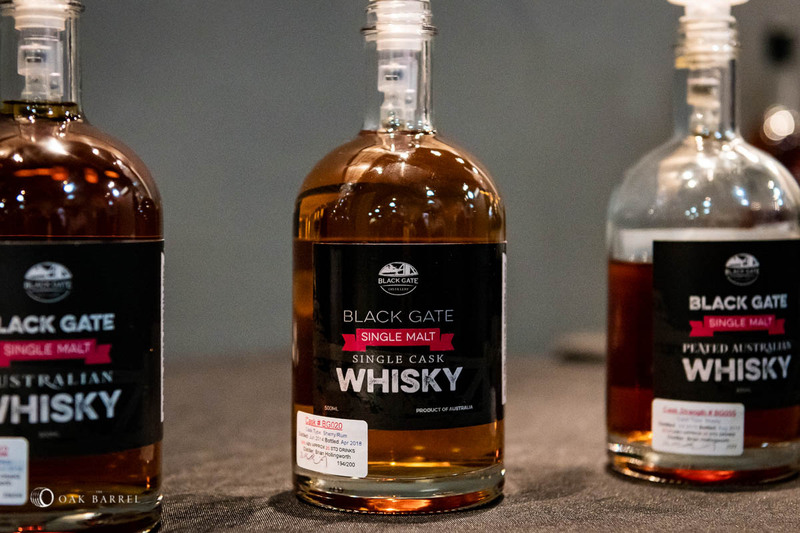 They’re understood to be the last distillery in Scotland to still use the latter, distillers yeasts have been developed for higher yield and stainless steel washbacks are the norm. 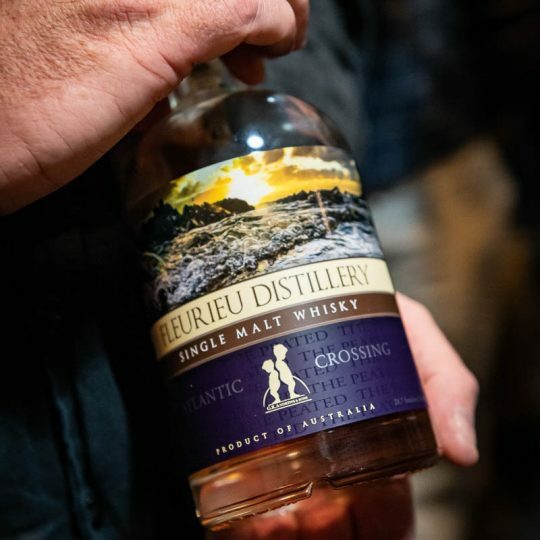 They employ a slow distillation to coax out plenty of fruit whilst keeping structure and five of their six warehouses are the traditional dunnage style. 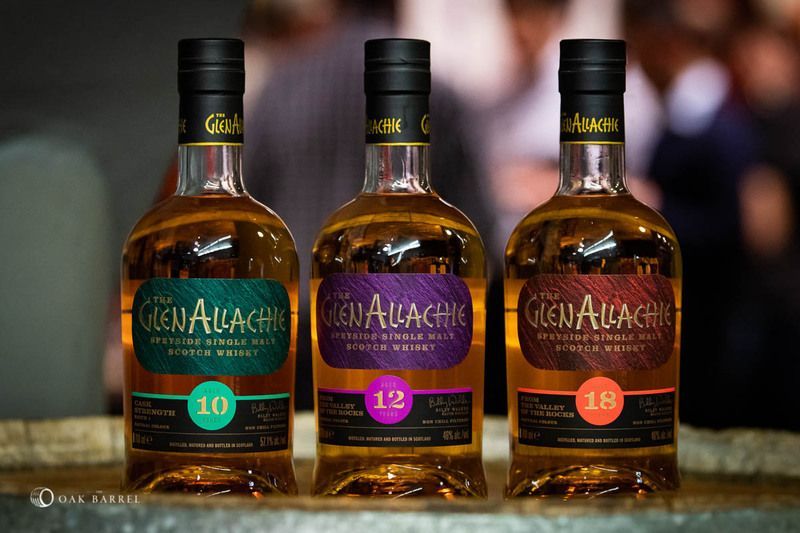 The 50 percent of spirit that remains in Scotland is used for the Nevis Dew and Macdolands Of Glencoe blends and their own single malts. 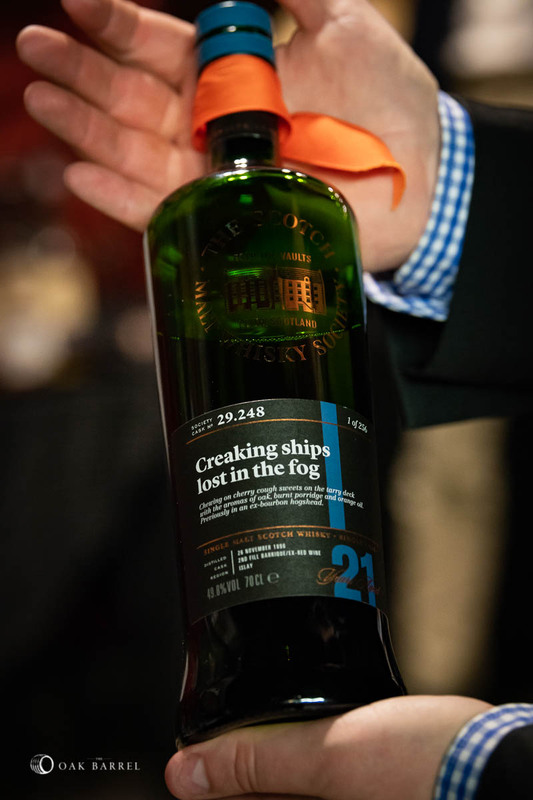 Our 1997 carries some hallmarks of the distillery, with an enticing and intriguing nose of coal dust and cut herbs. 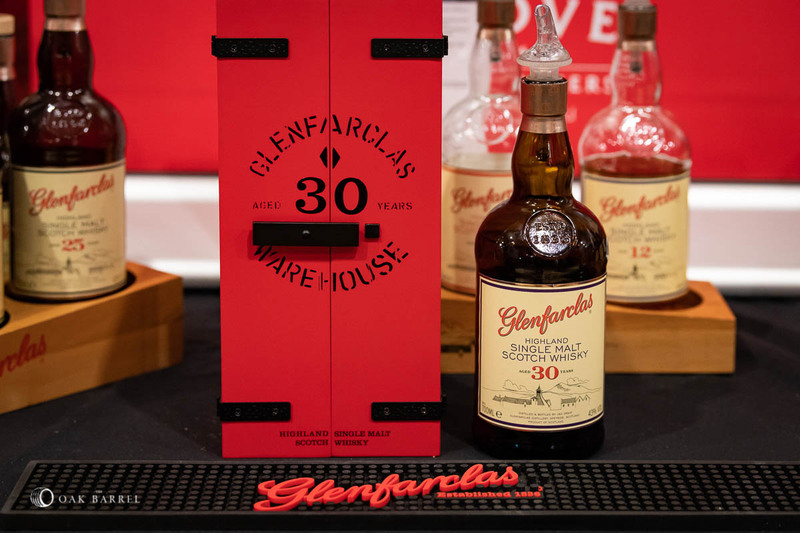 The longer its open the more it showcases, melted toffee, machine oil, turned earth – you probably wouldn’t call it pretty, but there’s more than a few stories here. 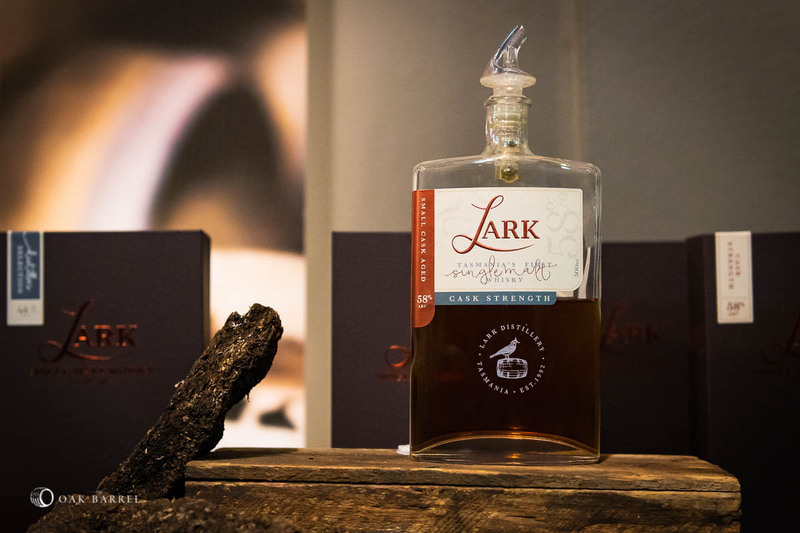 The palate is sweet, with sharp little jumps of oak and mineral. 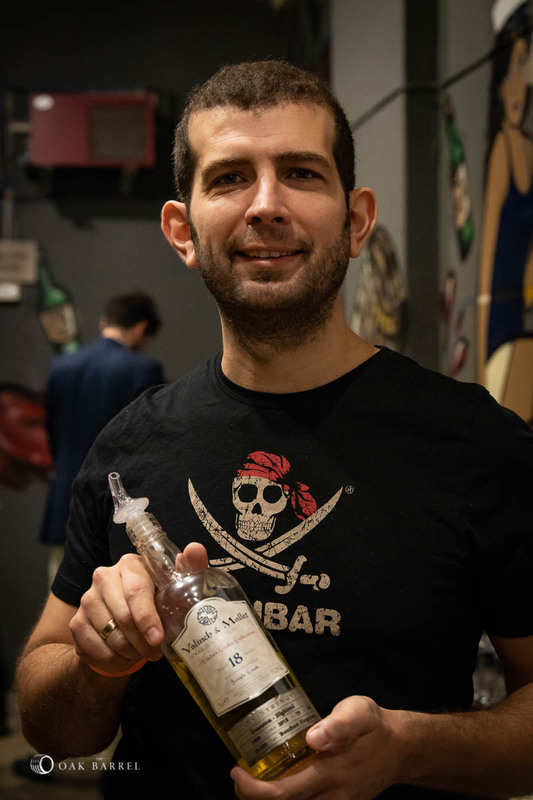 Granite pulls through on the finish with more of that oil, sweaty fudge and some spirity malt to round it off and give length. 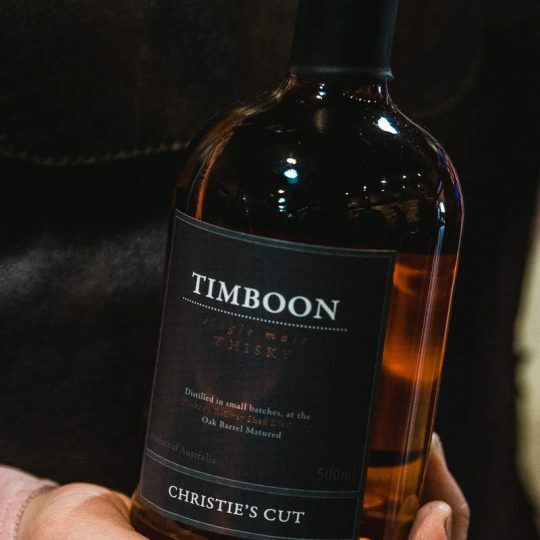 Tastes like whisky, not by design but by character. 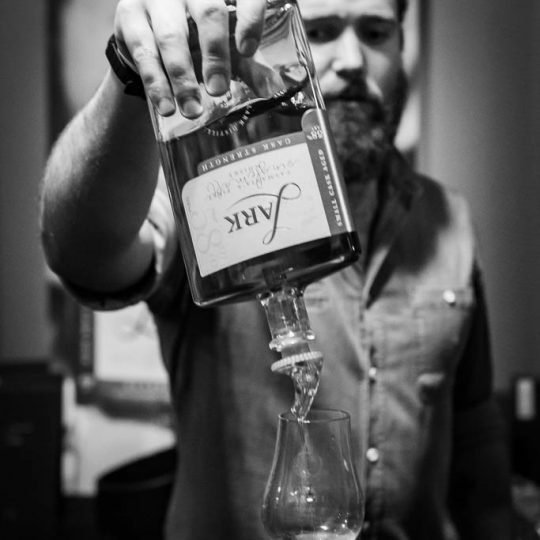 Bottled 2017. 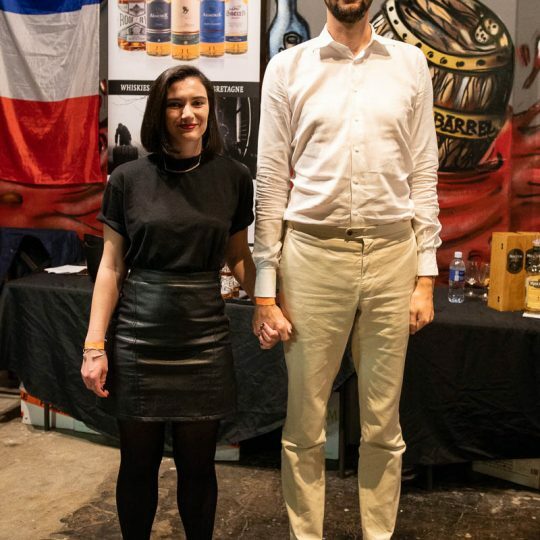 51.7%. 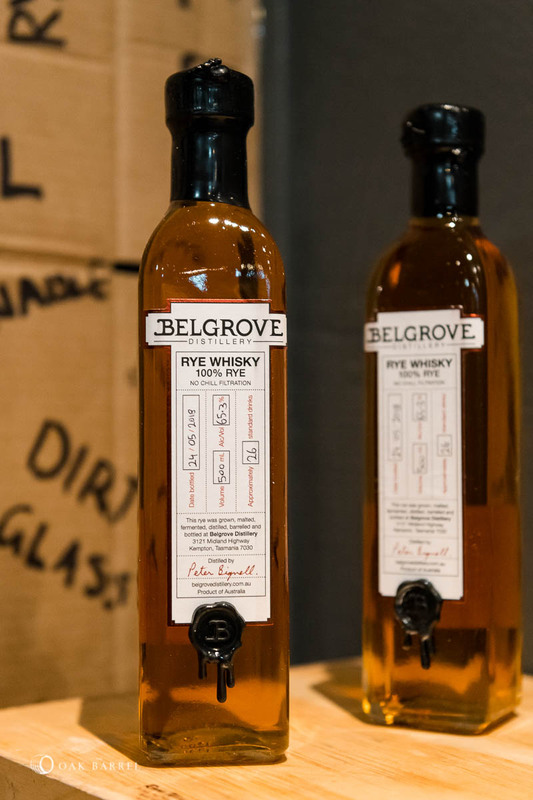 60 bottles. 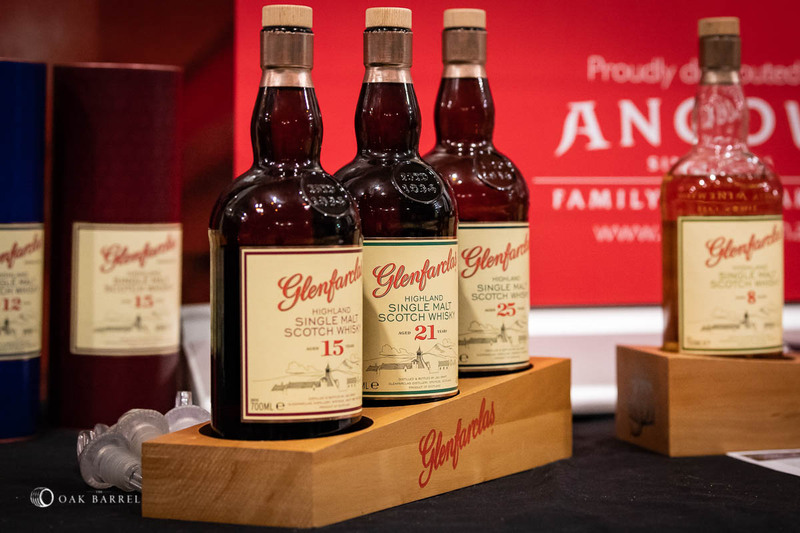 A spirit of the highest quality, Glenrothes’ history is defined by its use by blenders. 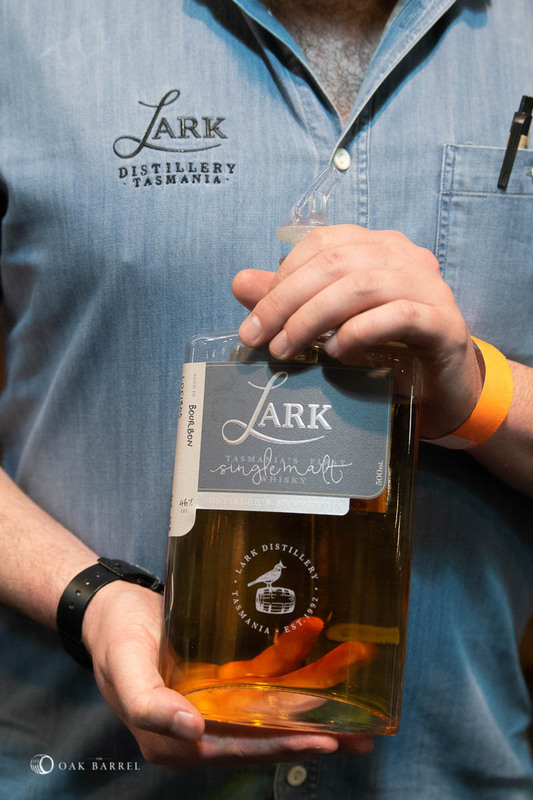 A key element of Famous Grouse and Cutty Sark throughout its history, the spirit has been in wide demand by blenders across Scotland. 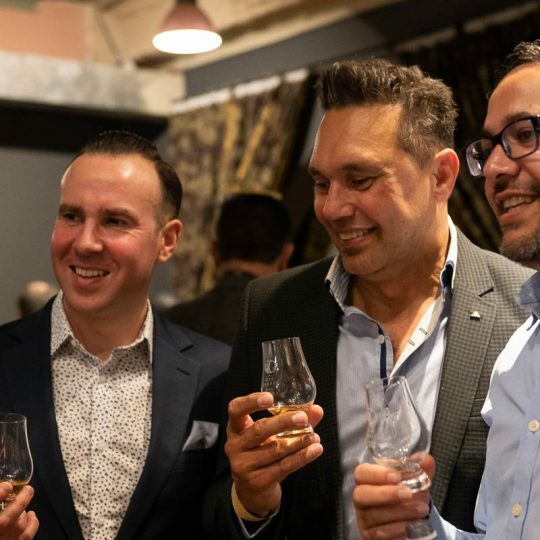 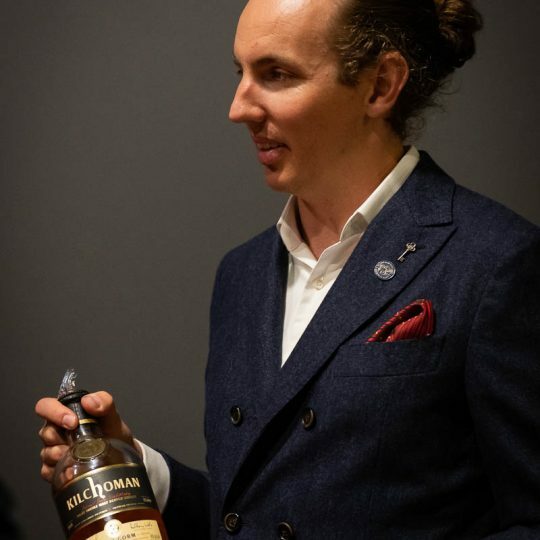 Since the turn of the millennium, however, Glenrothes has become a powerful force in the single malt world with their grenade-shaped bottles and vintages-over-age statements approach and a proliferation of independent bottlings has followed. 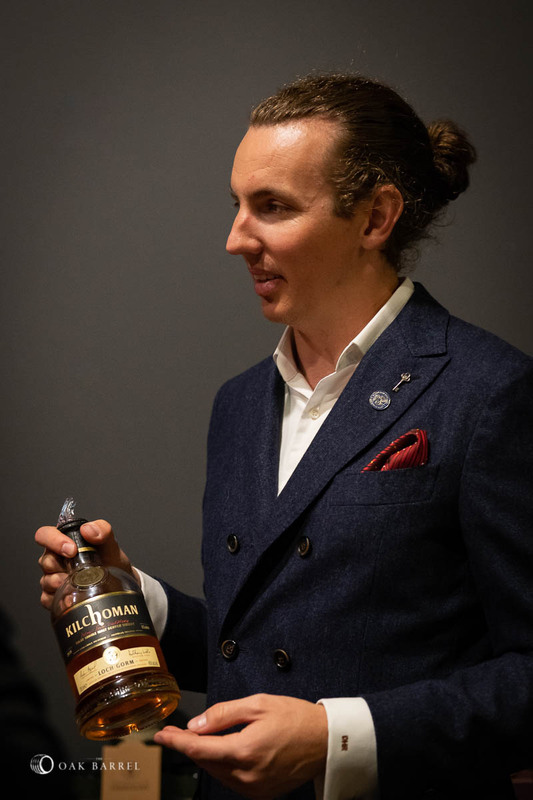 Built in 1878 in the heart of Speyside, the inspiration for Glenrothes came from a consortium of businessmen who had recently acquired the thriving Macallan distillery. 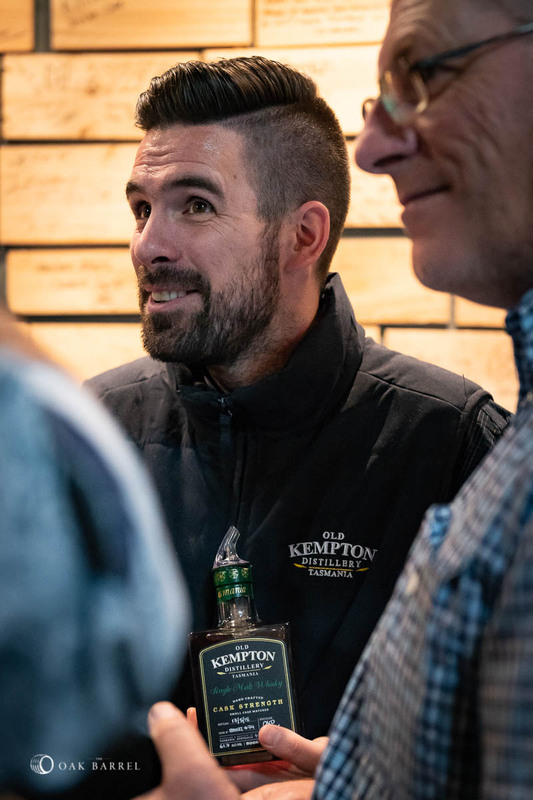 A time of economic downturn, the distillery was nonetheless built and with a few management restructures came to life. 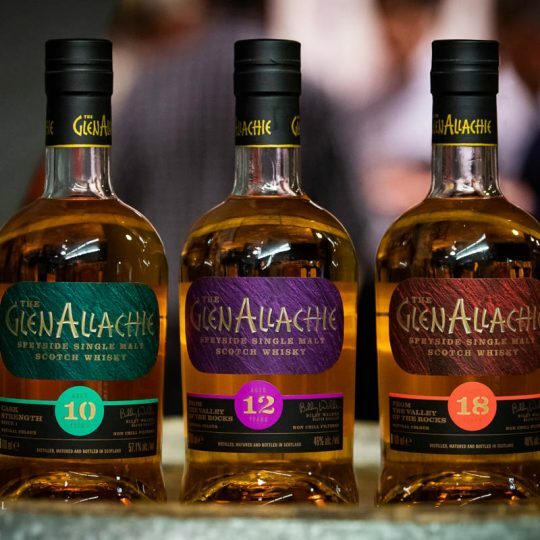 In 1887, when it was known as Glen Rothes-Glenlivet, merged with Islay’s Bunnahabhain to form the historic Highland Distilleries Company. 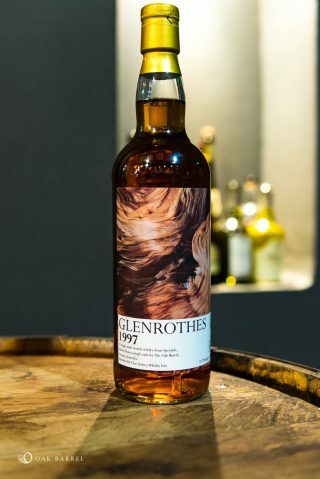 Glenrothes has enjoyed a relatively charmed life (apart from the odd fire) since and it underwent significant expansion through the 1960s to late 1980s. 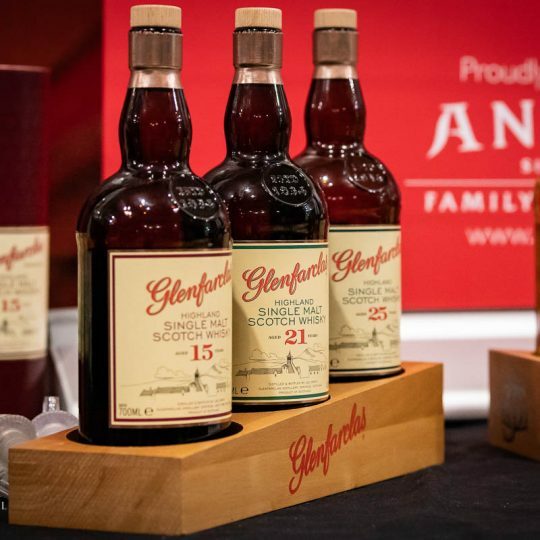 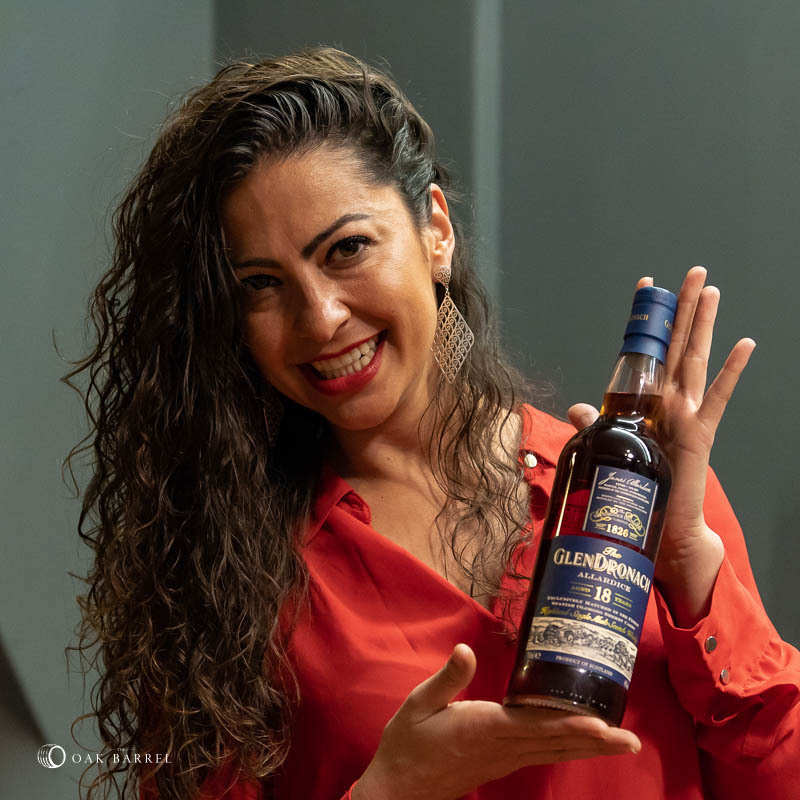 The distillery’s late arrival to the single malt game can be put down, in part, for it being a victim of its own success, the blenders were demanding everything they produced. 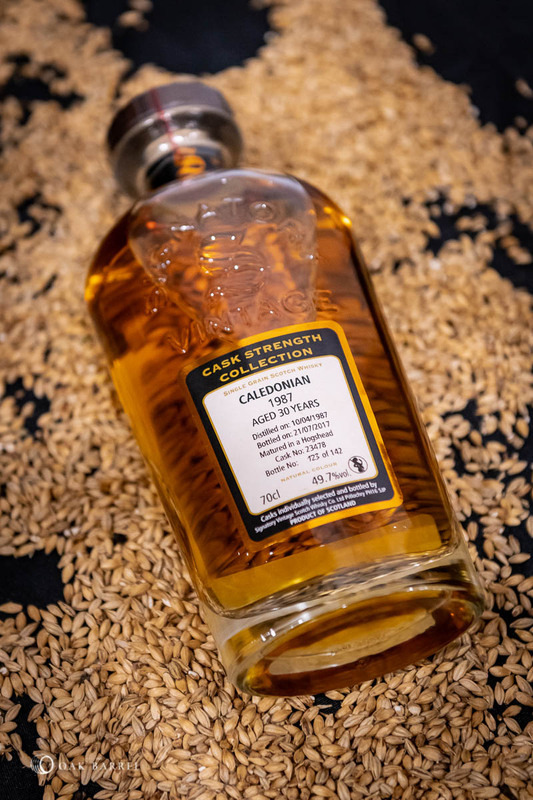 The modern spirit from Glenrothes is sweet, but quite rich and the weight is evident in lengthy maturations, whereby a creamy mouthfeel is often the house style. 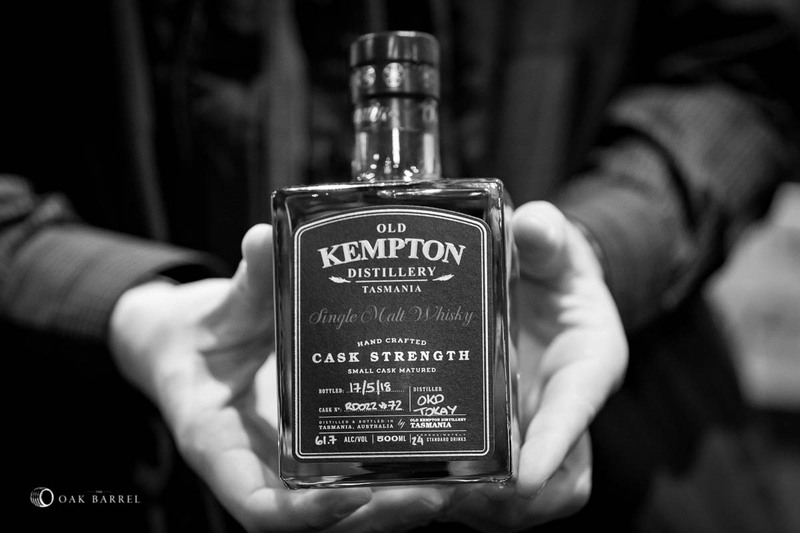 The spirit sings in sherry casks, the richness balancing out fruits and drawing out elegance from the oak. 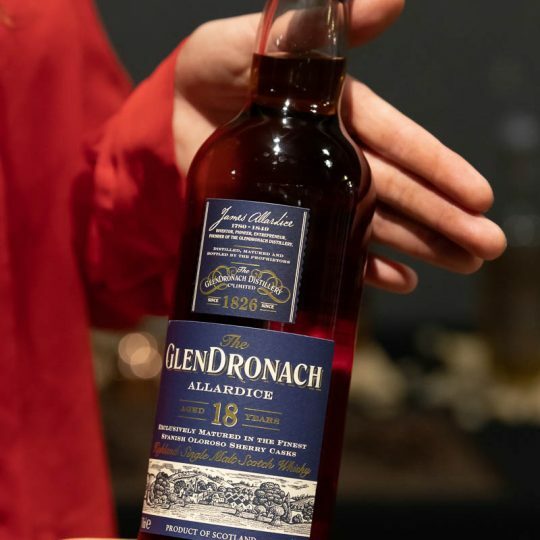 There’s no second guessing where our 1997 grew up – if the colour doesn’t give the sherry cask away, the nose will. 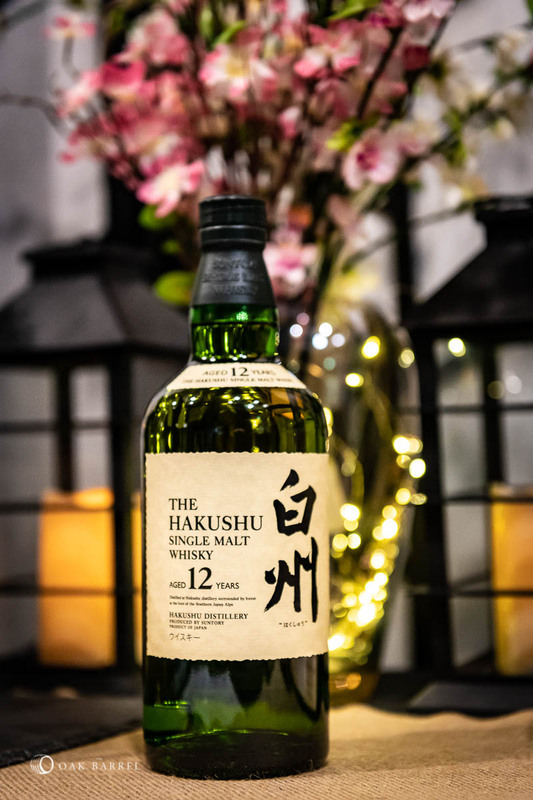 Plum fruits and floral blossoms, it’s polished but with a bit of a mean streak. 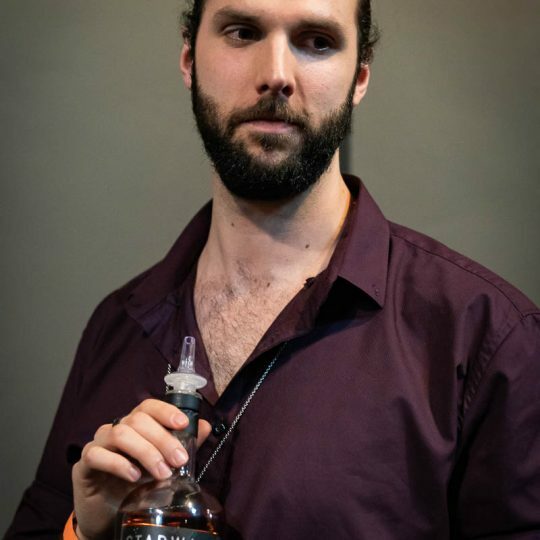 The mean streak grows quickly, it’s dirty and brash. 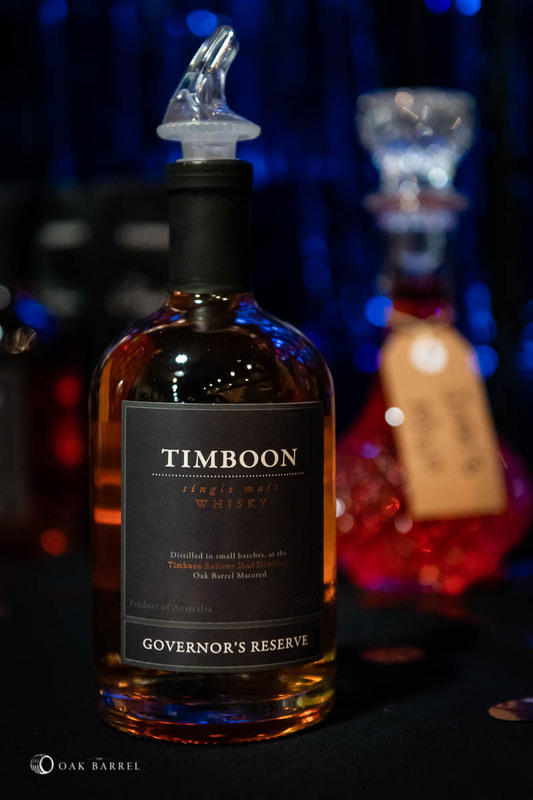 A run of gun smoke, a flourish of preserved jam. 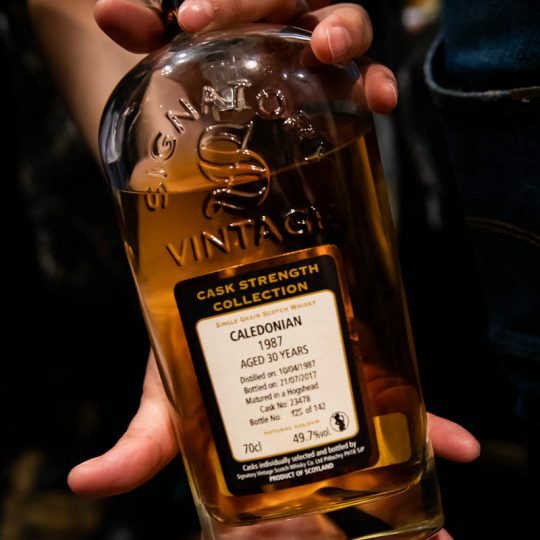 The palate is cleaner, with ground nutmeg spice and a bit of oak influence. 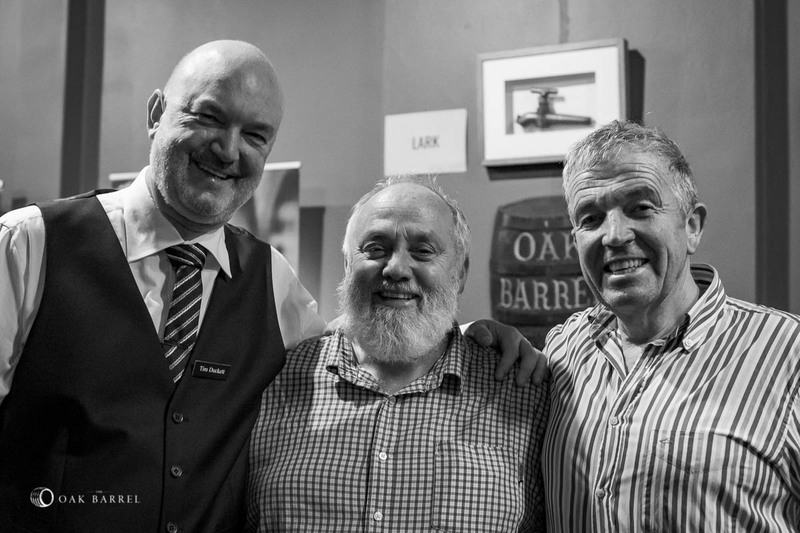 Finish shows its age, not as jumpy as it once was but not quite ready to enter old age yet. 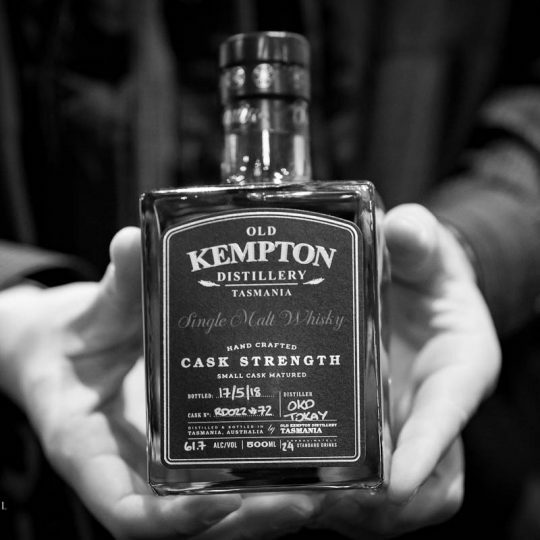 The burnt matches subside with time and that fruit returns to the fore. 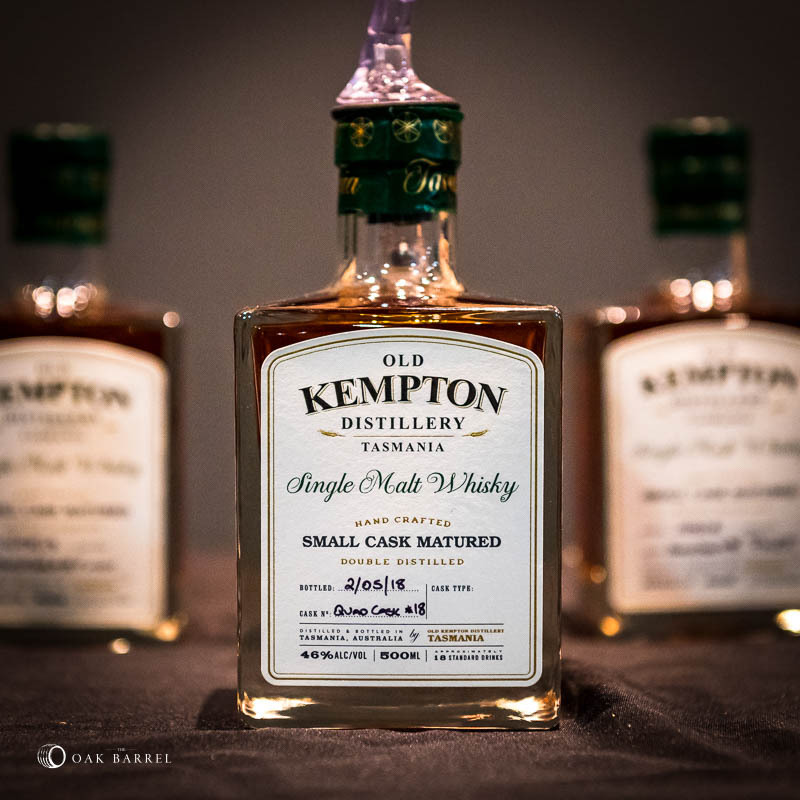 Fruit at the start, fruit at the end, pure grit in the middle.